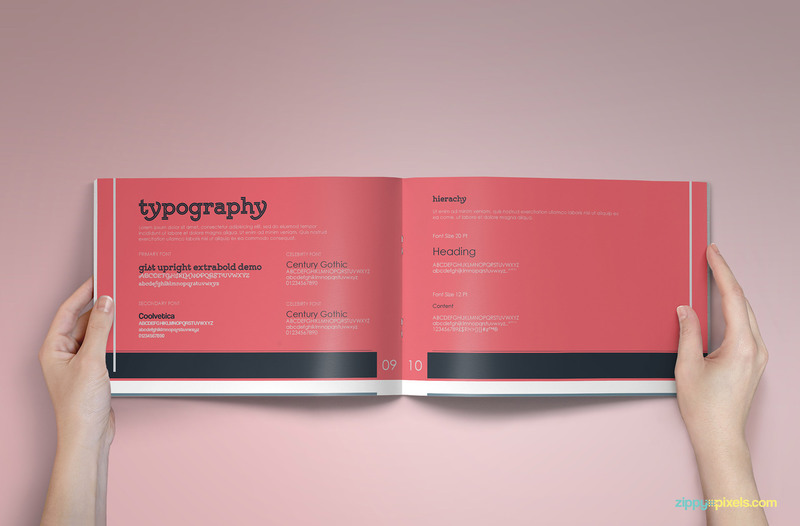 A massive bundle of 15 Brand Guidelines Templates to help you master the art of super impressing your clients. 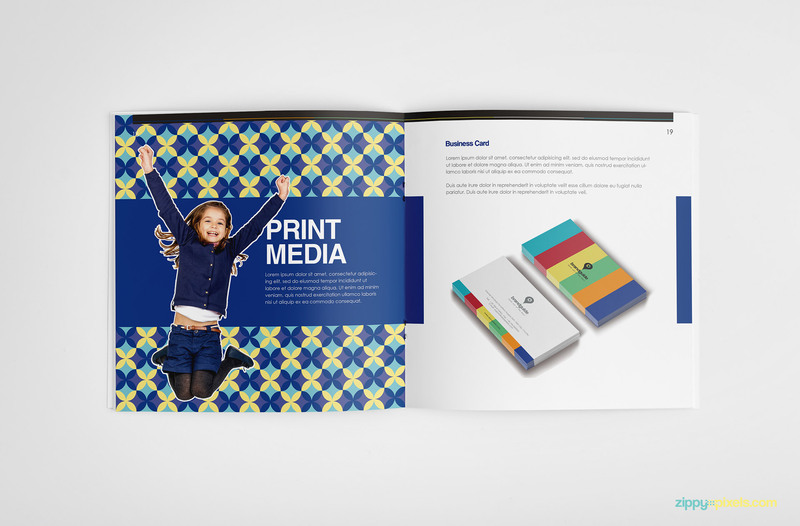 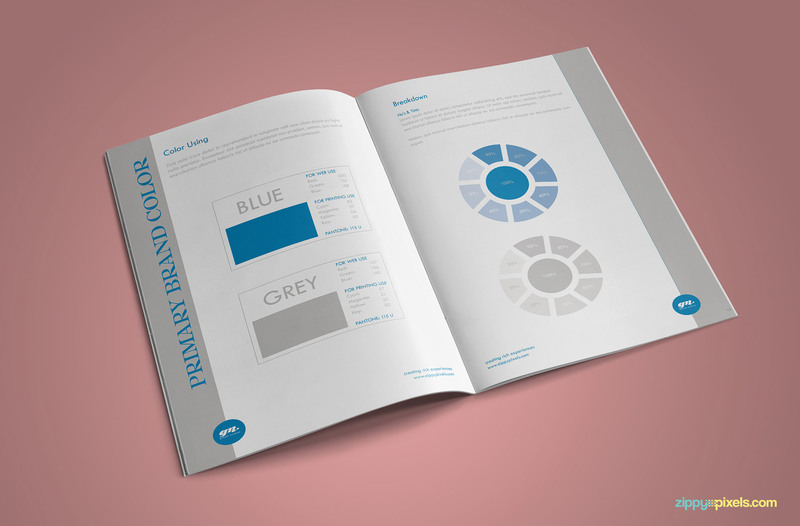 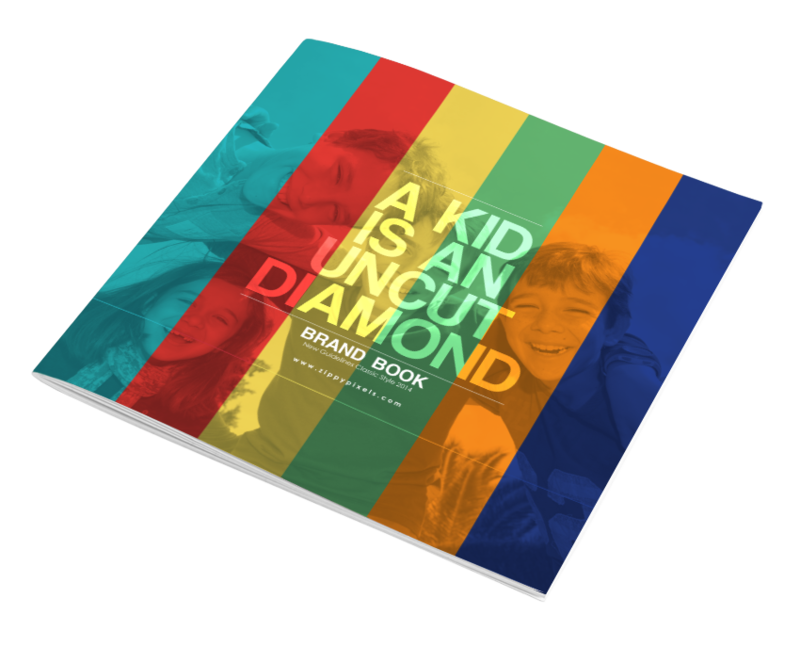 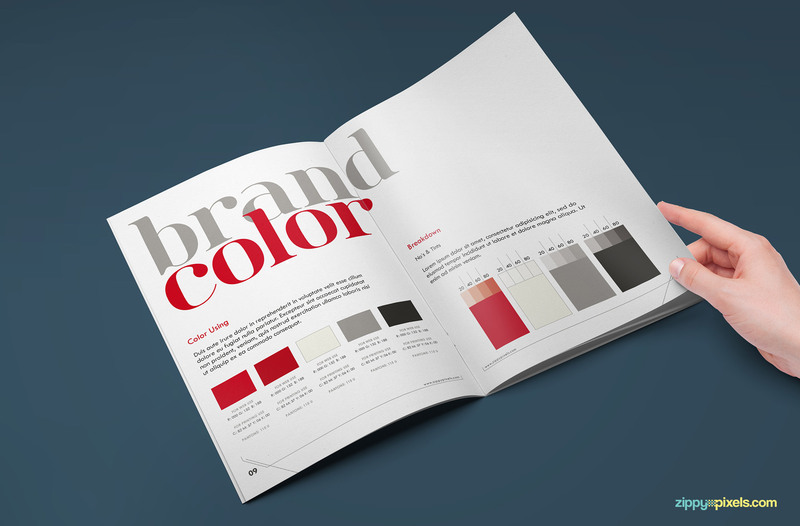 Simply place your designs, adjust colors using Color Swatch Feature and your perfect Brand Book is ready. 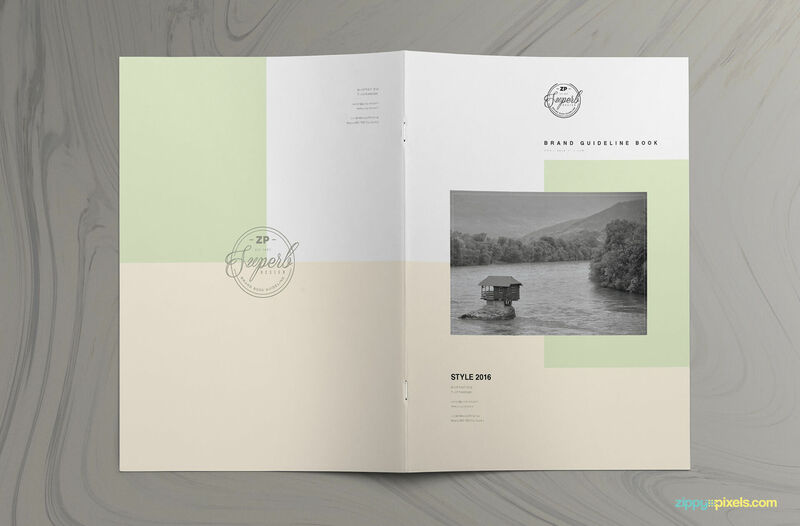 These 15 templates cover a large variety of design styles; including but not limited to minimalistic, classic, modern and vintage. 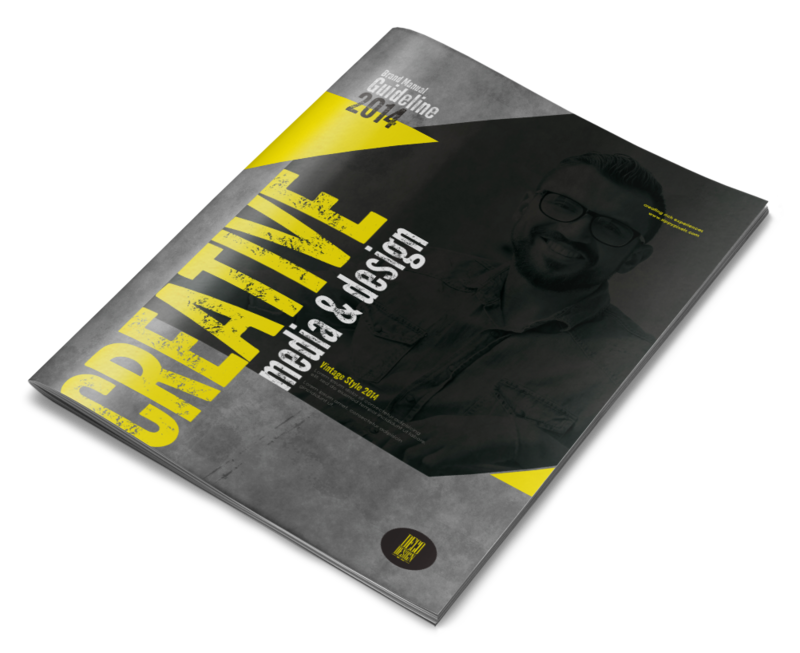 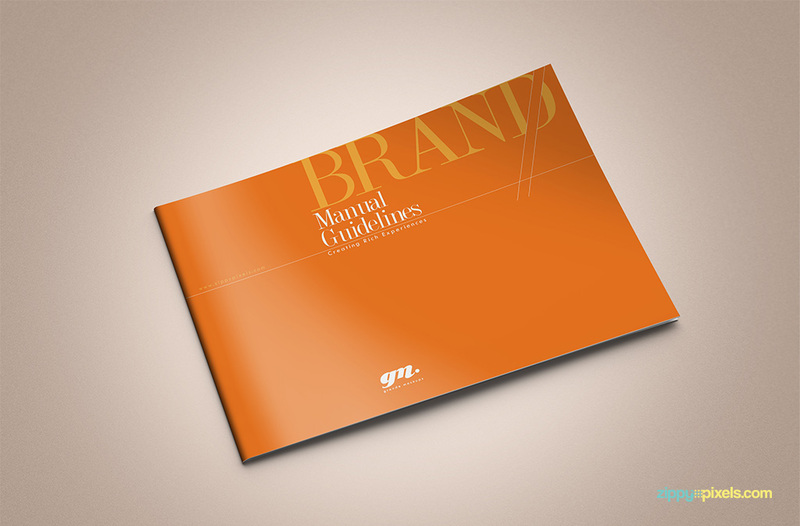 All Brand Guidelines Templates are print ready,high resolution and available in Adobe Indesign, Adobe Illustrator and PDF formats. 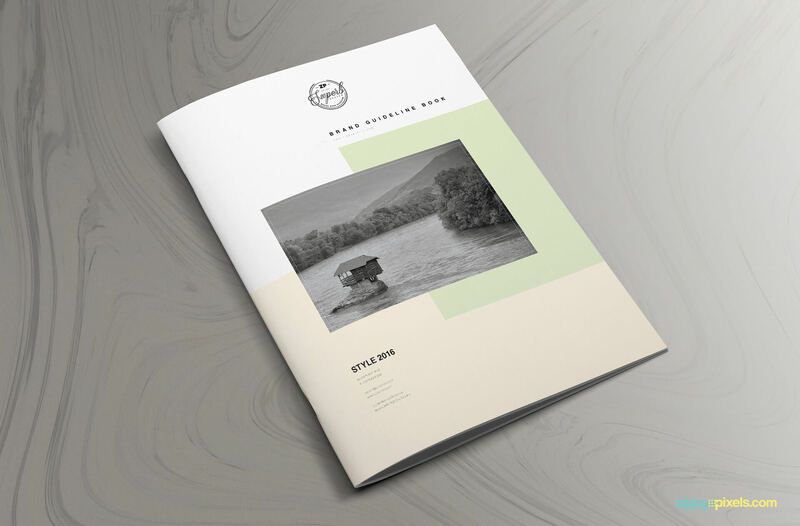 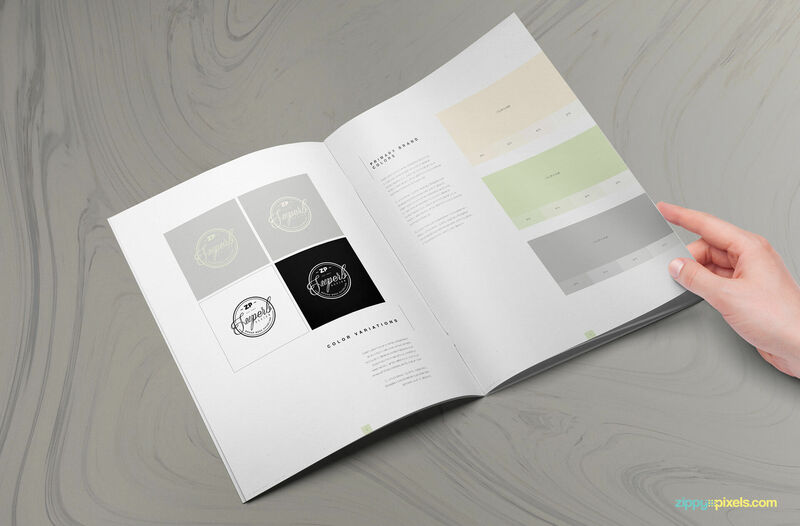 An inspiration brand guide template that lets you create, edit and present professionally styled brand guidelines in matter of minutes. 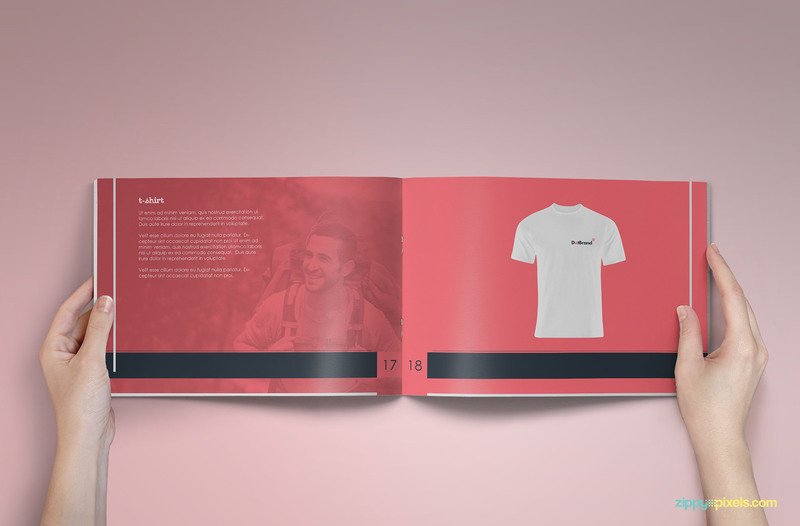 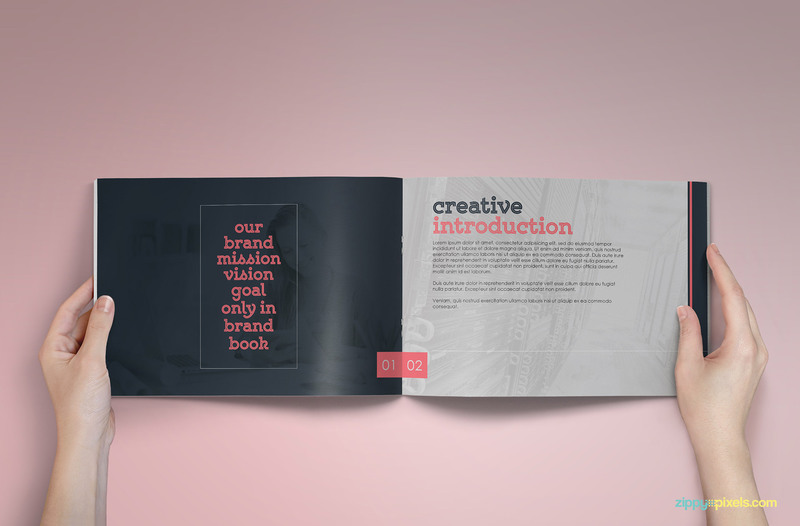 A splendid brand book template with a professional design to present brand identity designs to your clients in its grandeur. 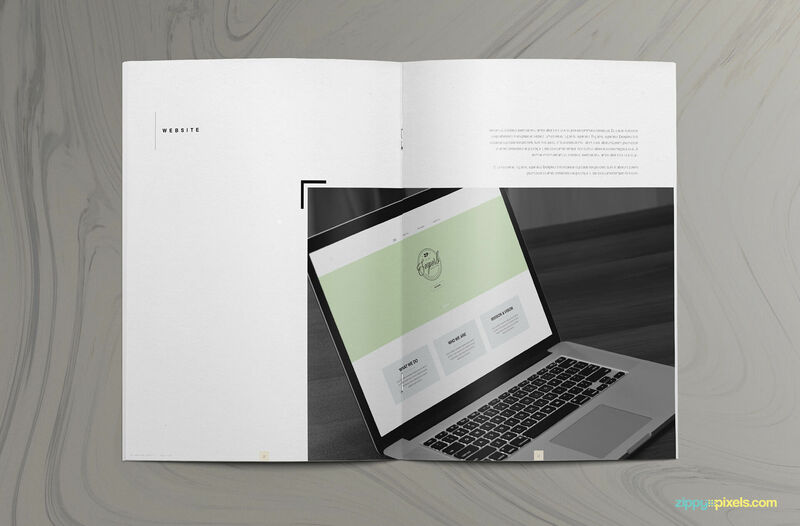 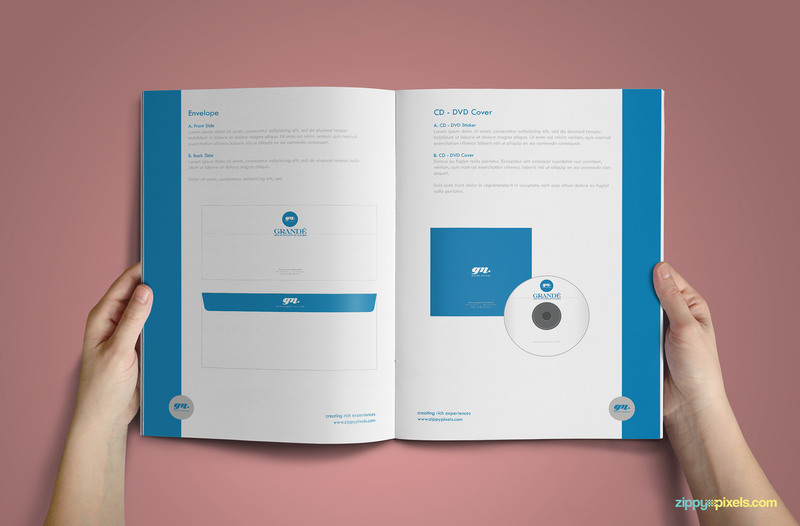 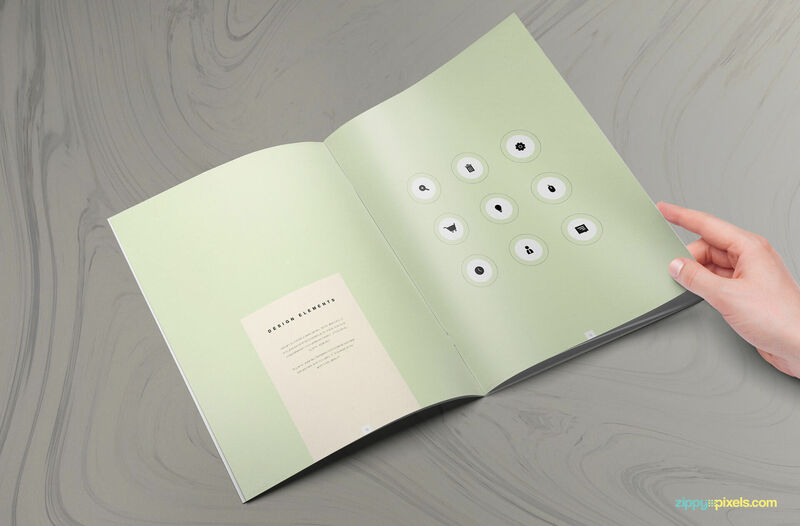 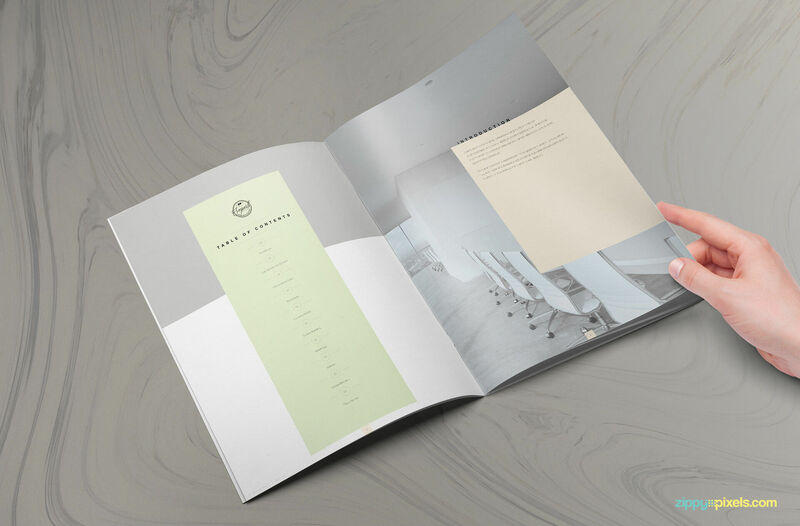 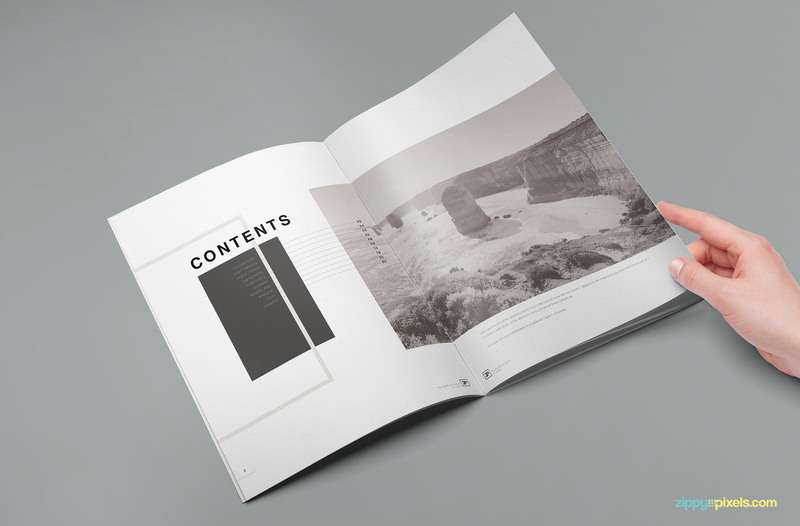 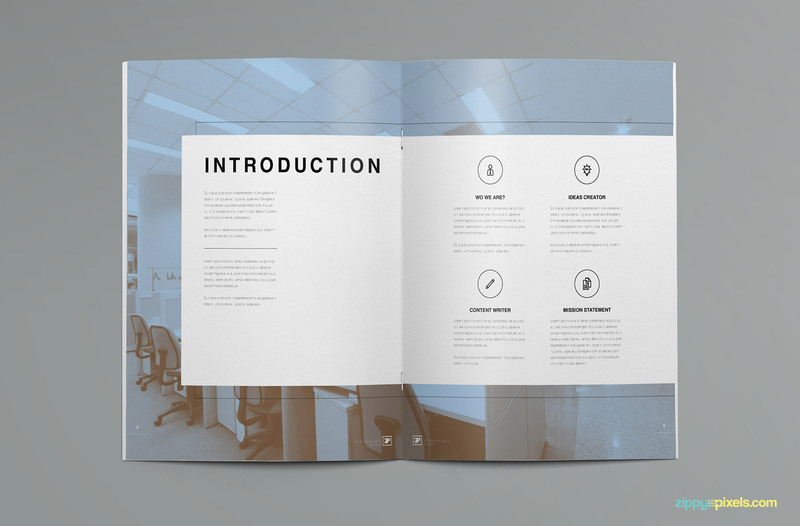 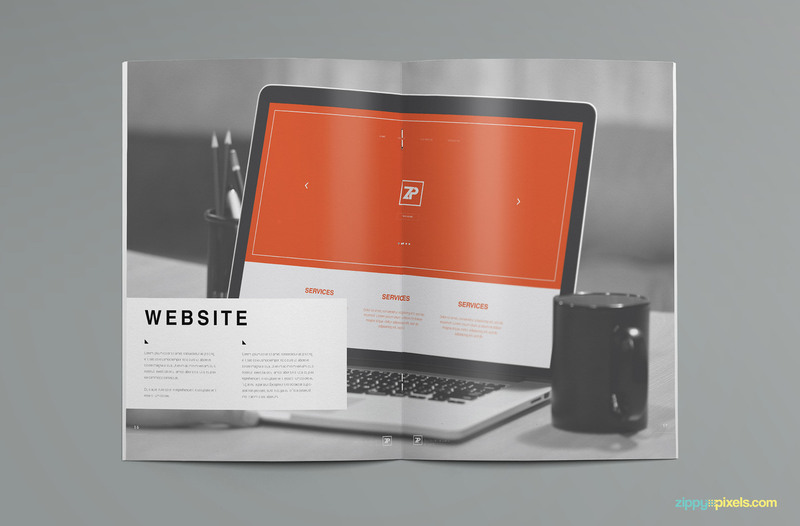 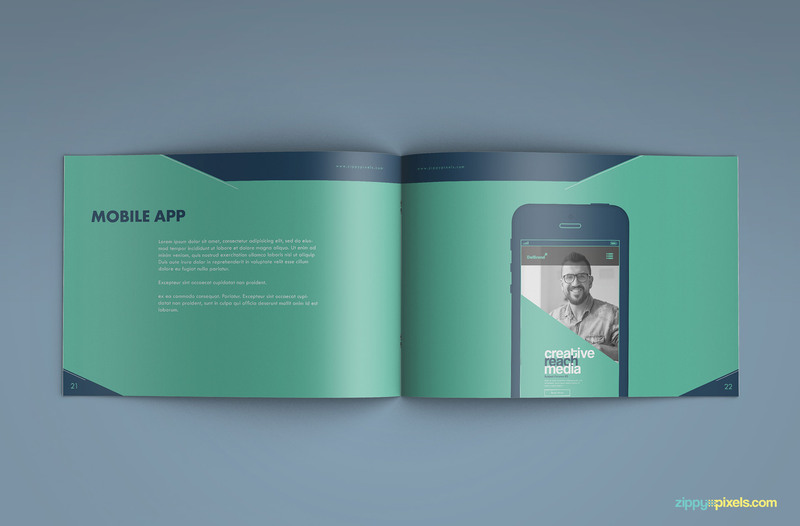 A super clean brand book template with a very minimalistic layout design. 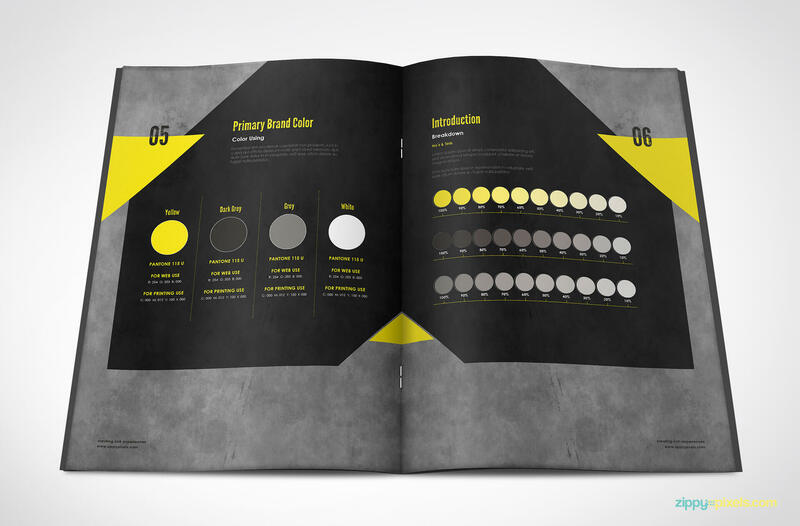 It comes with all the amazing features like color swatches, linked assets, separate layers, text styles and more. 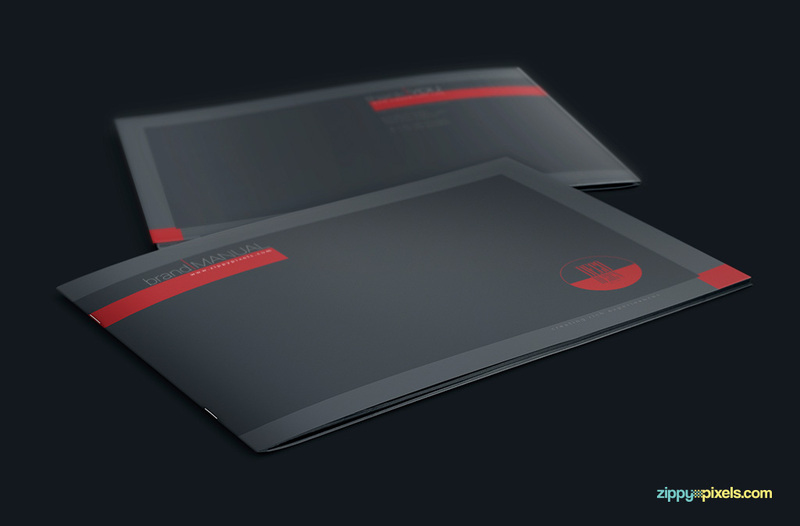 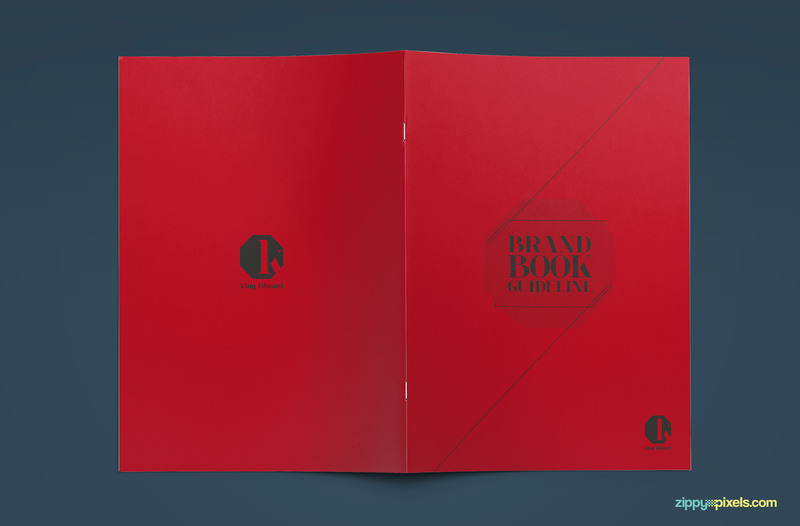 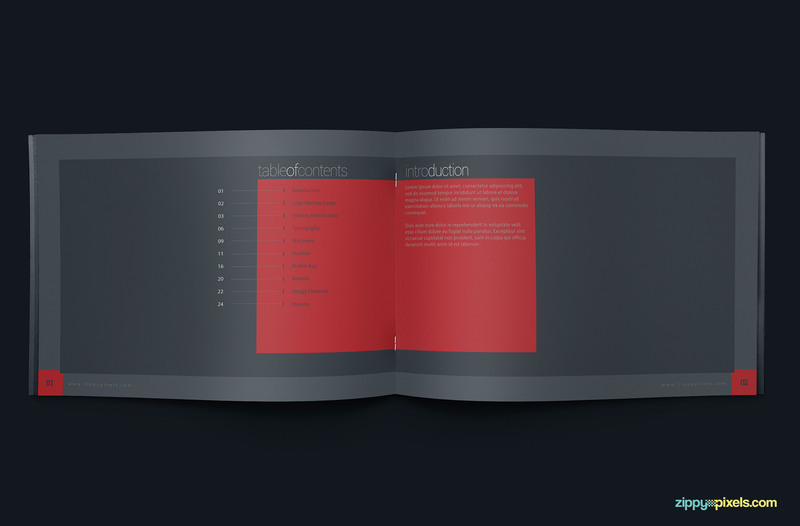 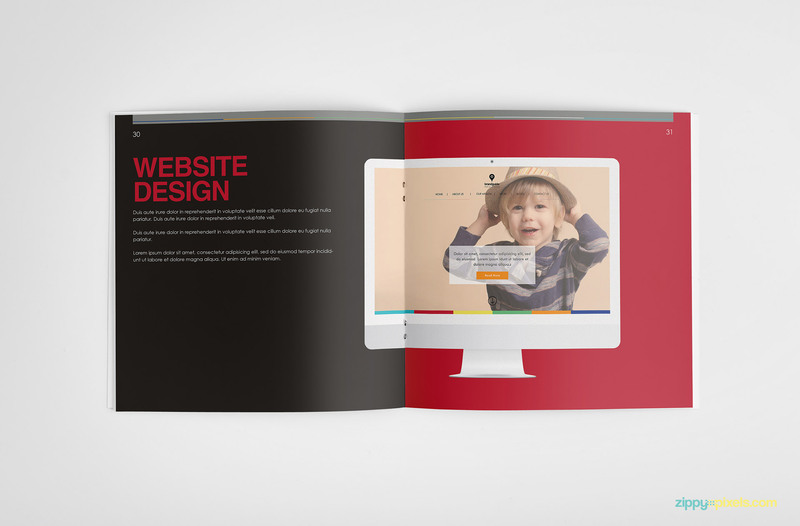 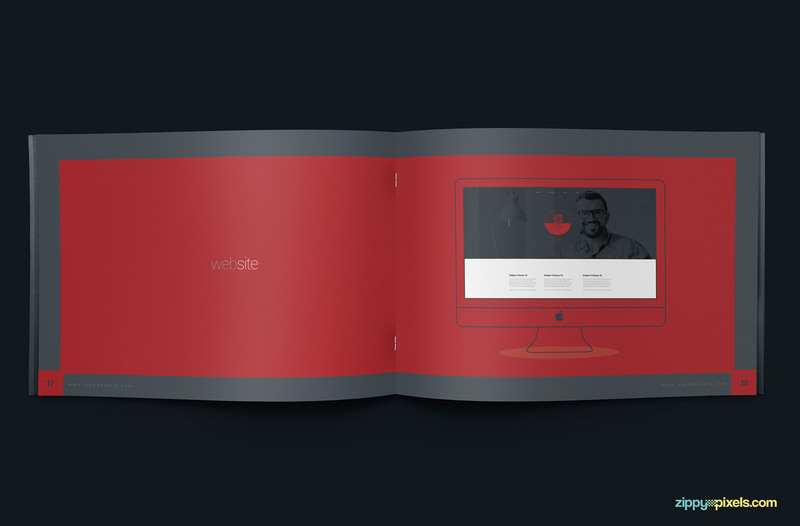 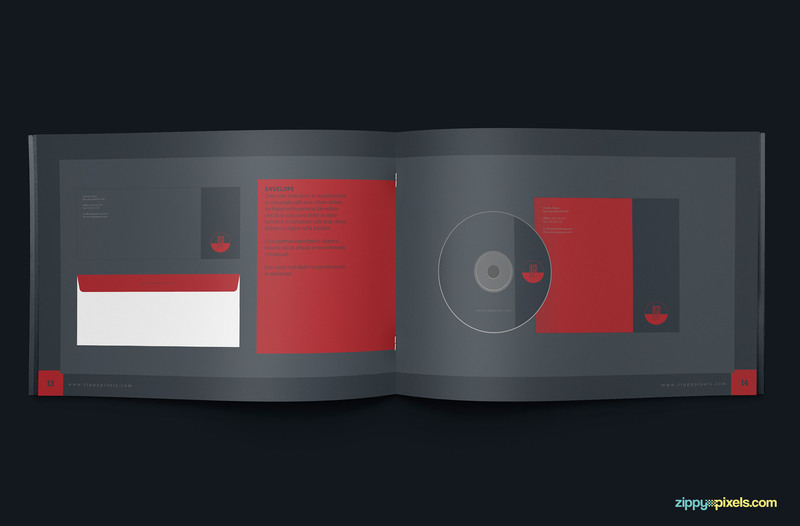 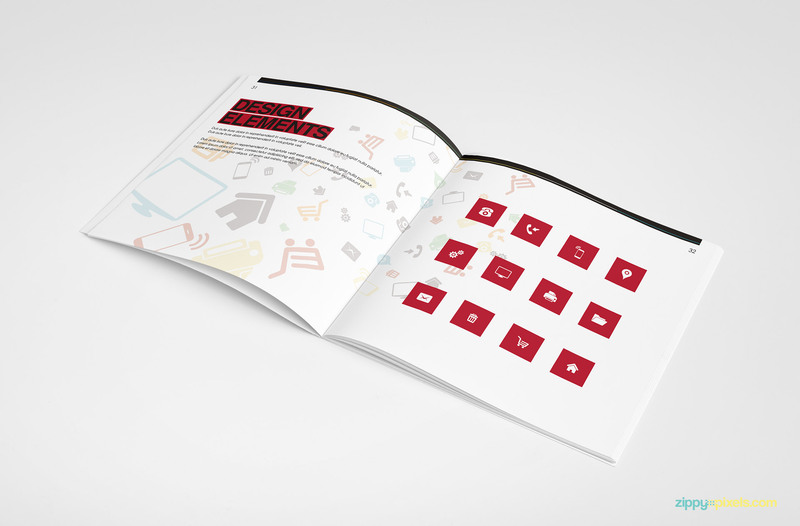 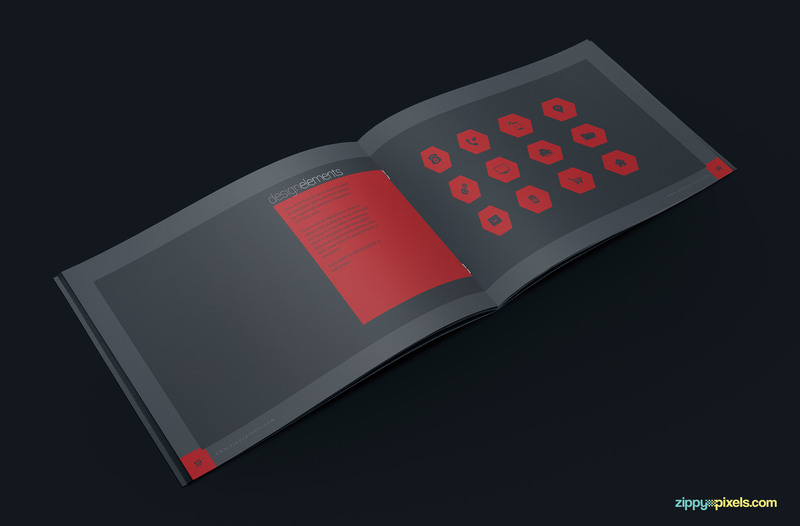 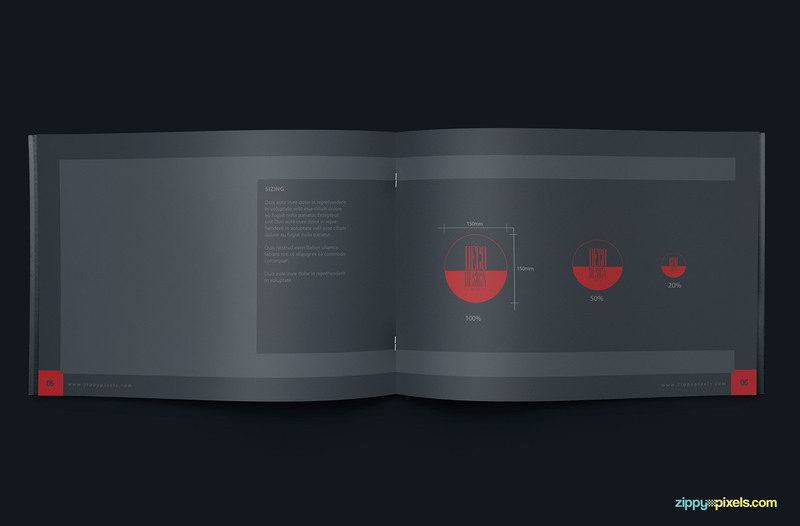 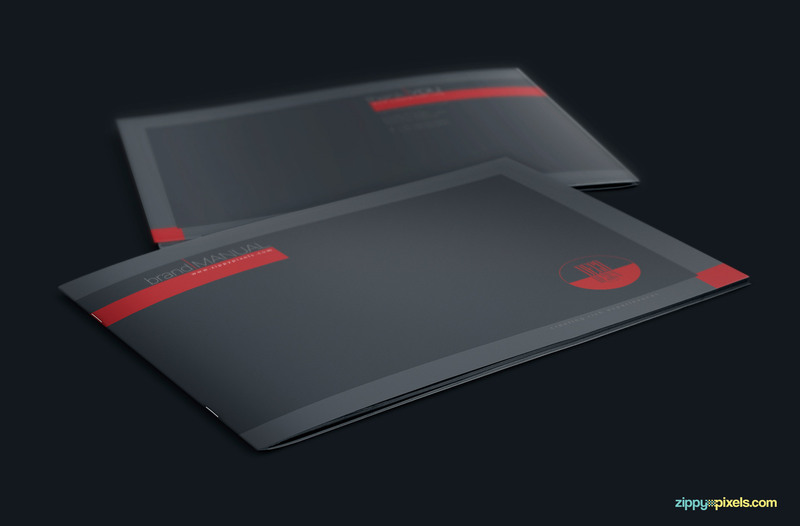 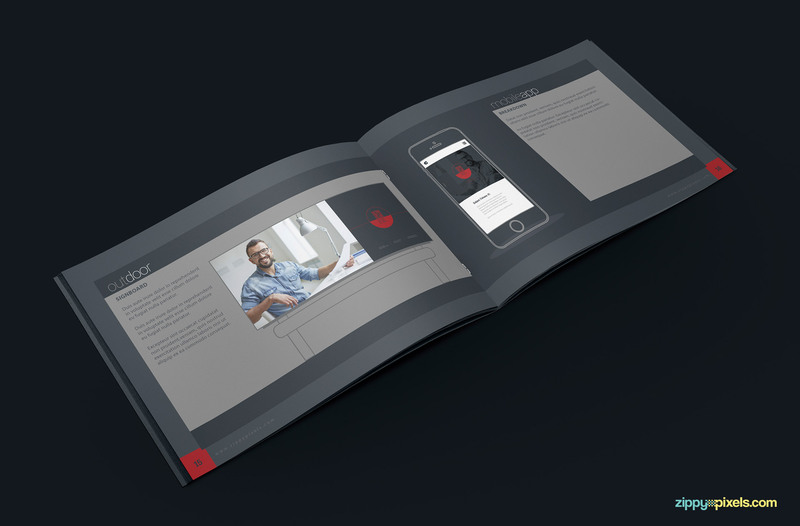 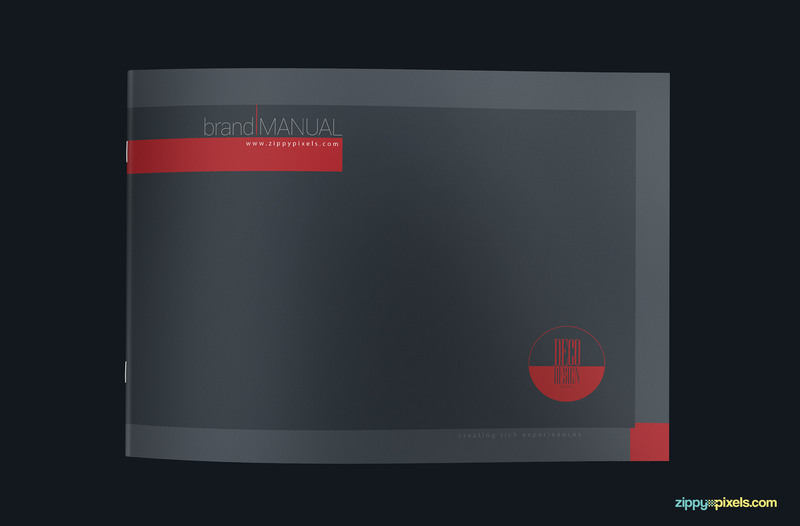 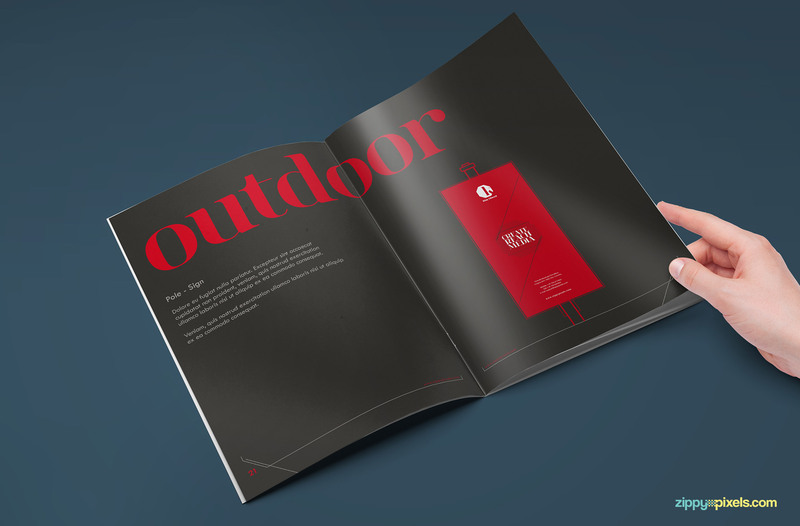 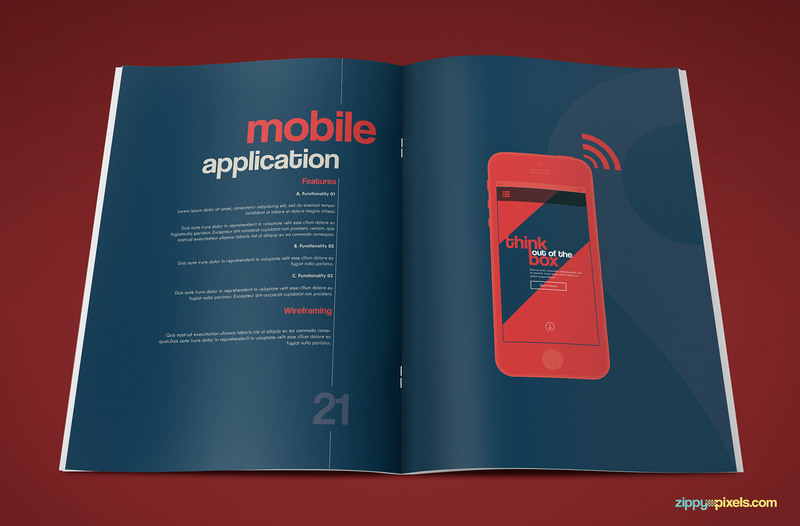 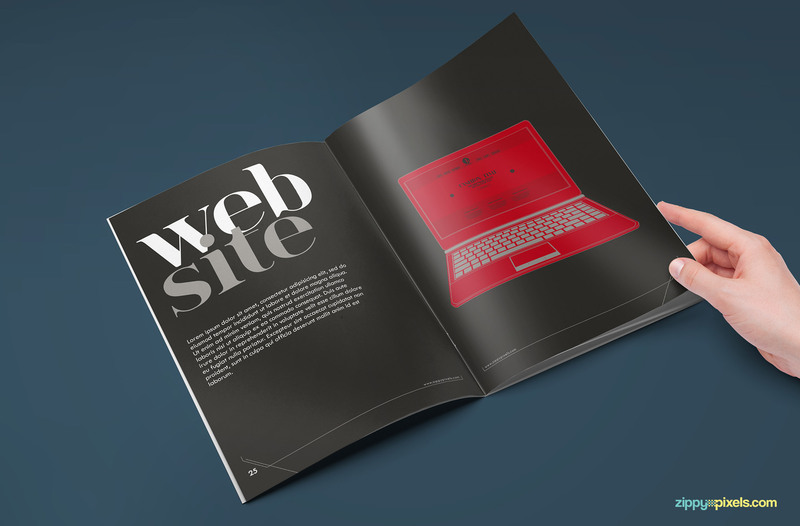 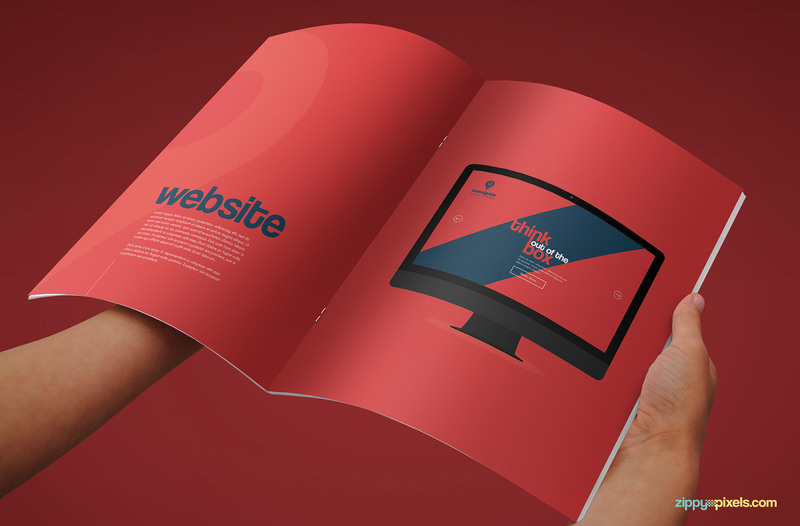 An outstanding brand manual template with grim black and blood red color theme. 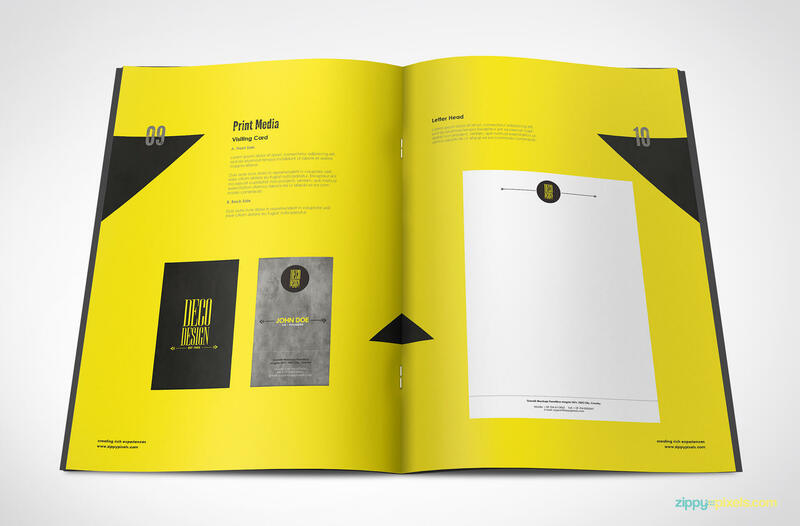 A bold choice for bold designers and agencies to present corporate/branding guidelines. 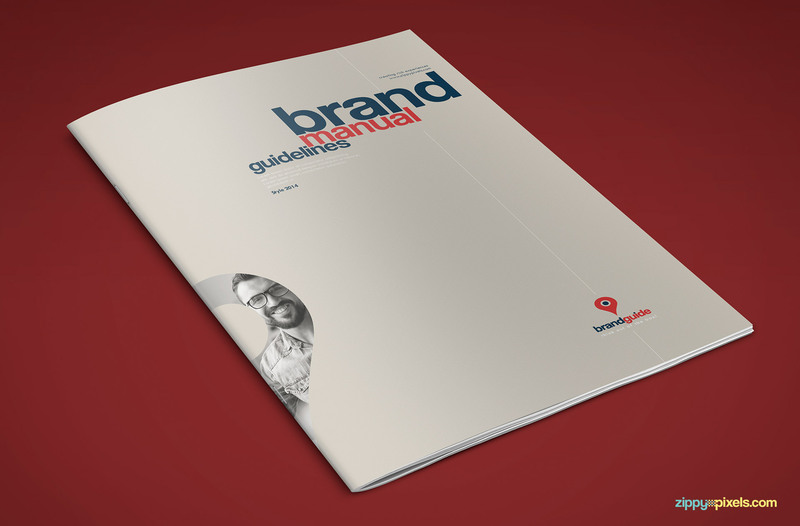 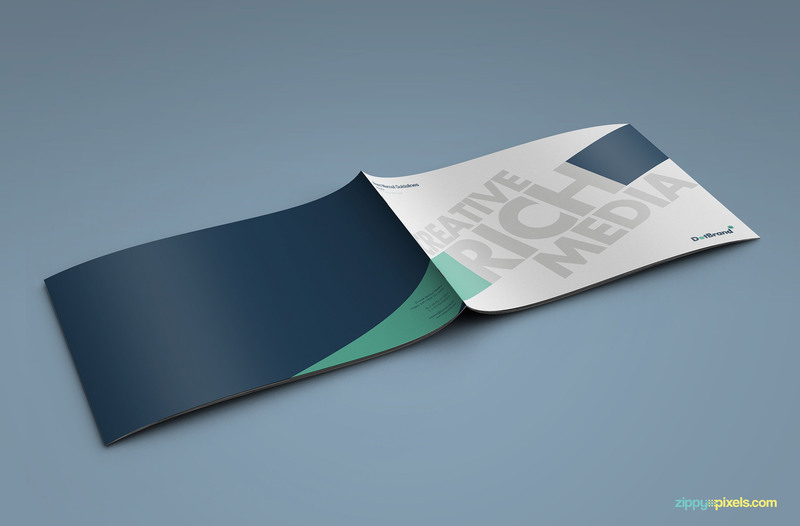 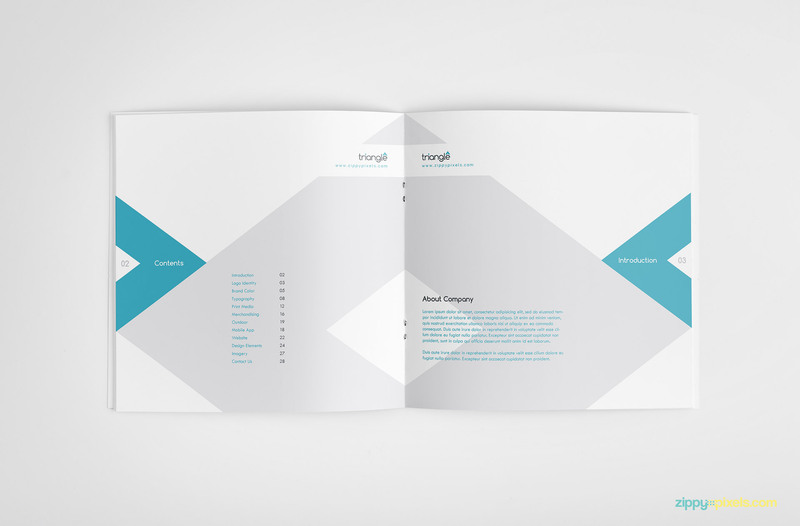 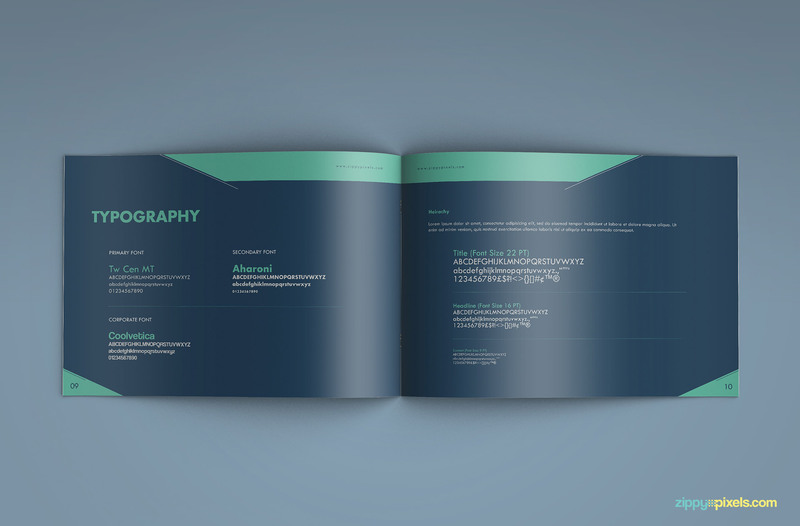 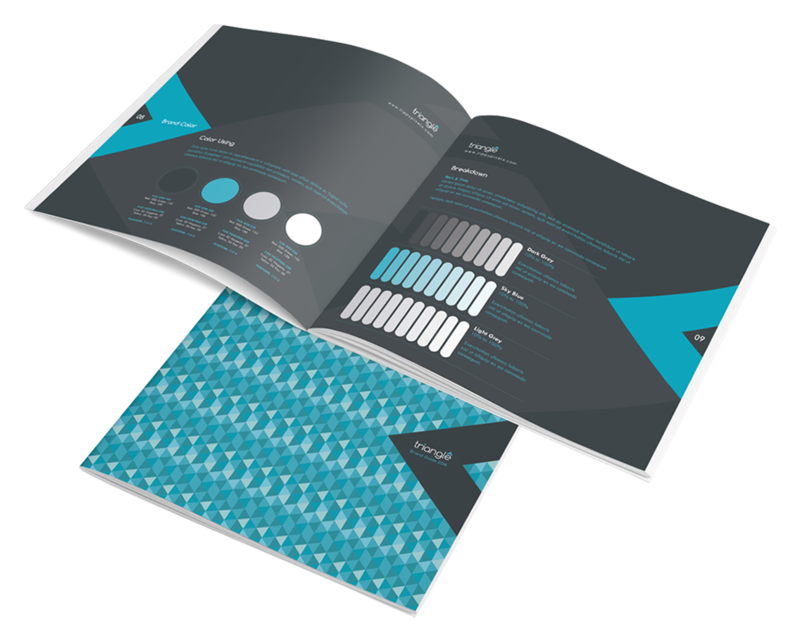 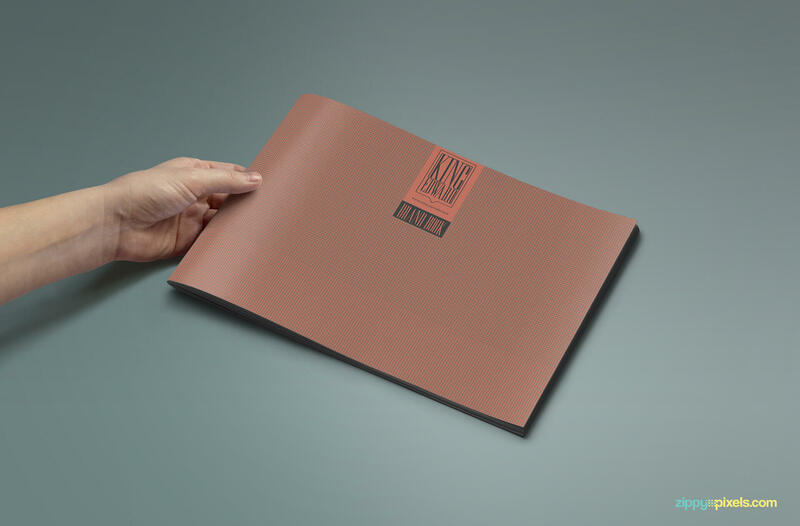 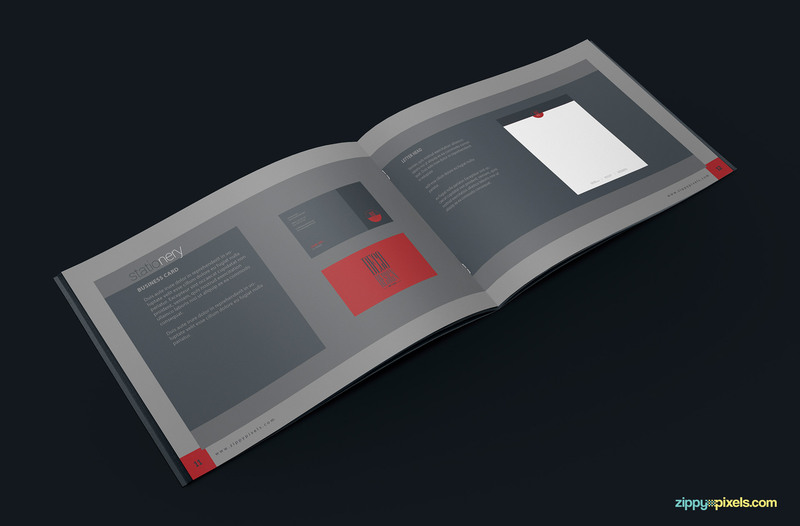 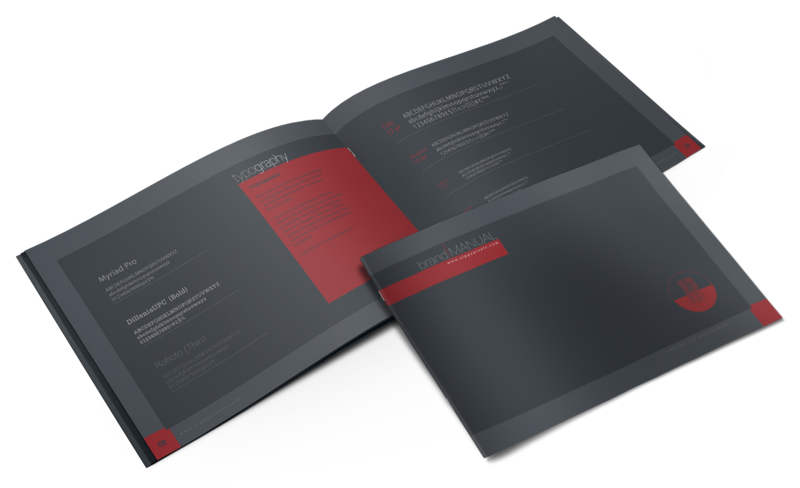 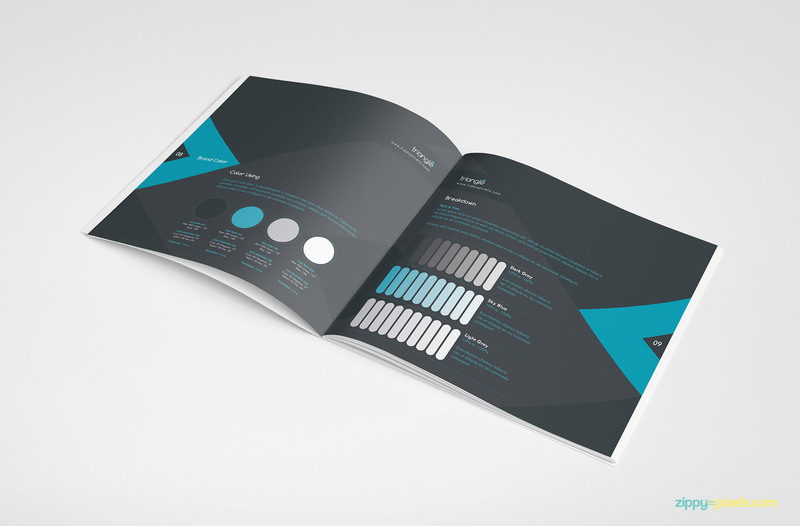 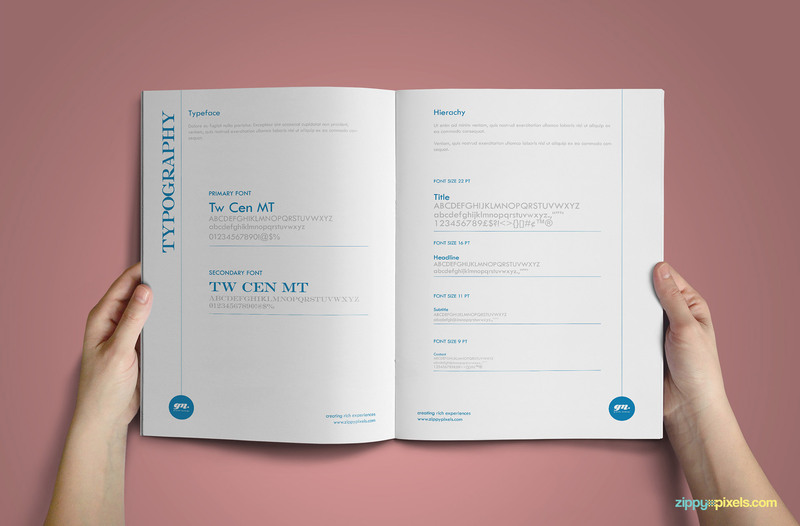 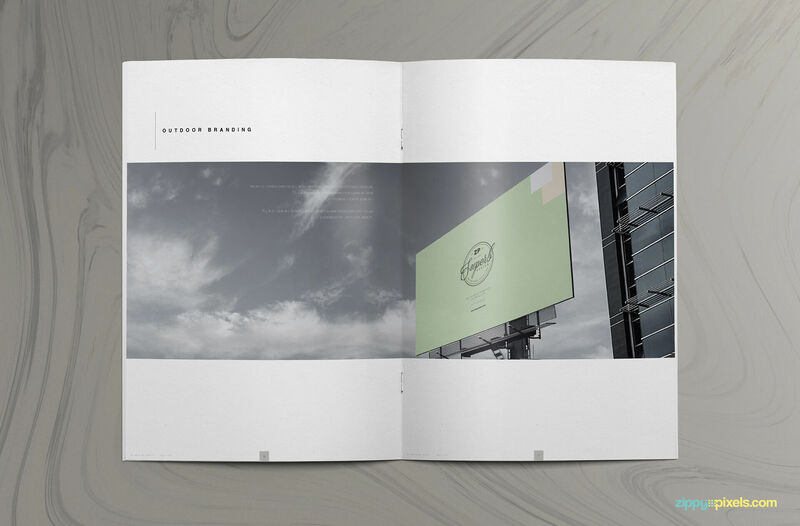 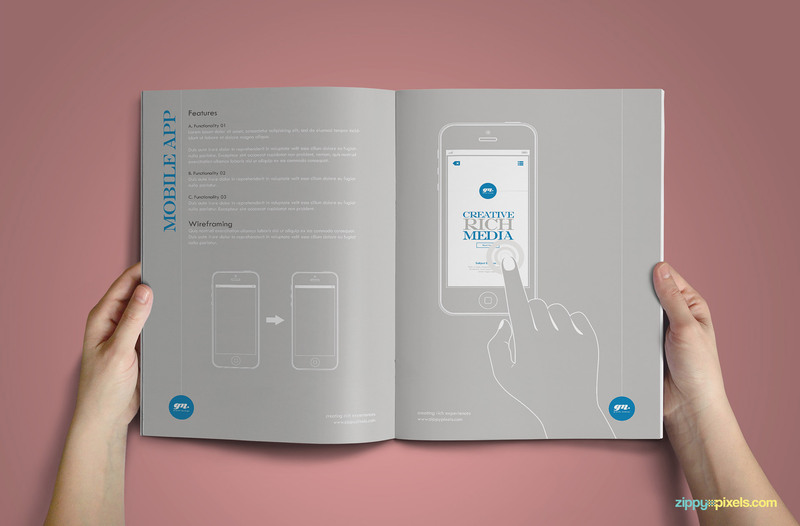 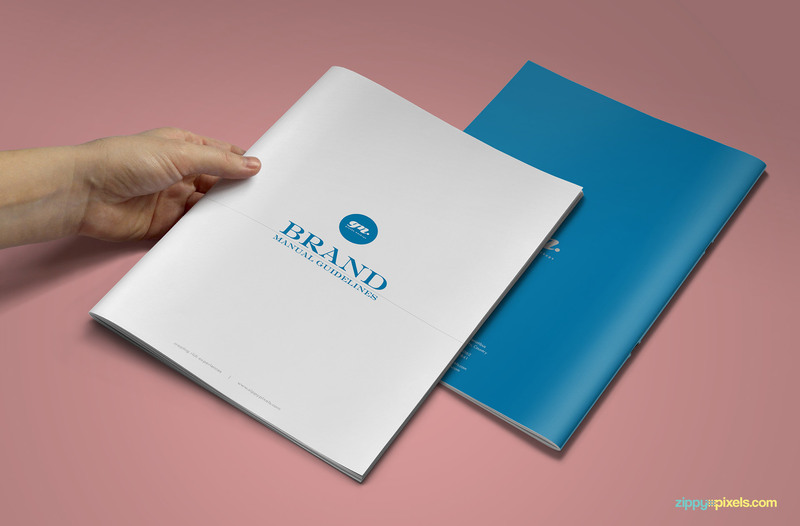 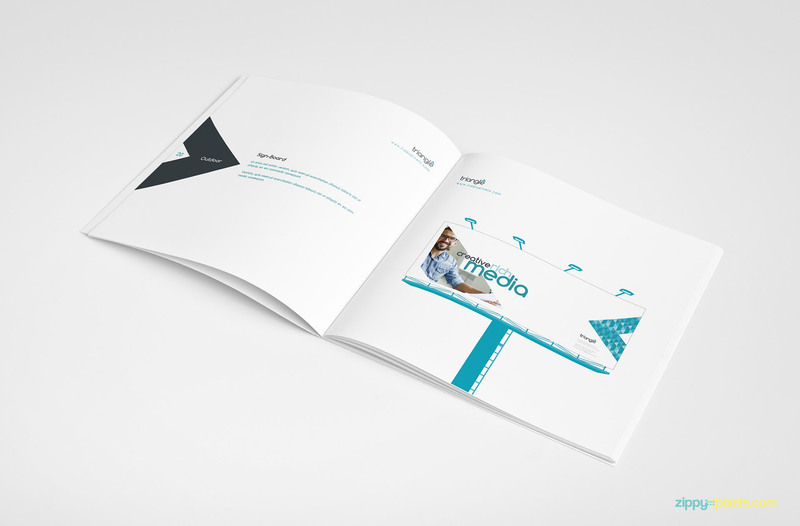 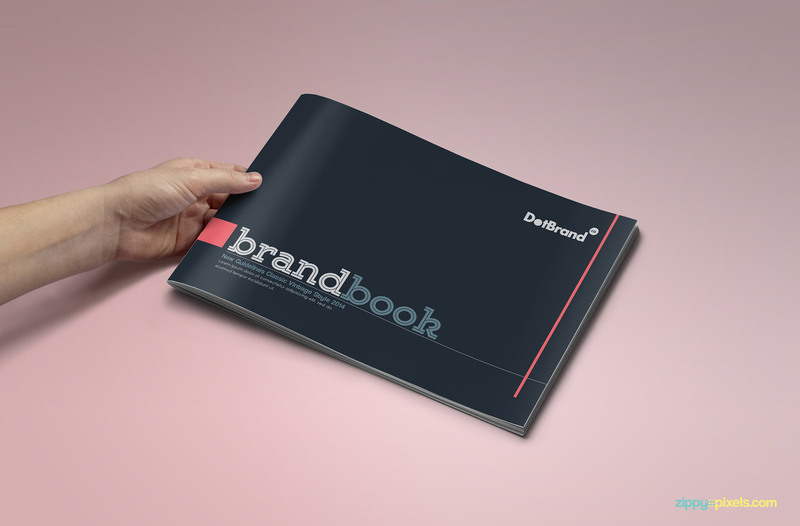 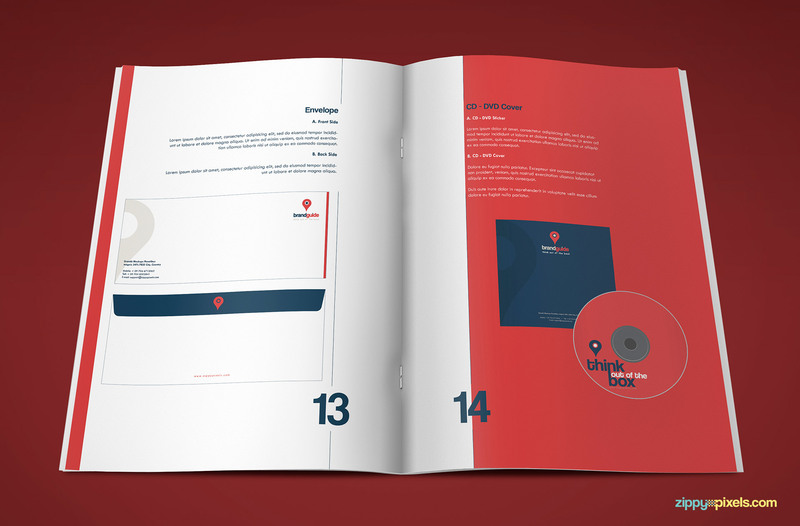 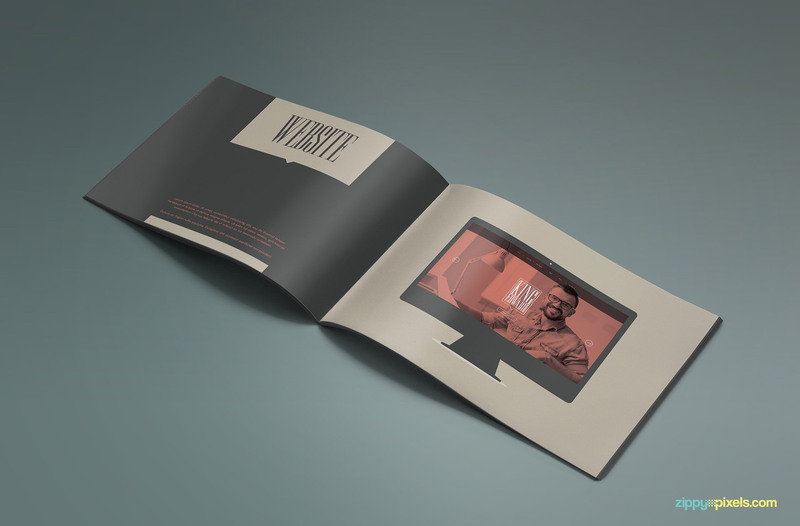 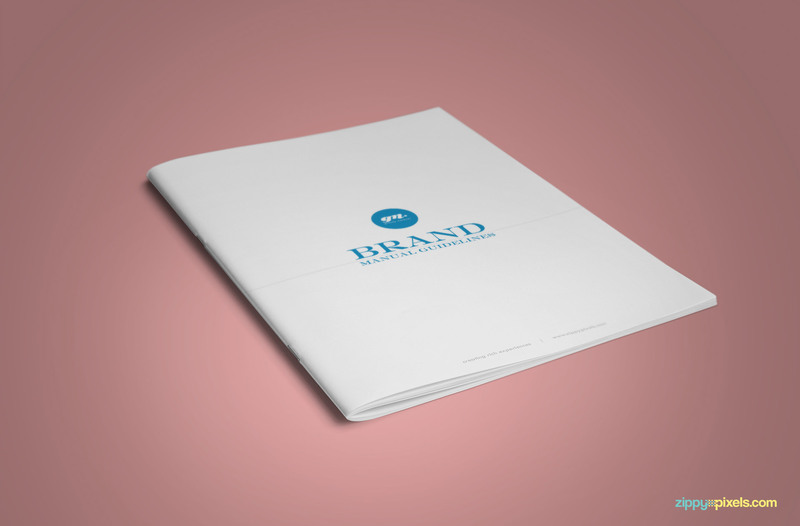 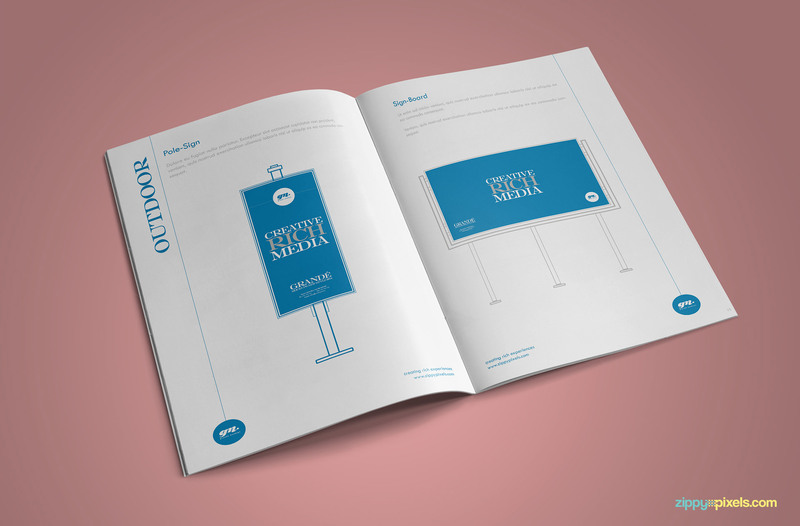 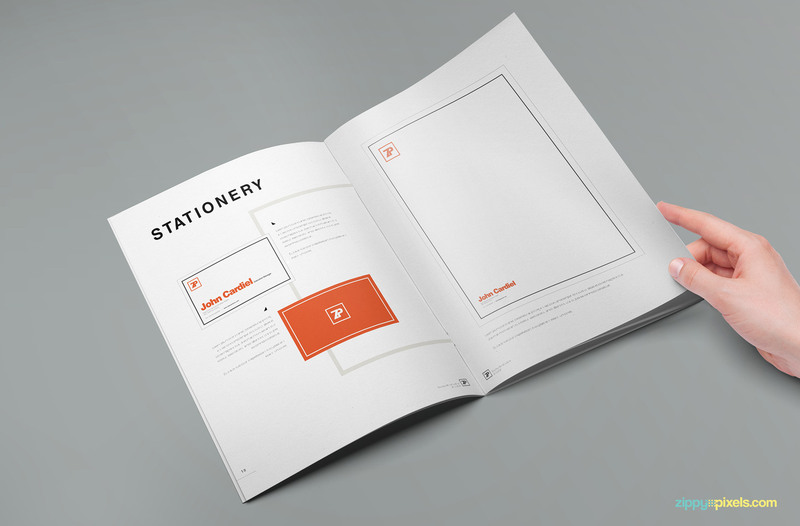 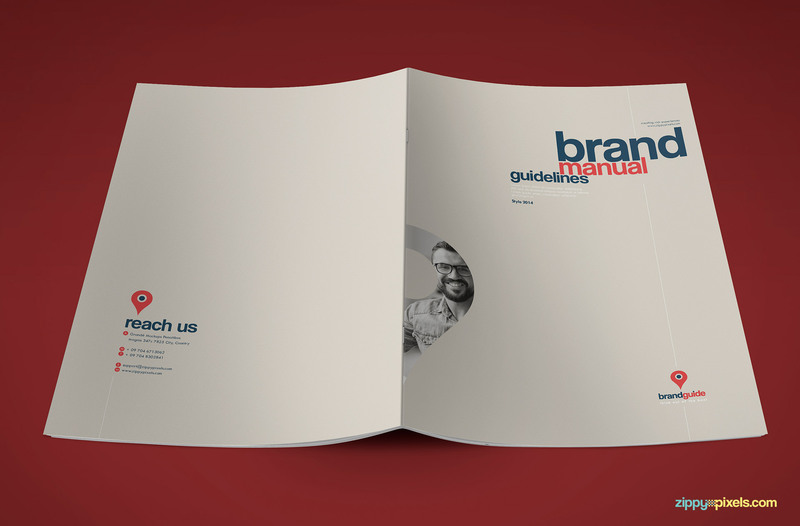 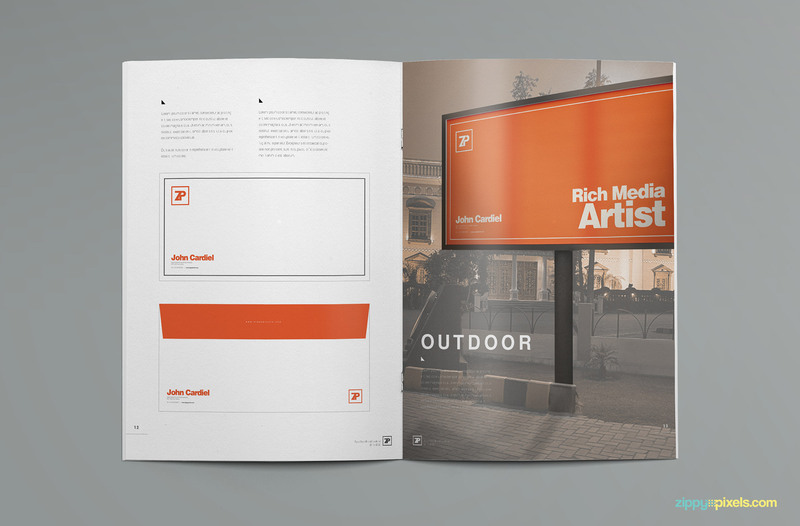 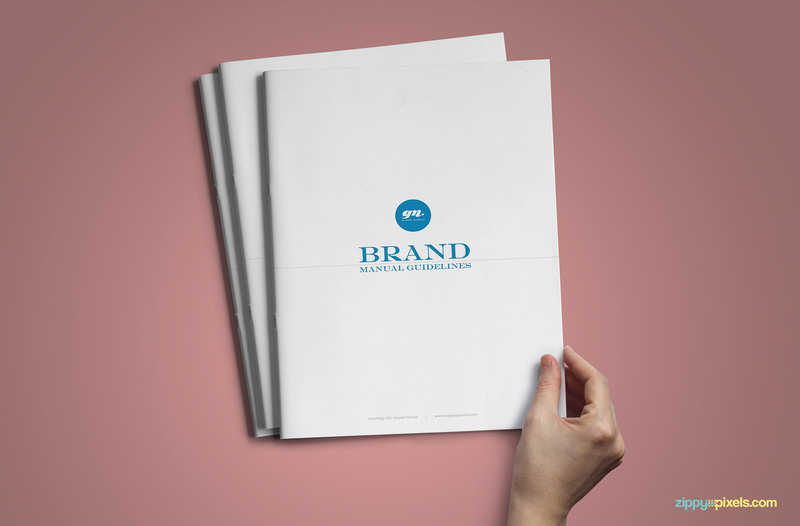 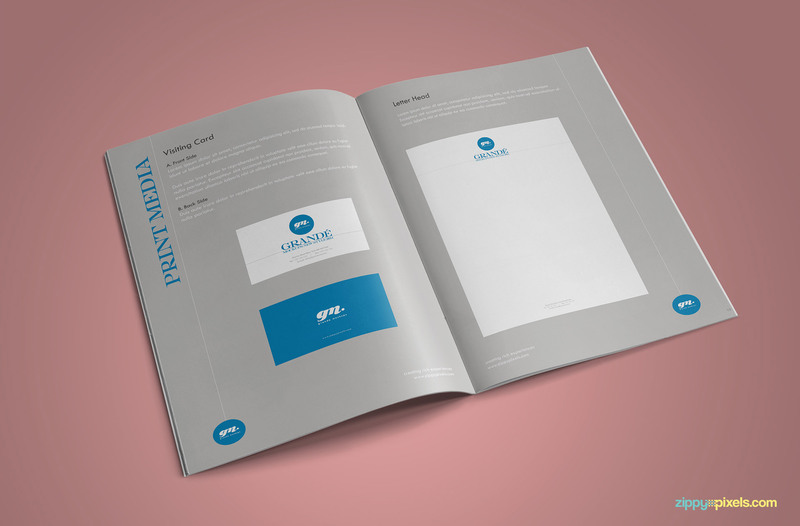 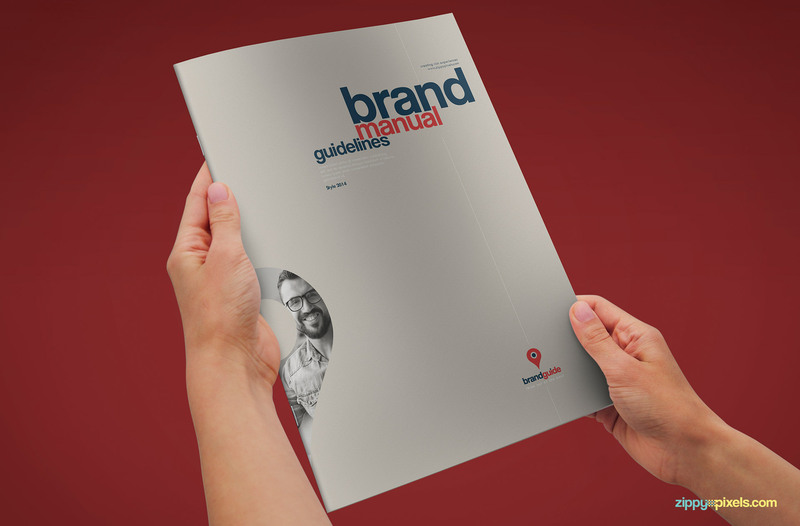 A horizontal A4 sized brand identity manual template with 24 pages. 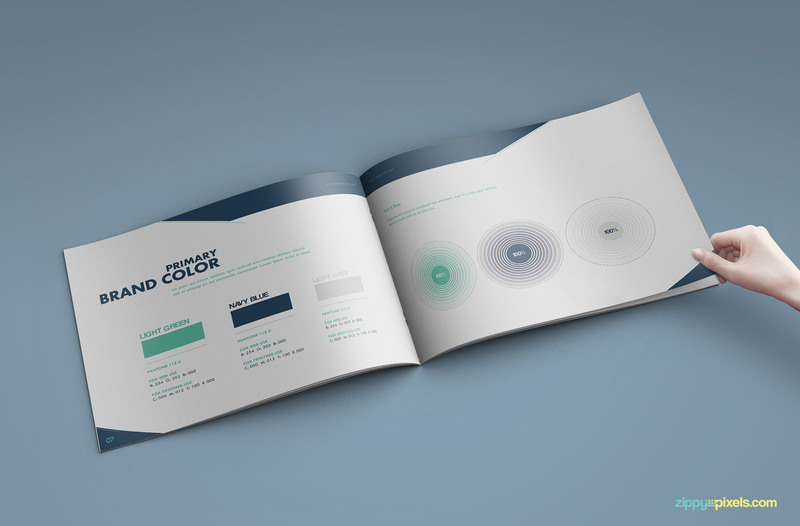 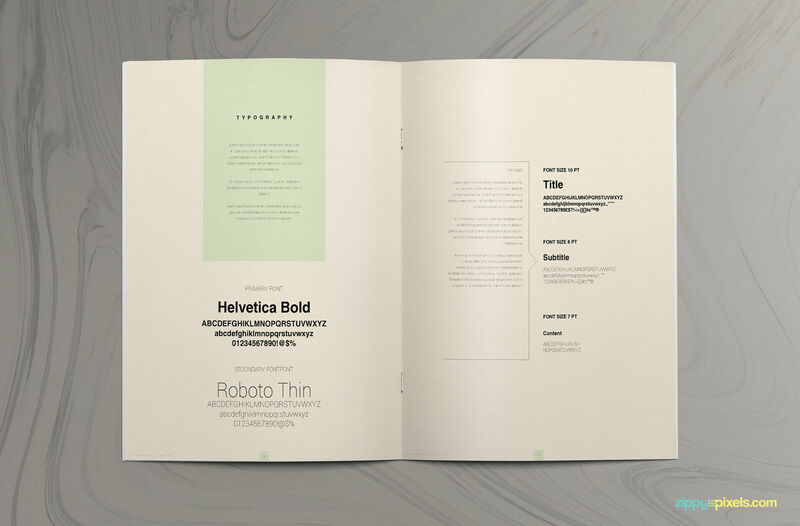 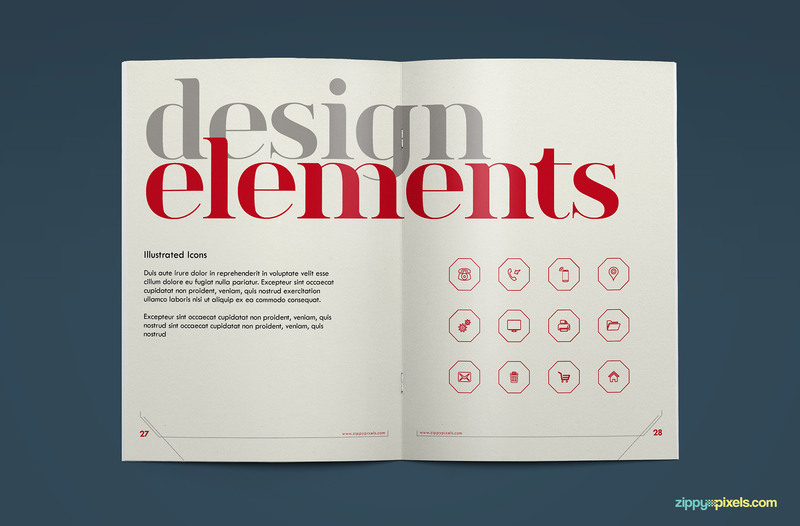 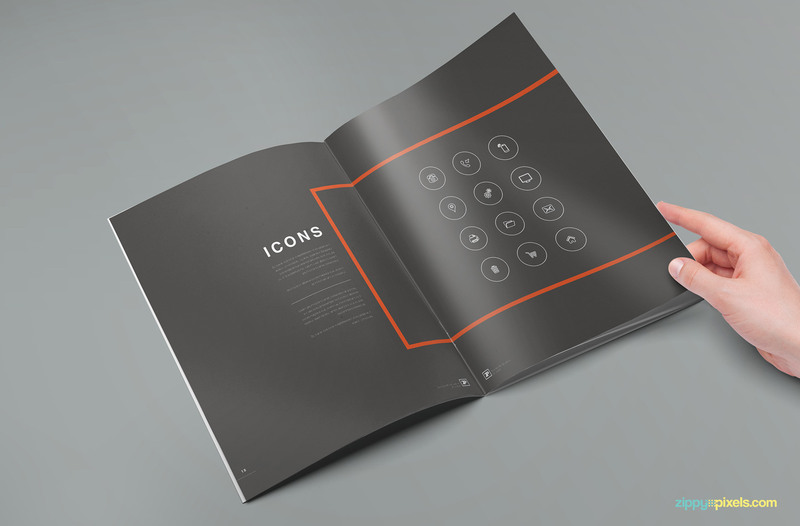 An amazingly clean brand guidelines manual template for creatives. Present the guidelines on company’s logo, merchandize, stationery, mobile app and website design with this template. 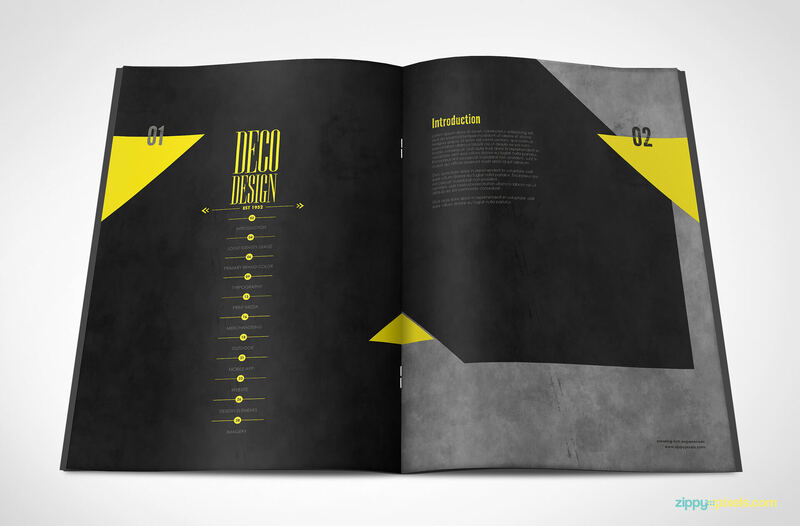 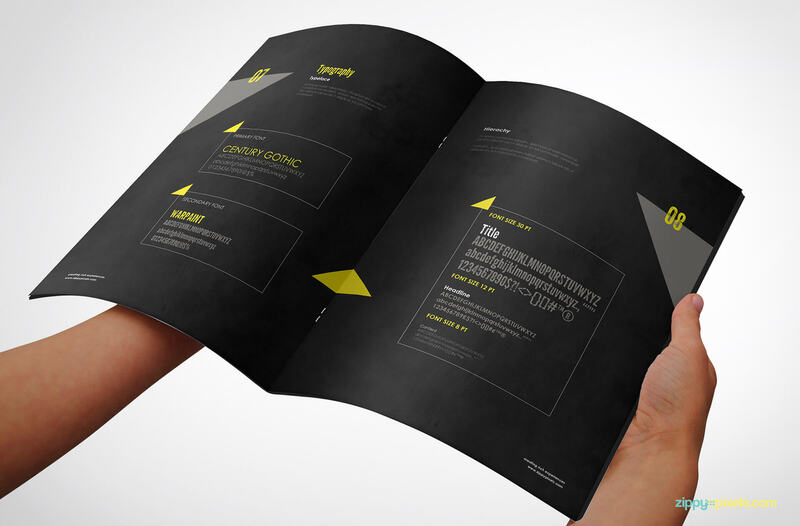 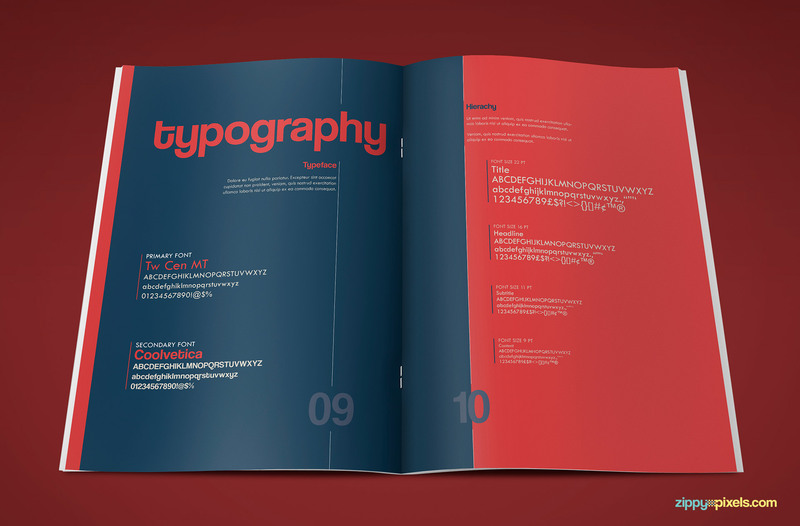 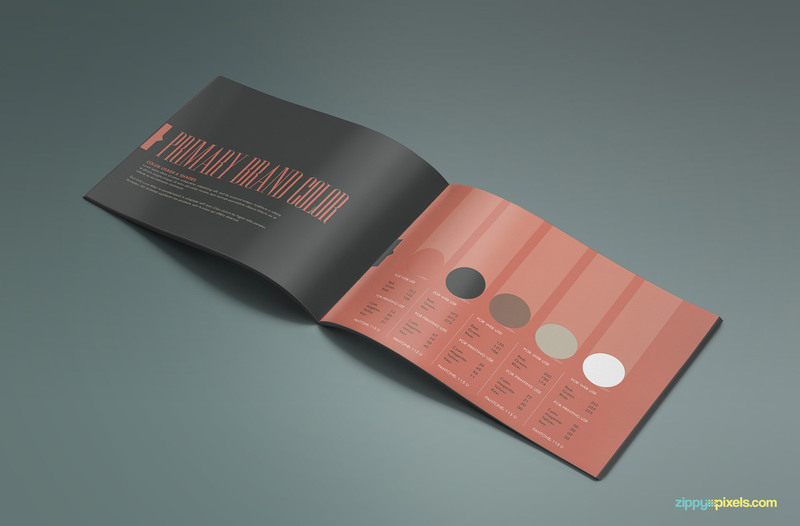 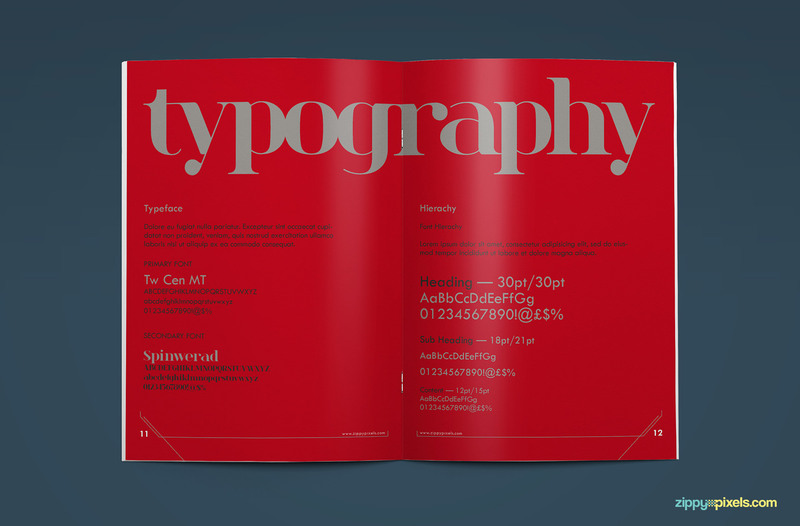 An awesome Indesign brand Identity guidelines template to rock your clients. 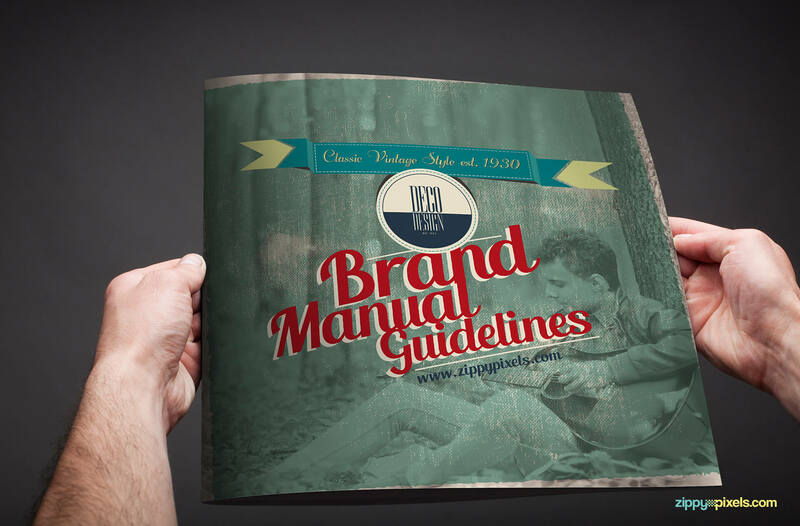 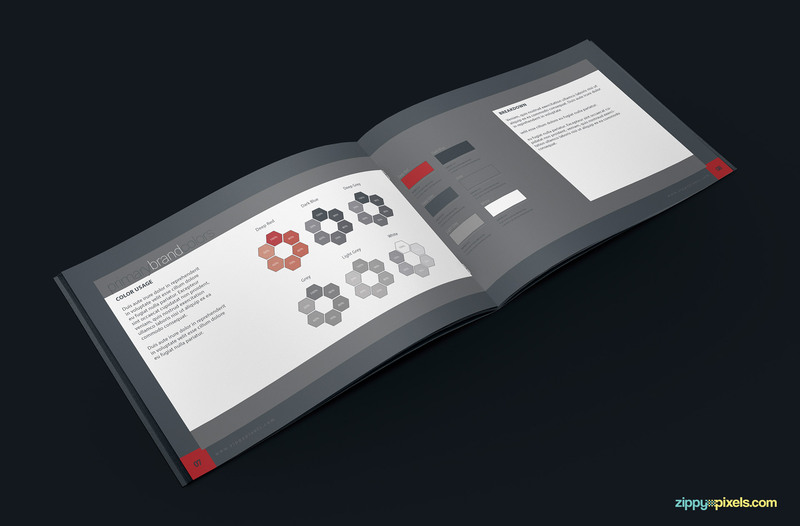 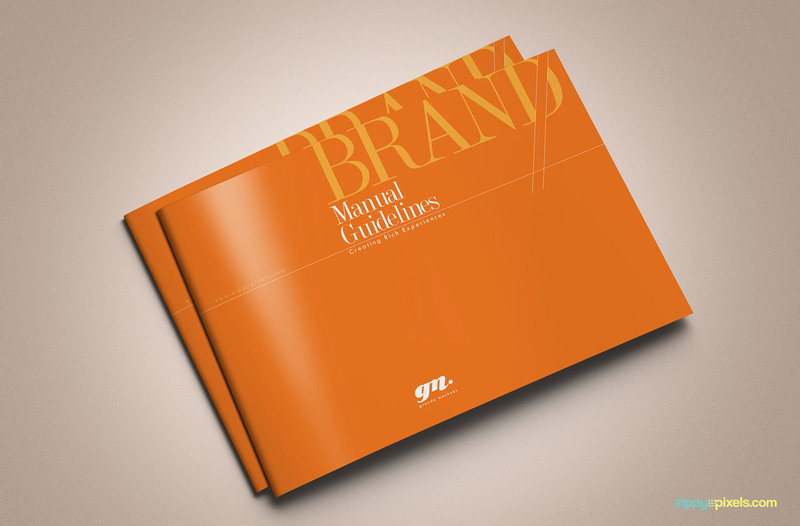 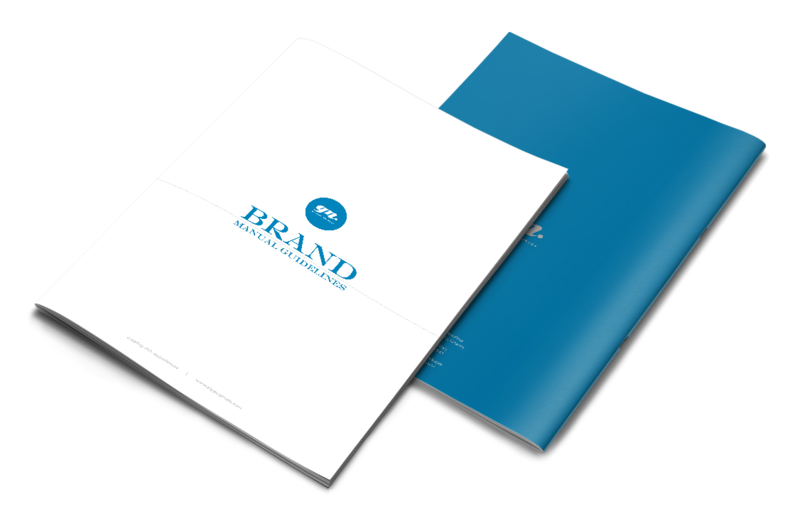 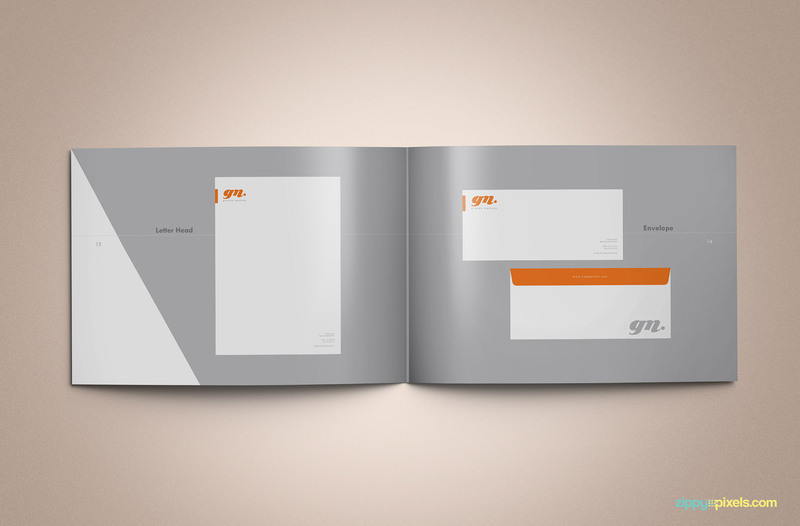 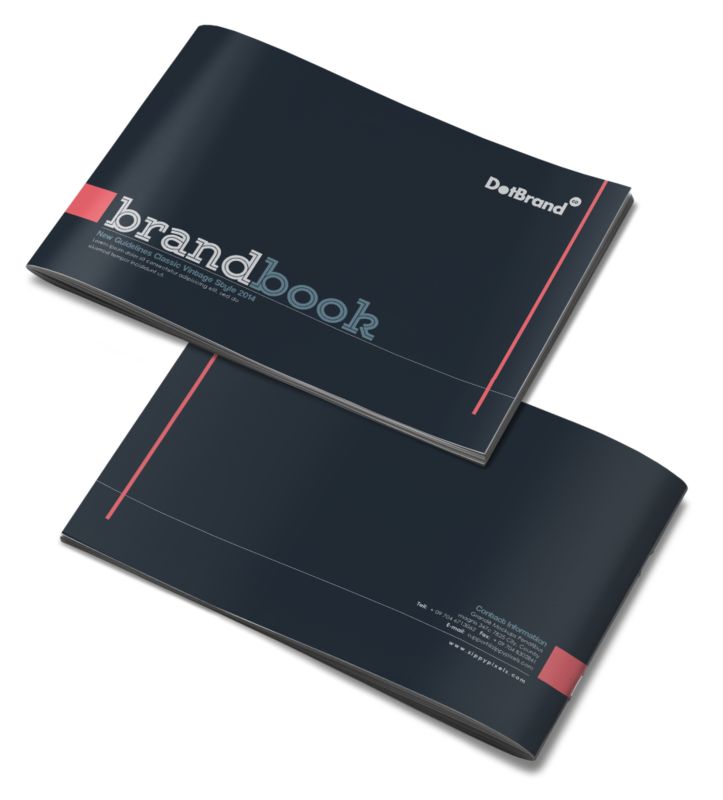 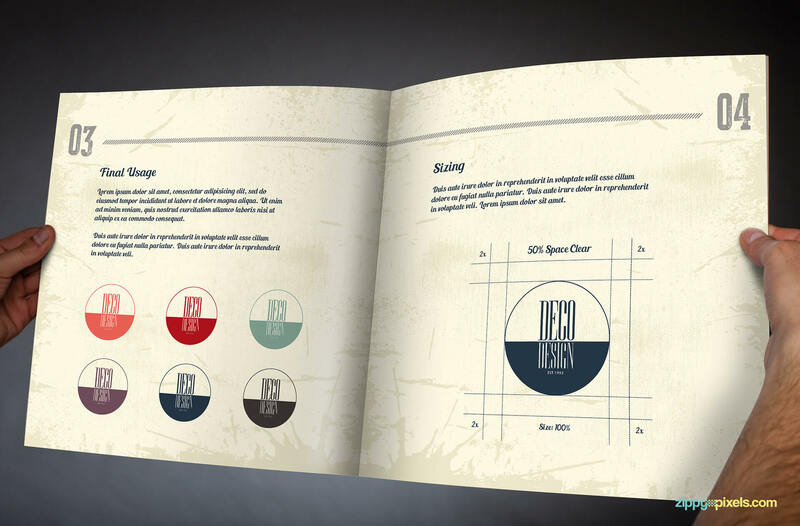 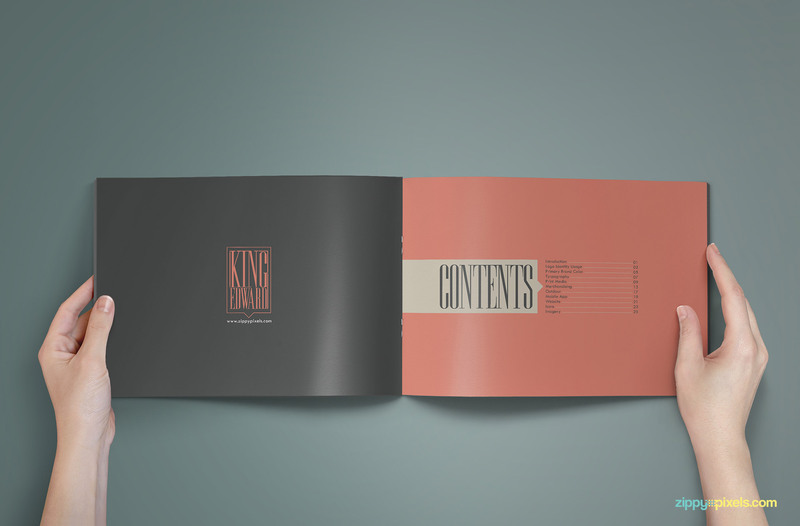 Present your designs of logos and stationery in this brand book guideline templates of 30 pages. 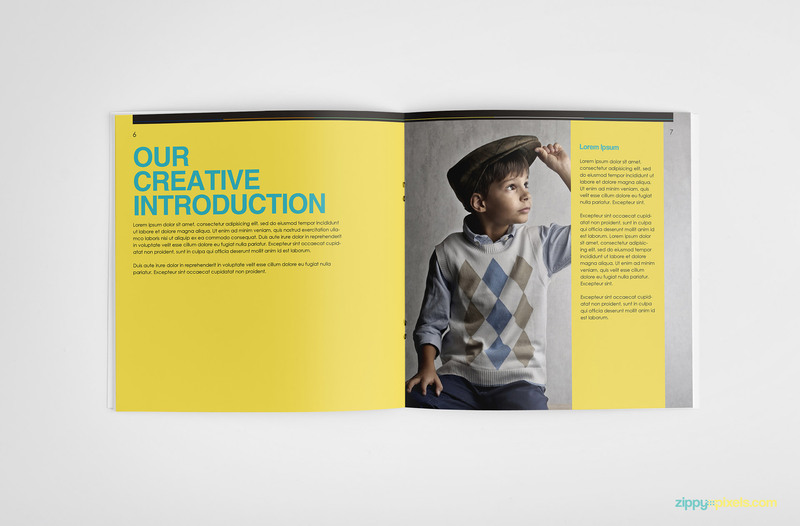 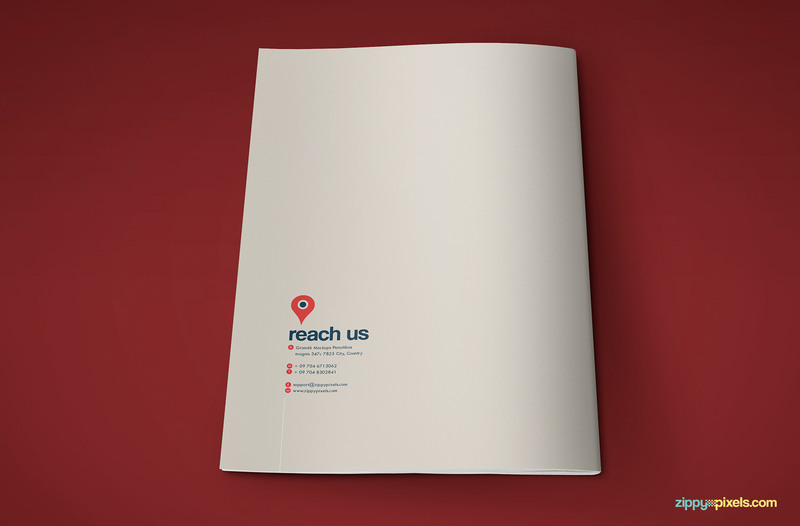 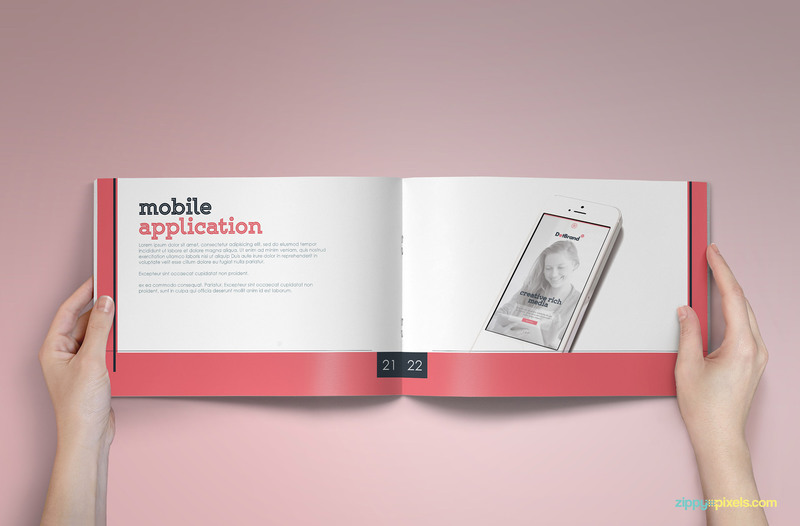 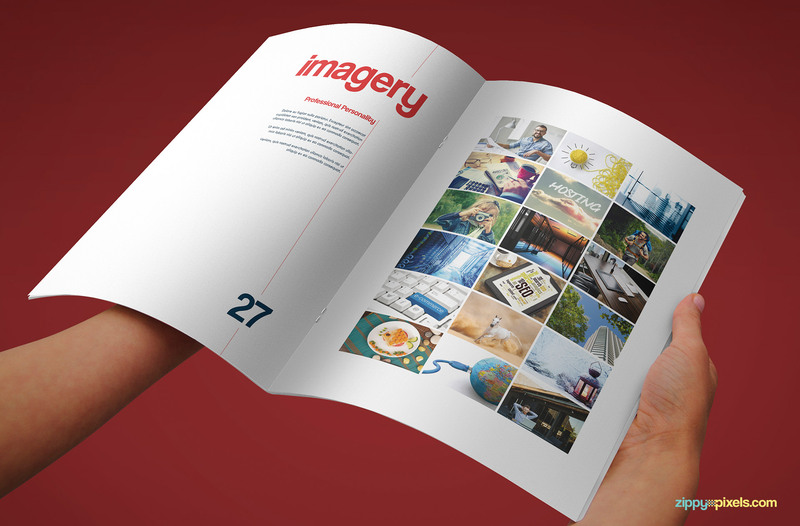 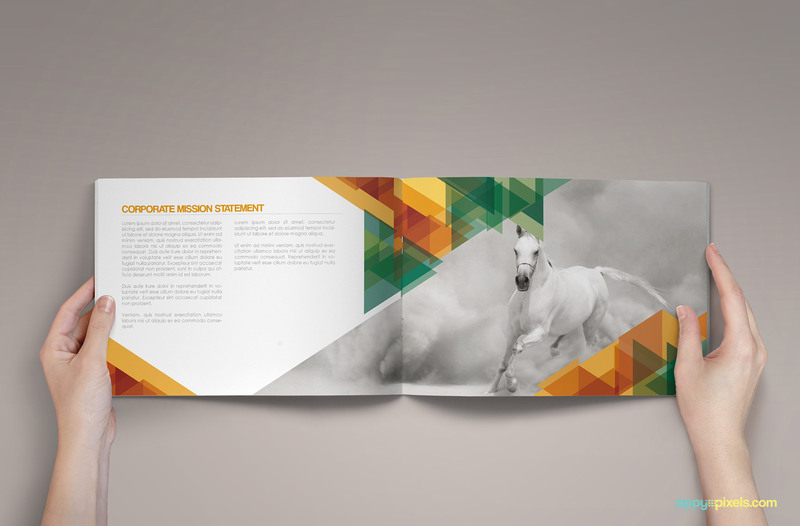 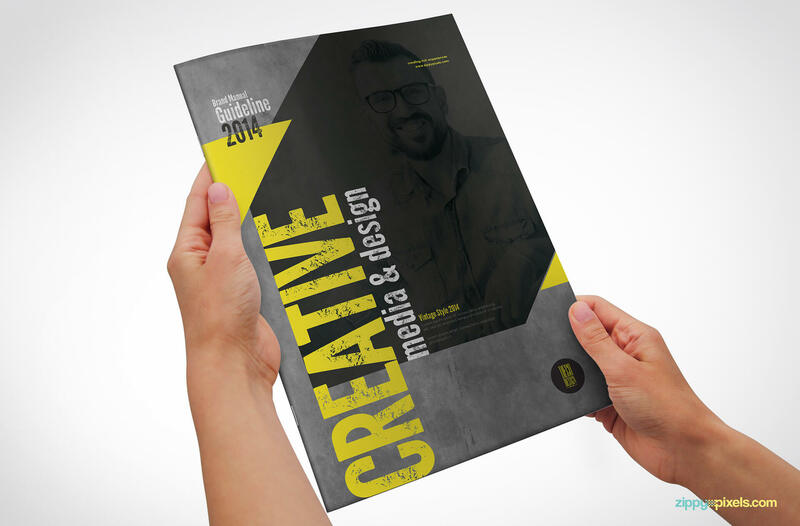 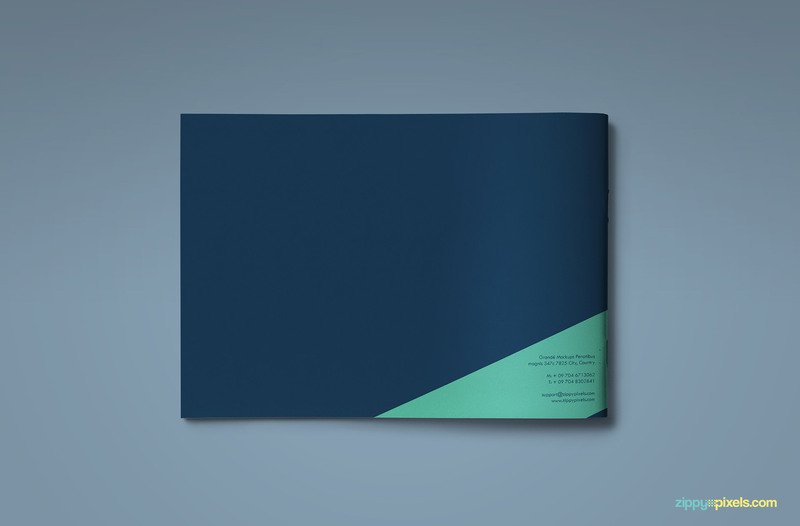 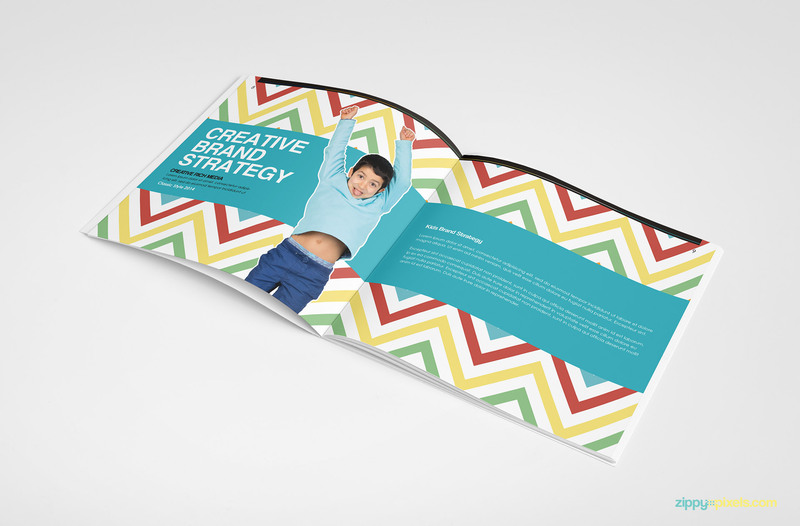 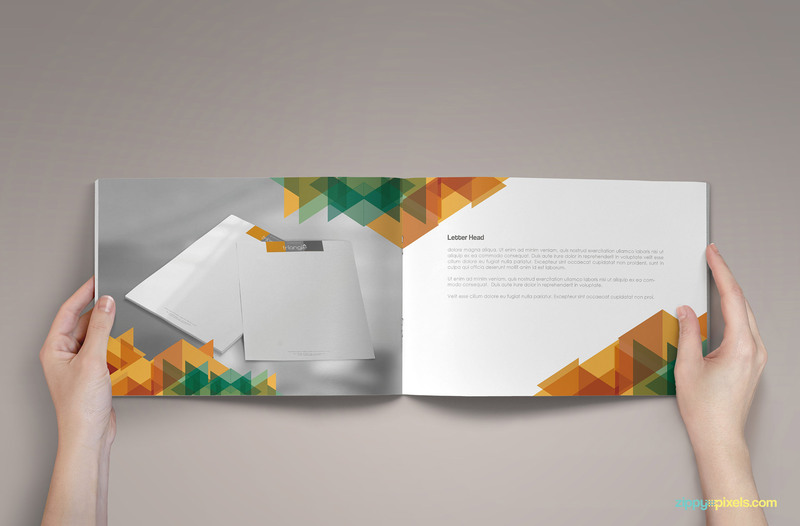 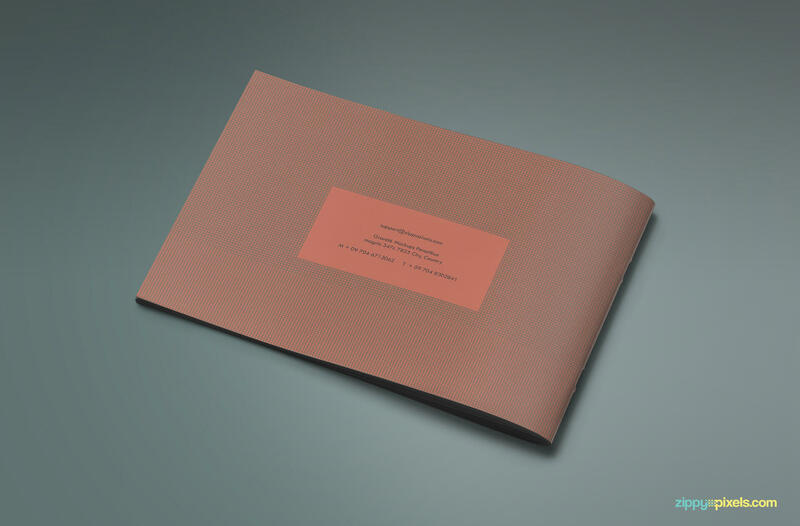 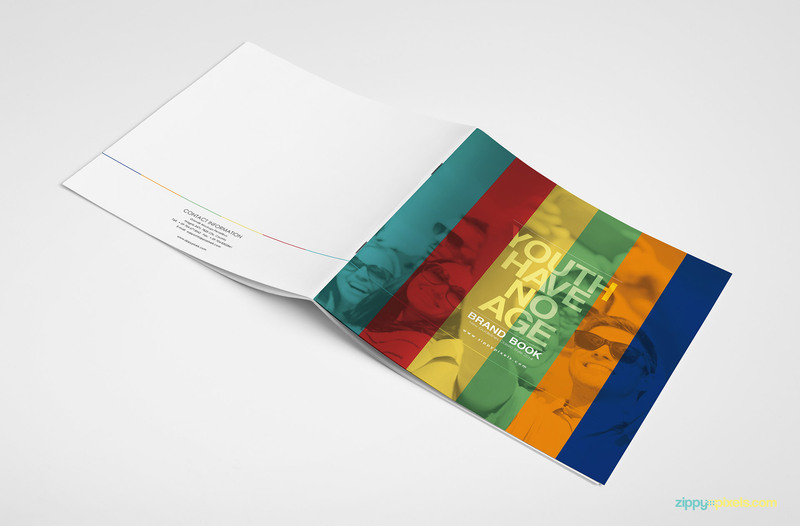 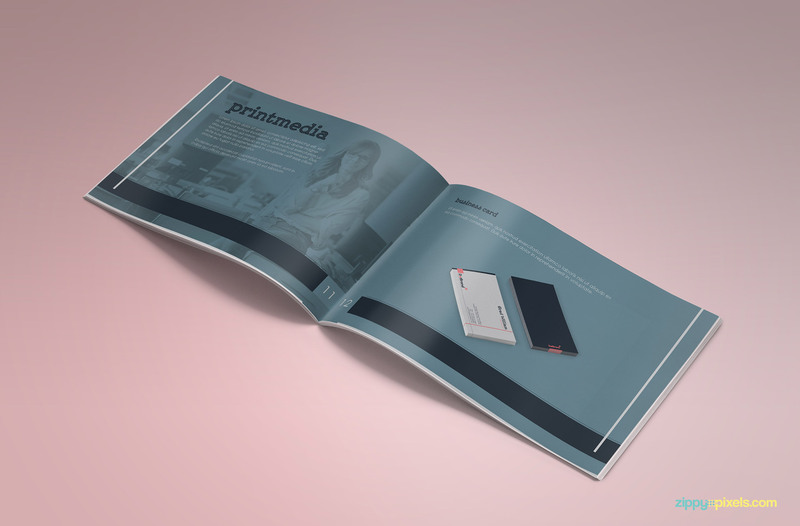 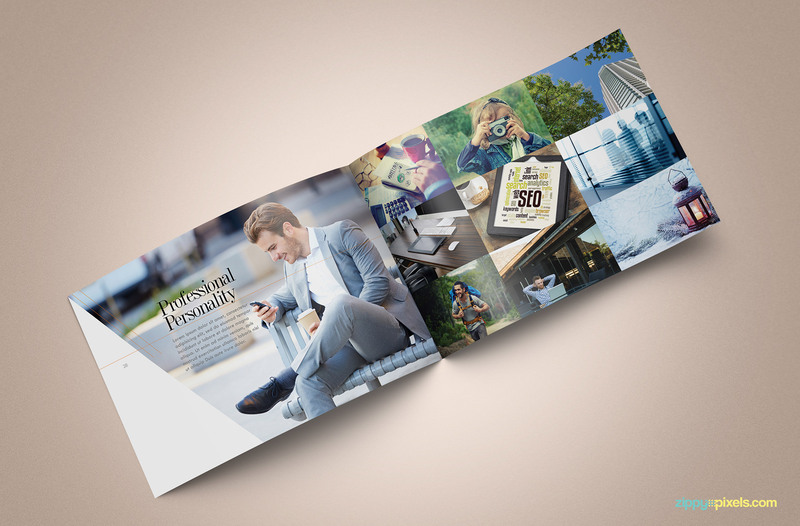 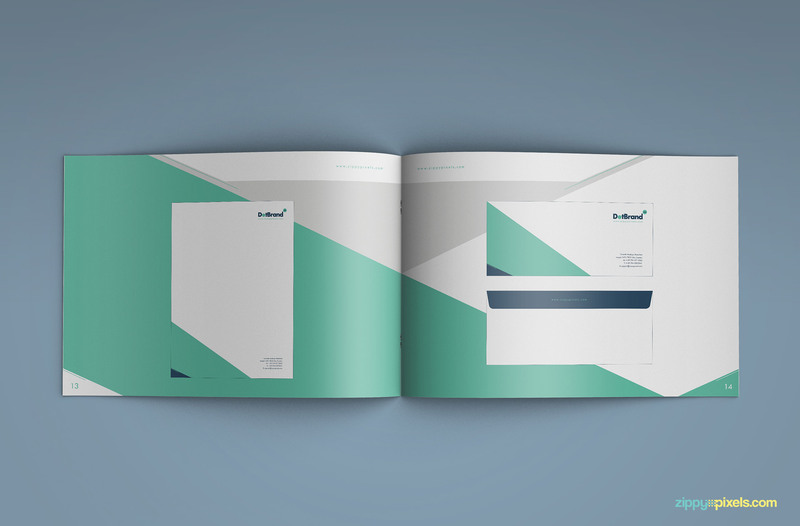 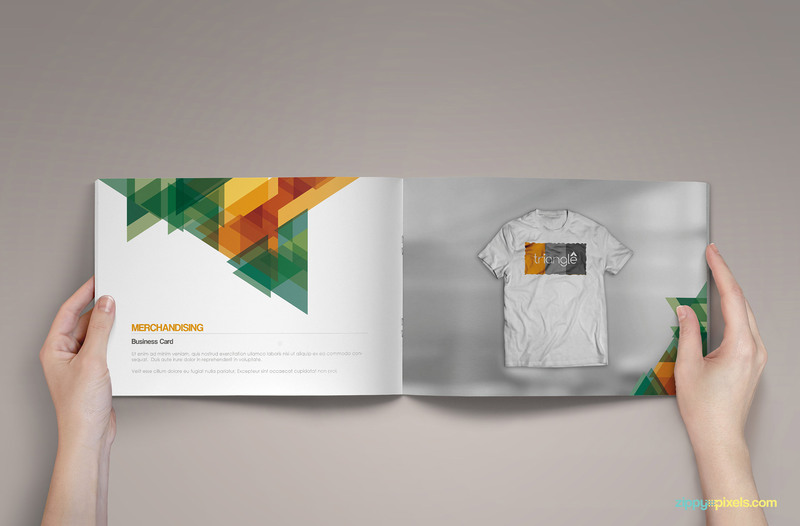 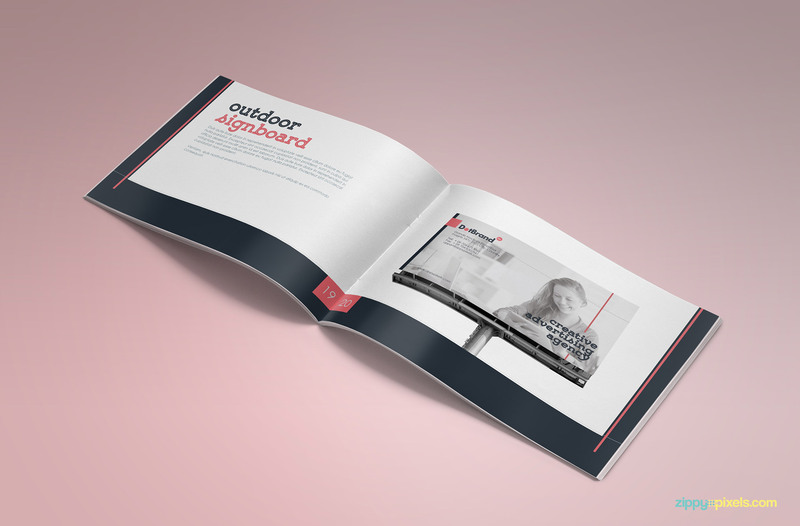 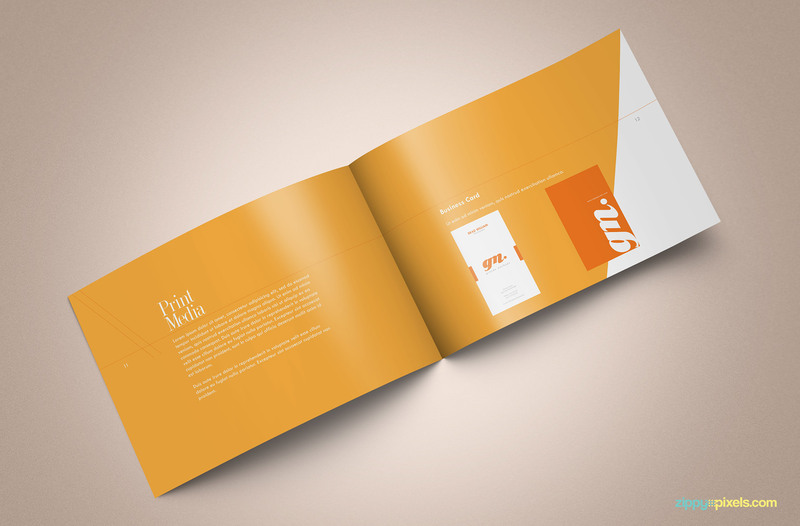 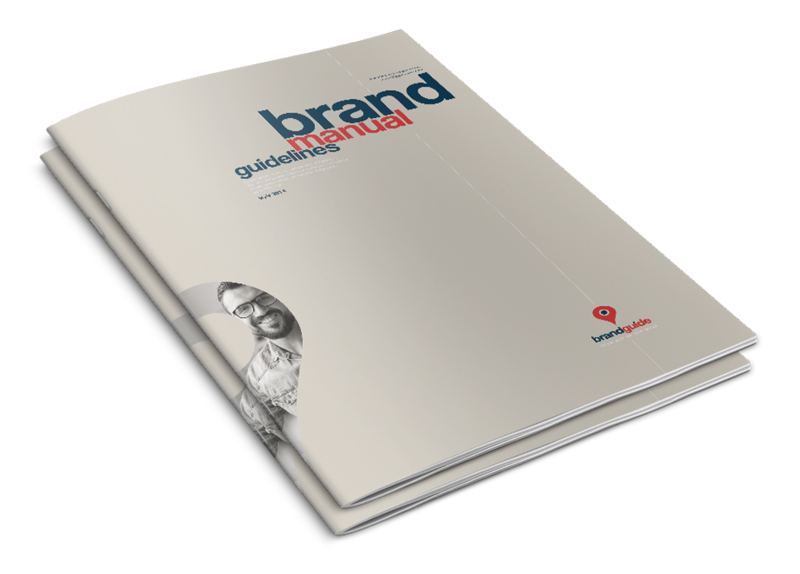 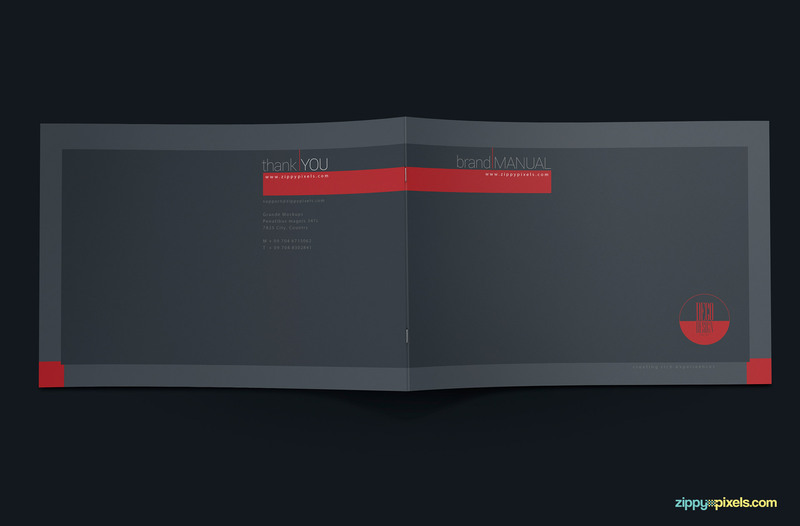 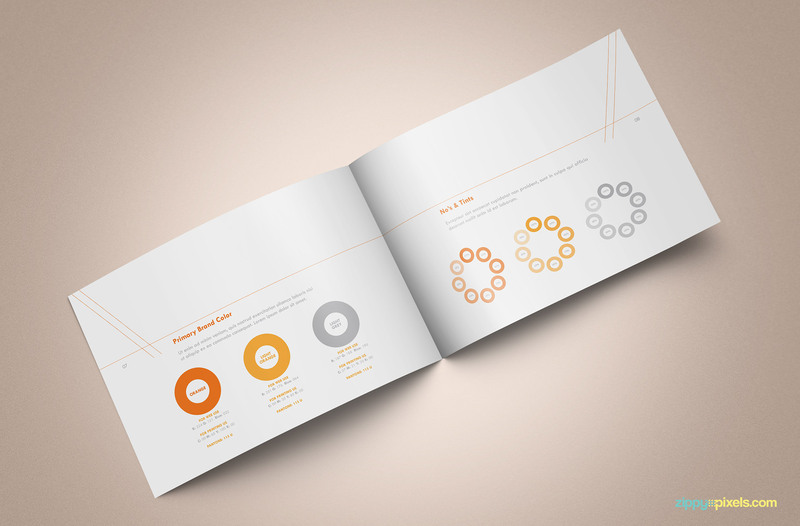 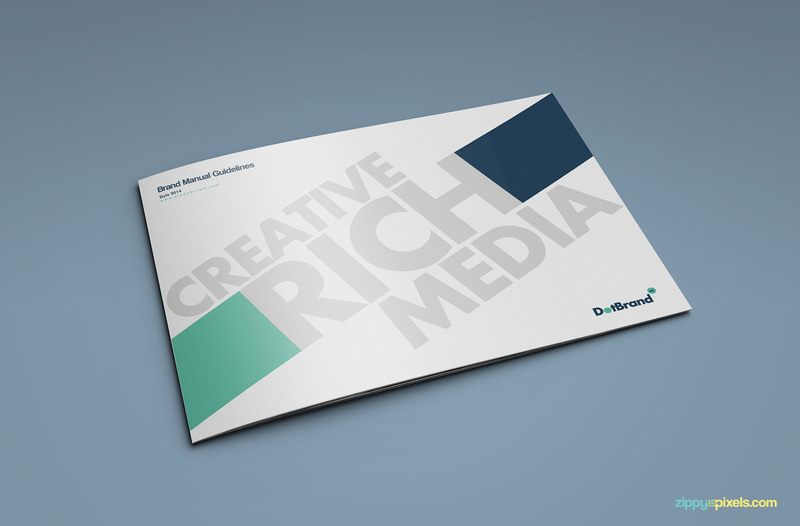 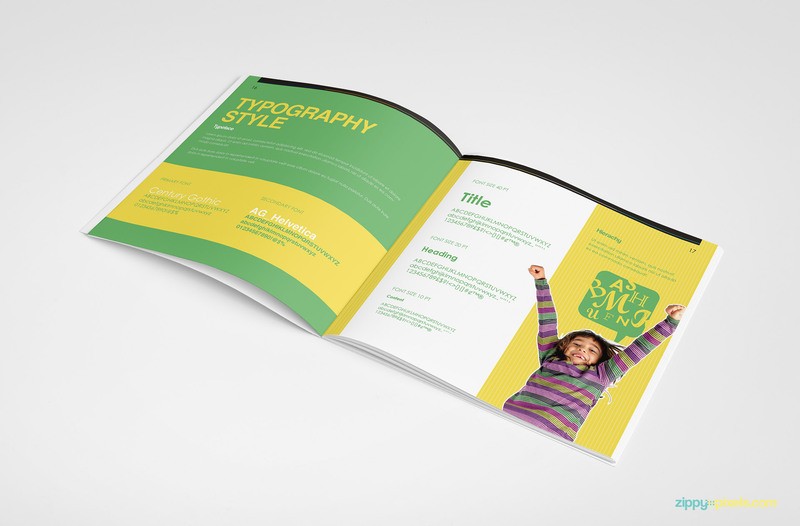 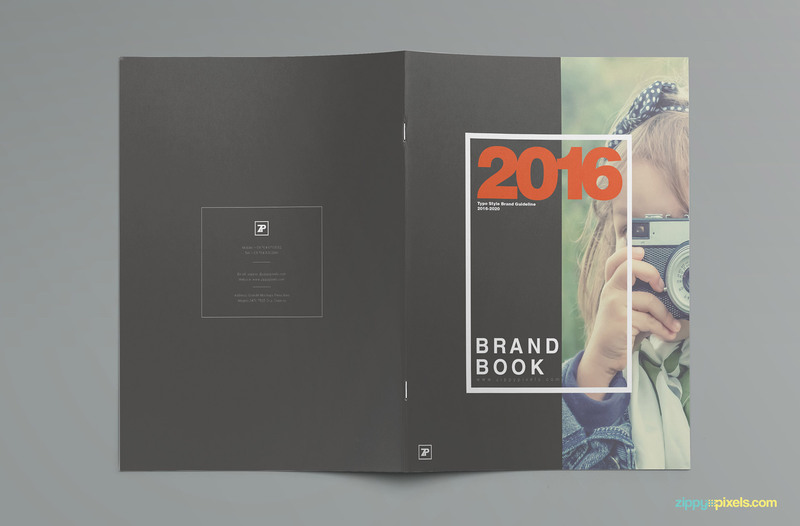 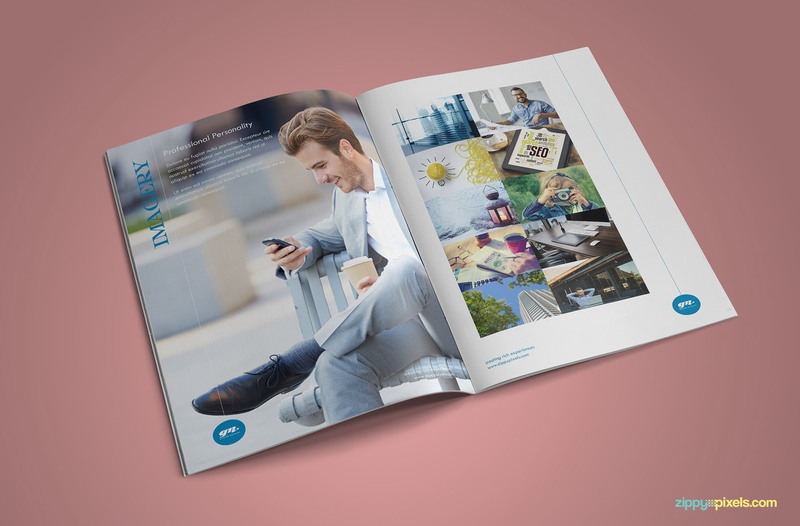 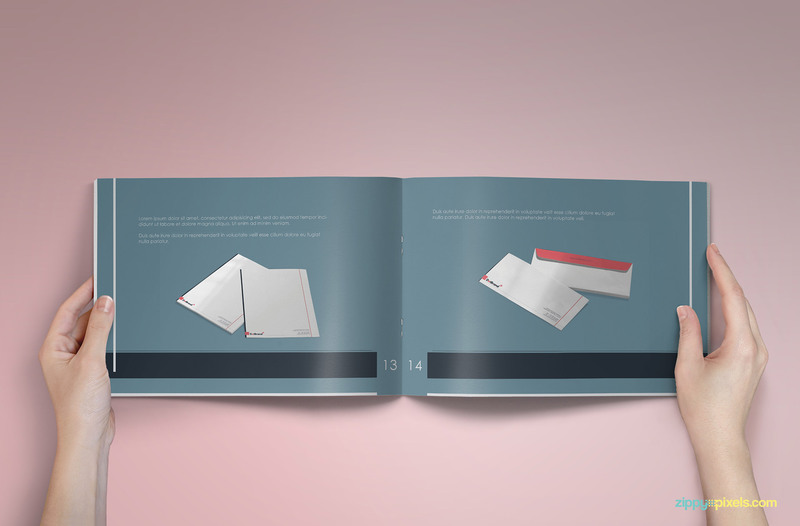 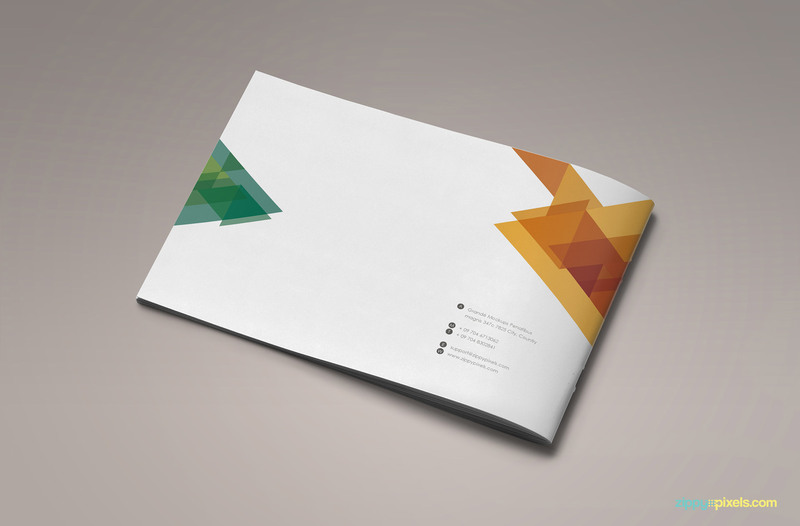 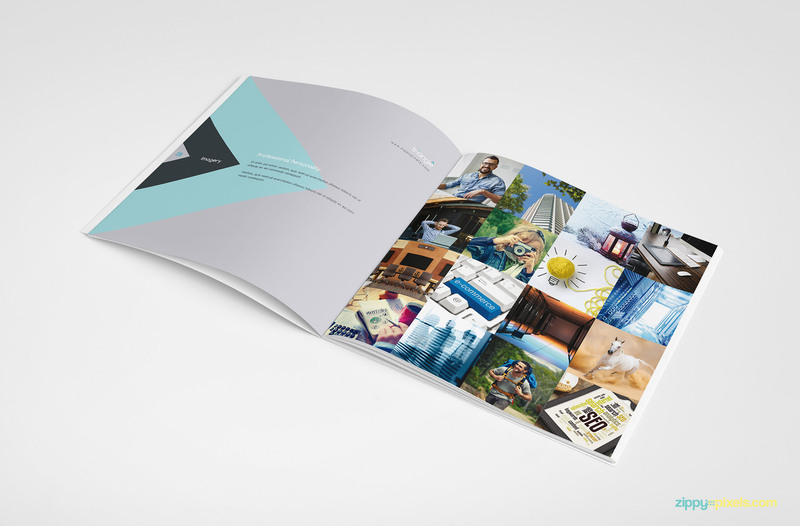 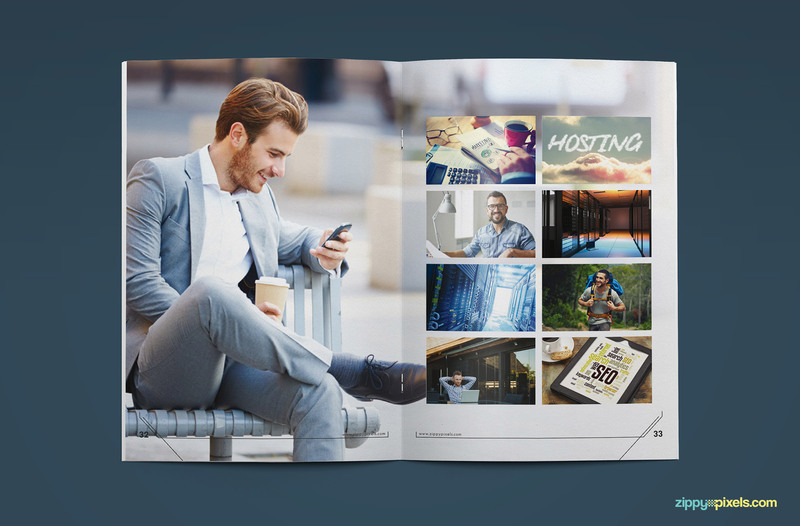 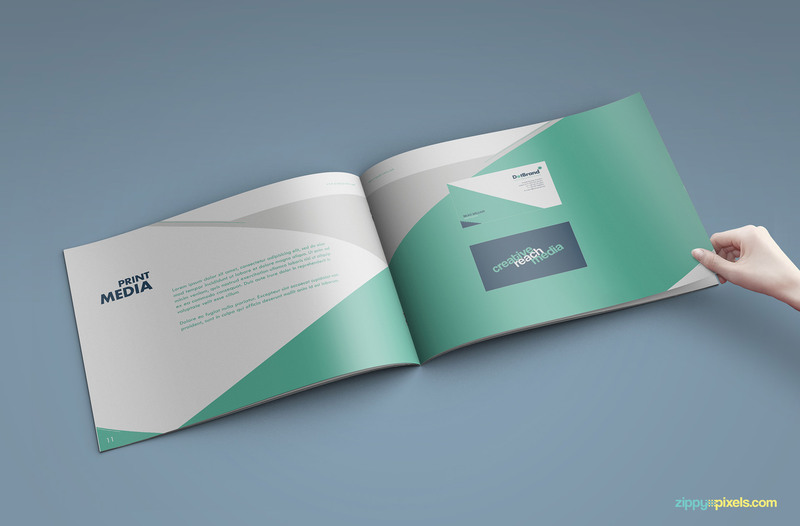 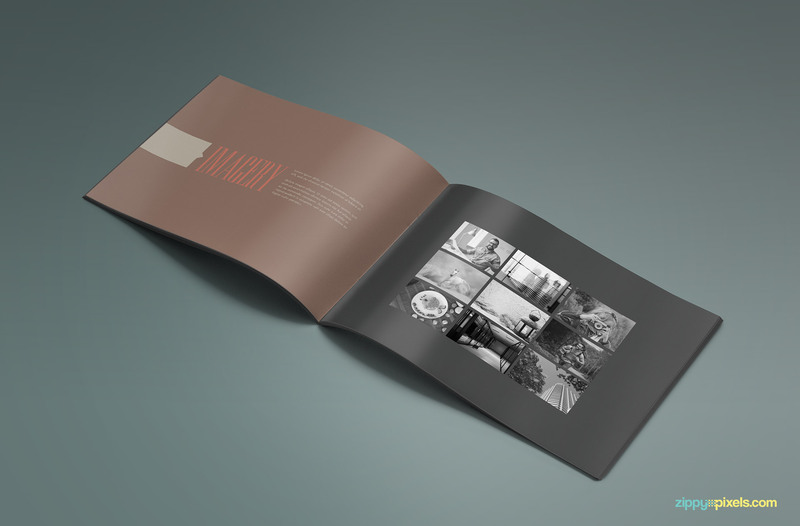 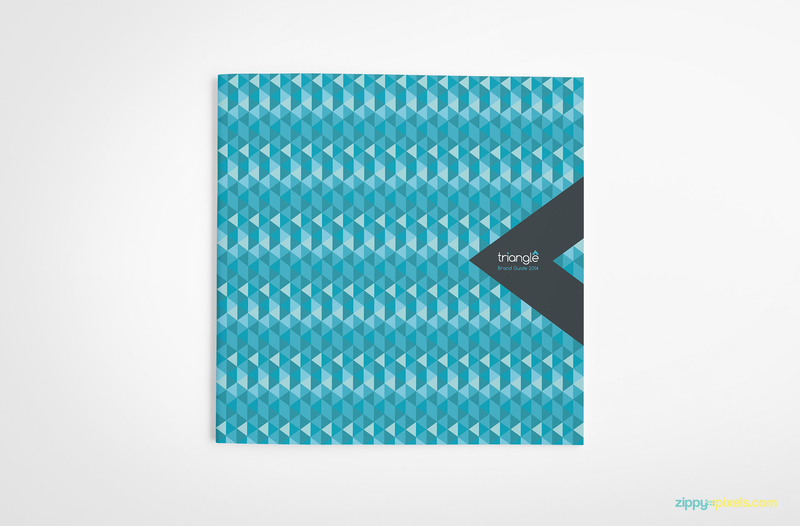 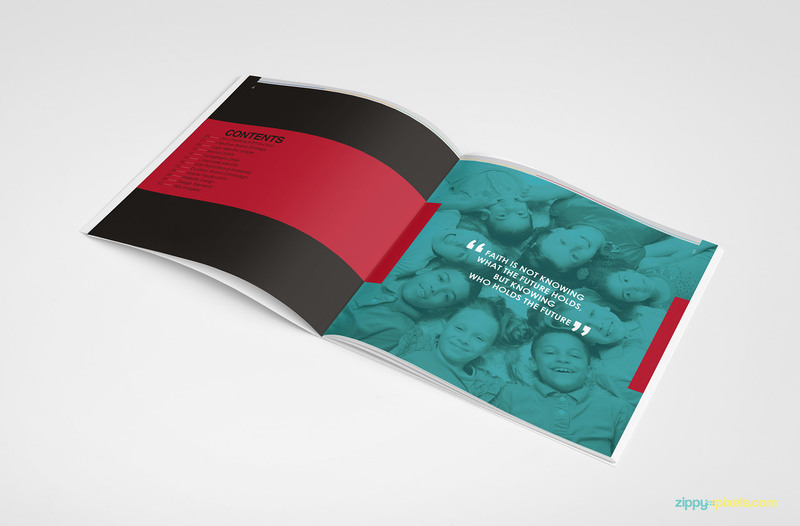 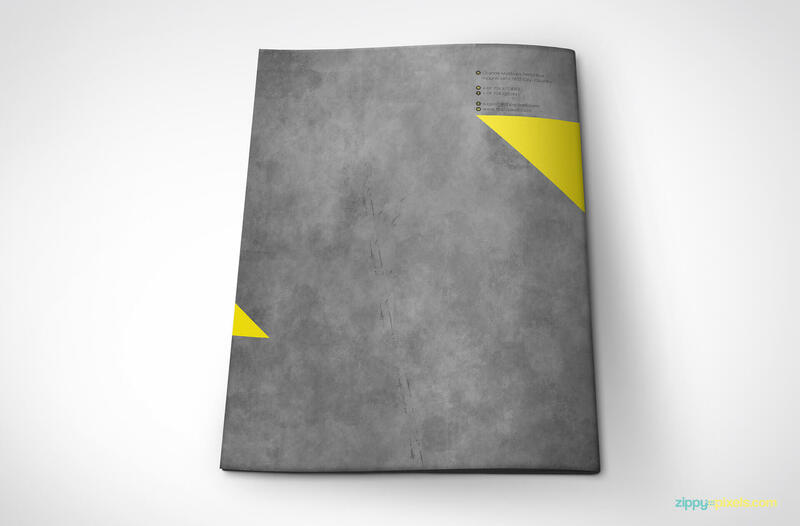 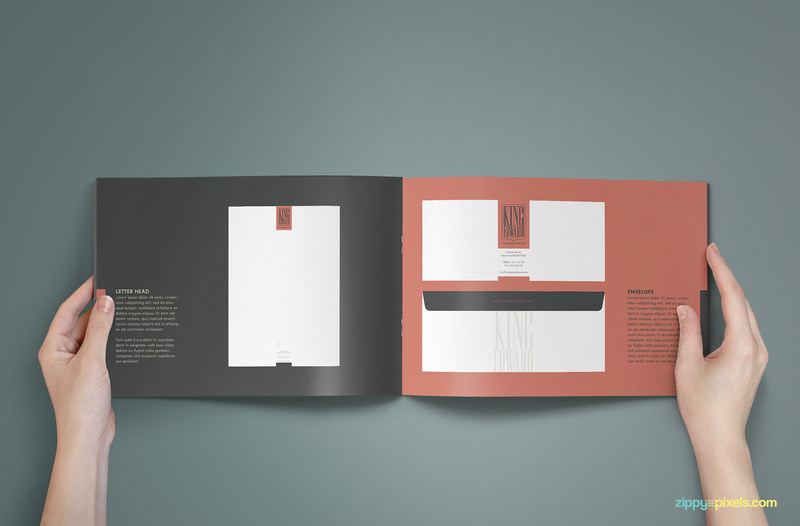 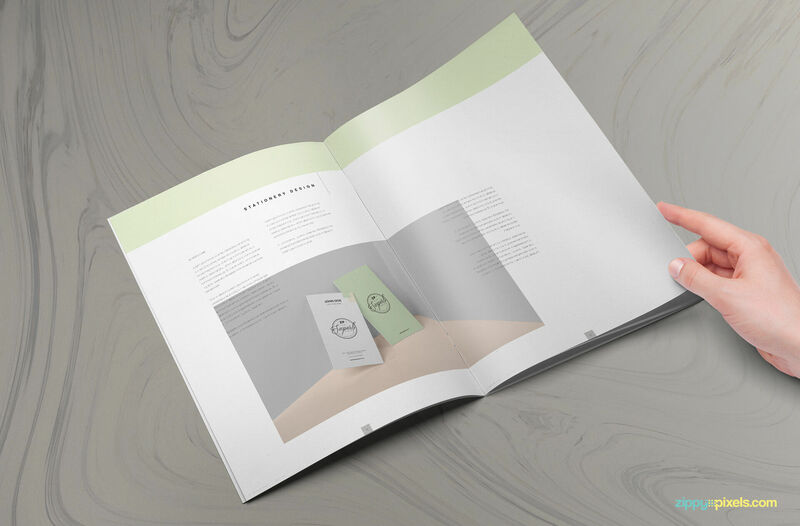 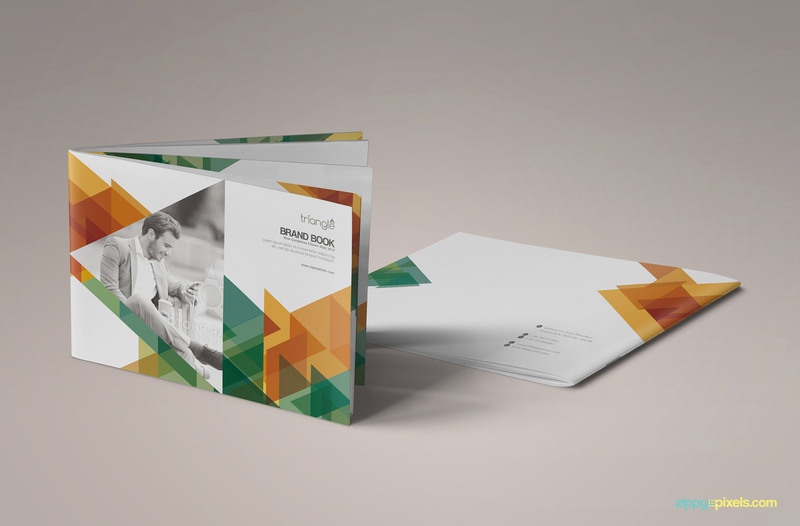 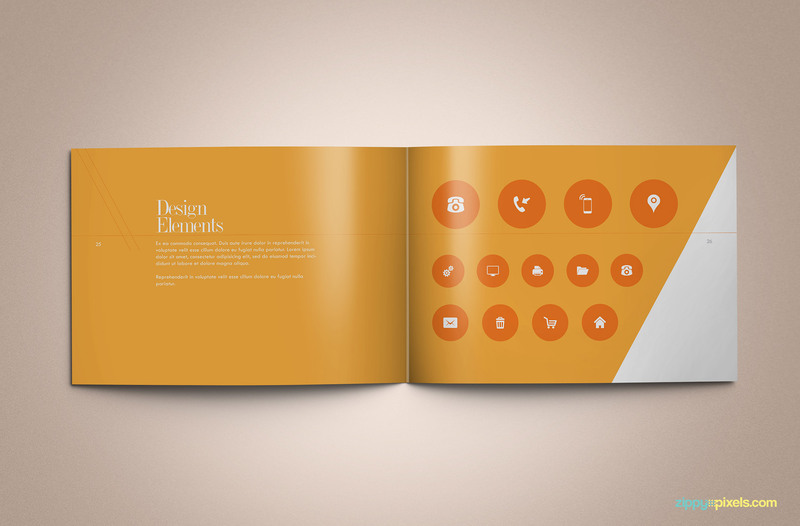 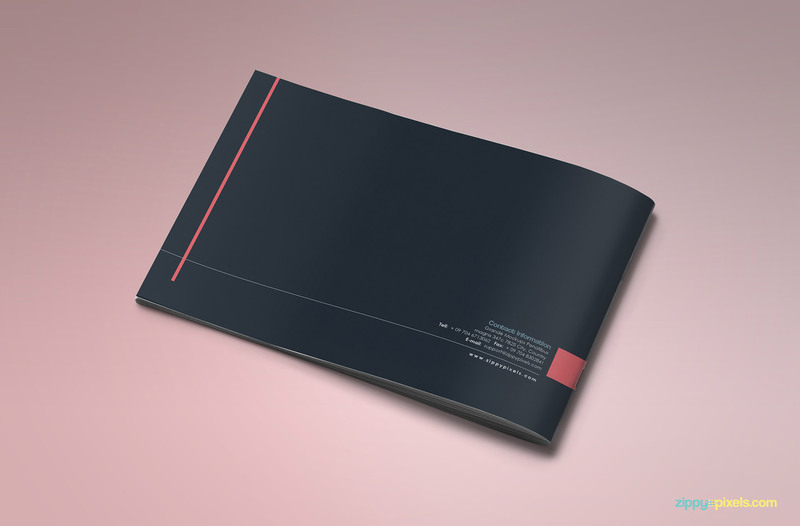 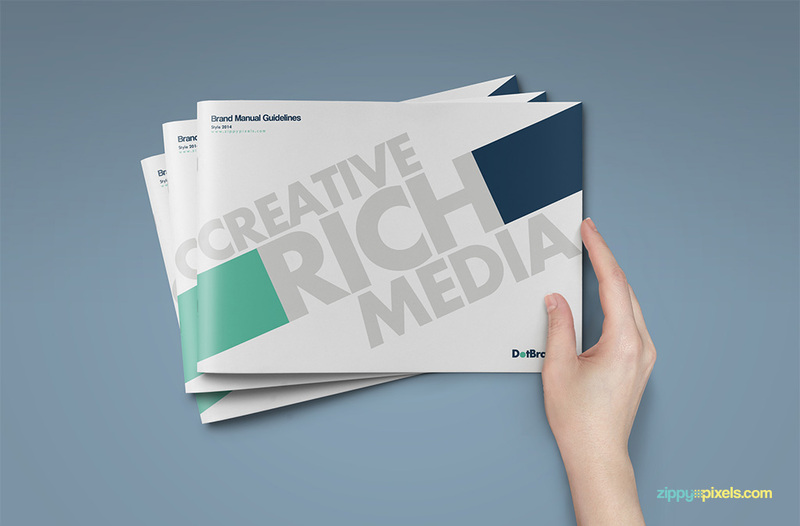 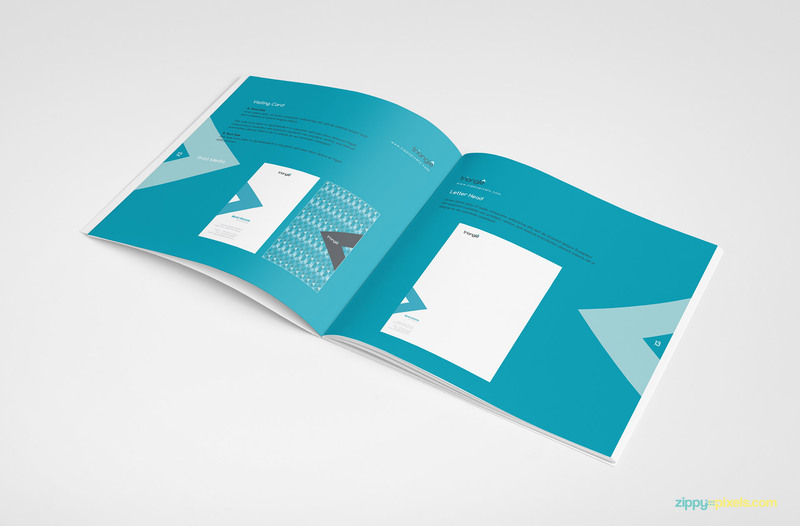 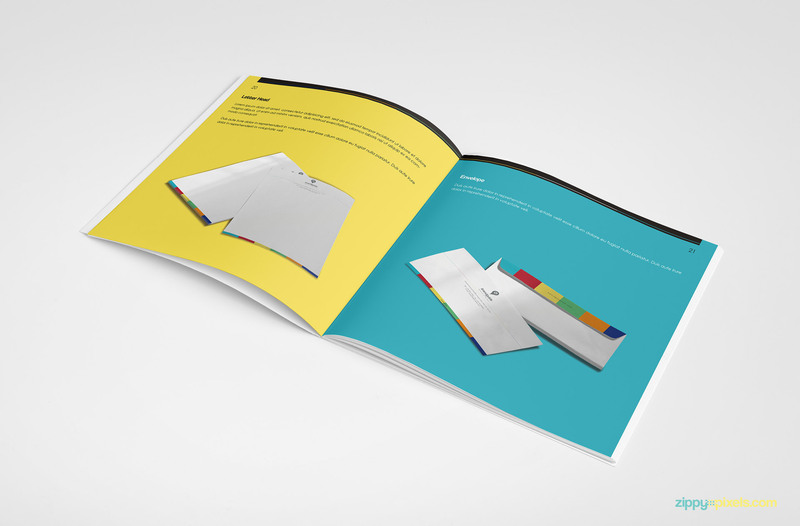 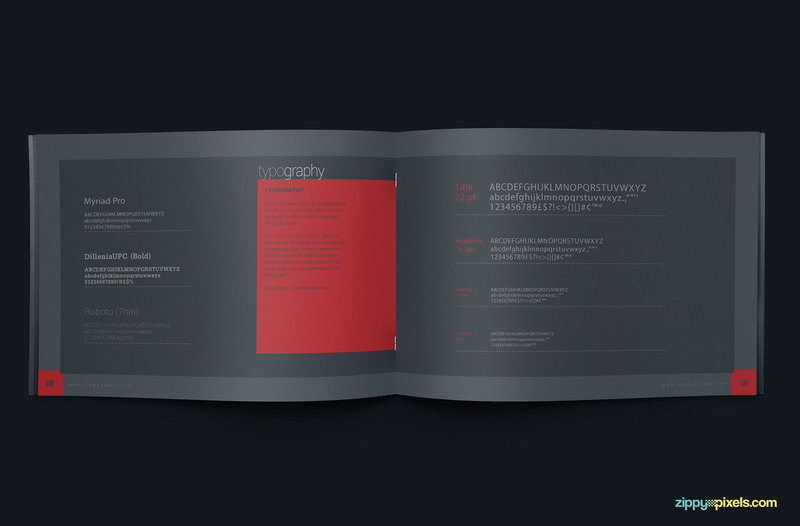 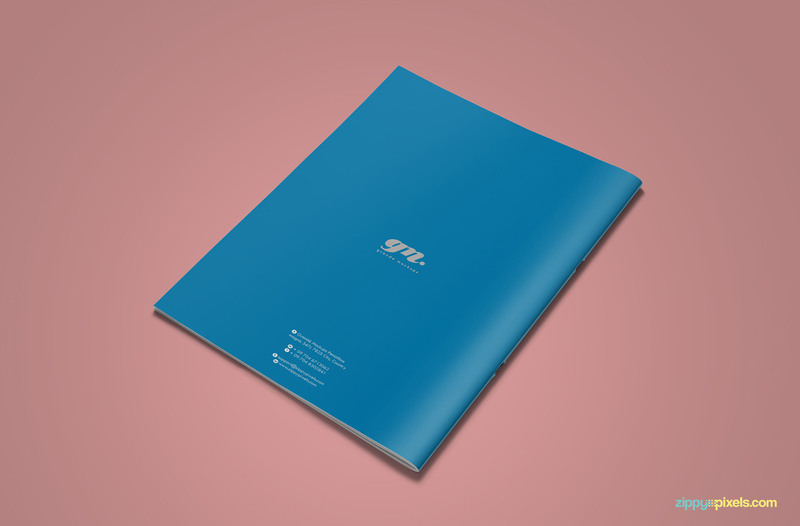 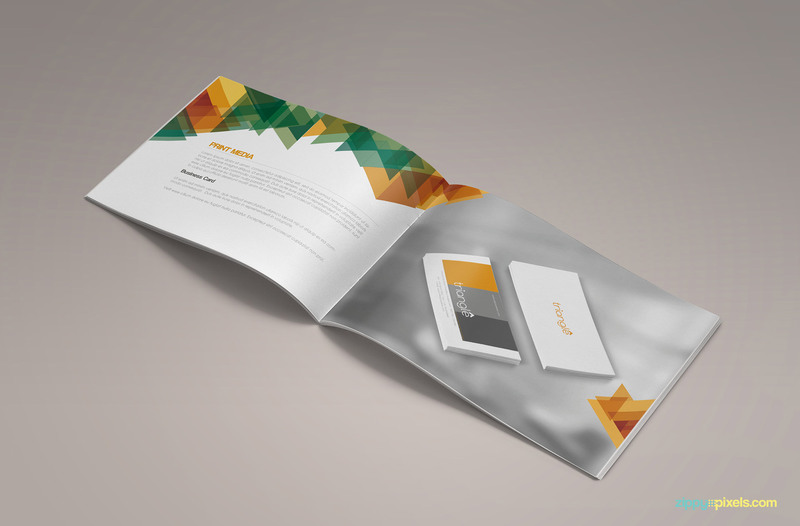 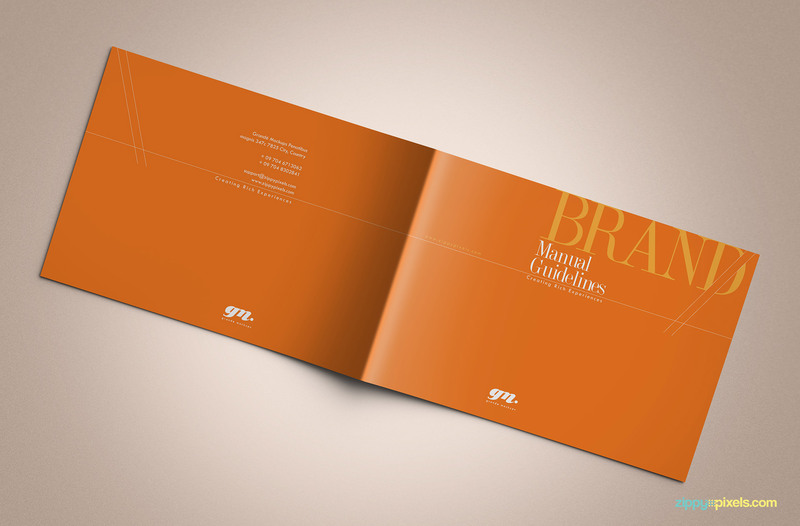 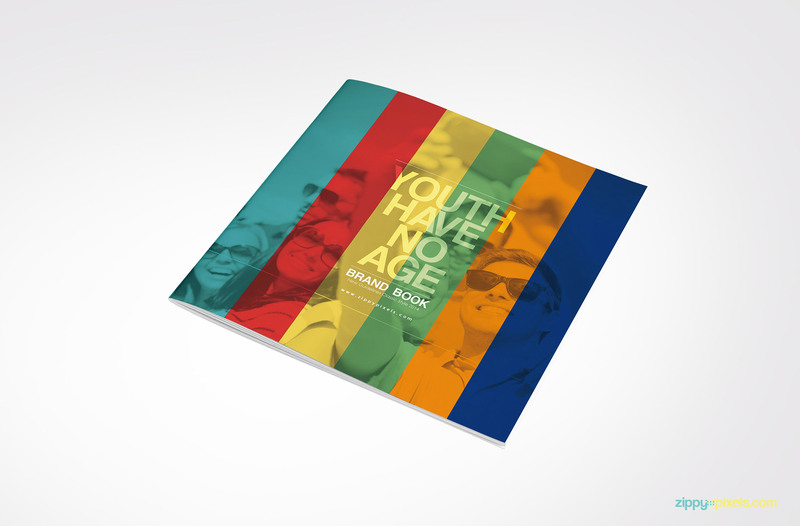 Horizontal A4 print ready brand book with minimalistic design and colors. 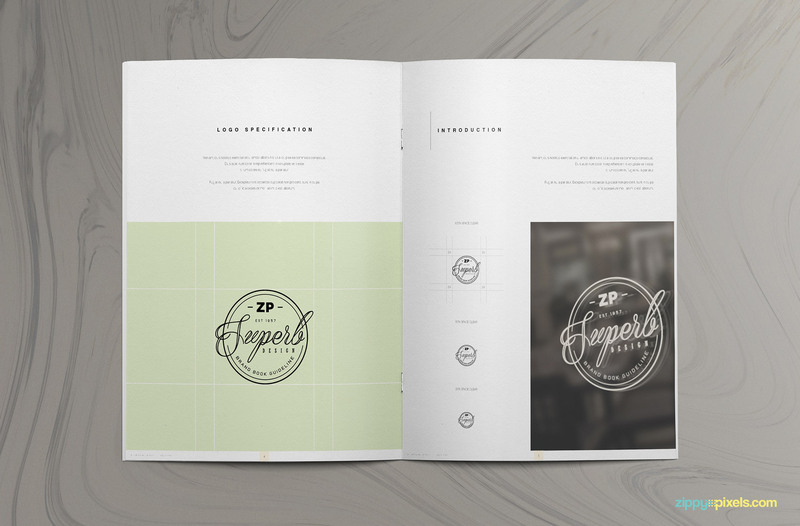 Show your logo design guidelines for various environments and objects. 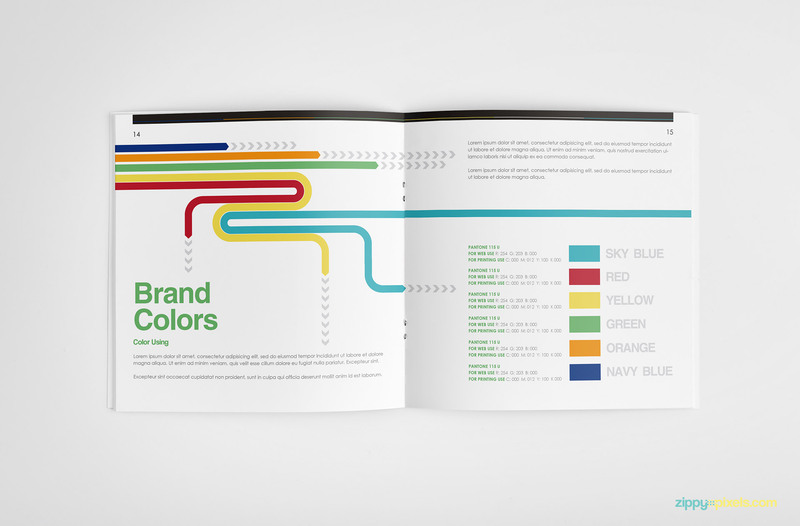 Colors & text styles of the whole book template can be changed instantly. 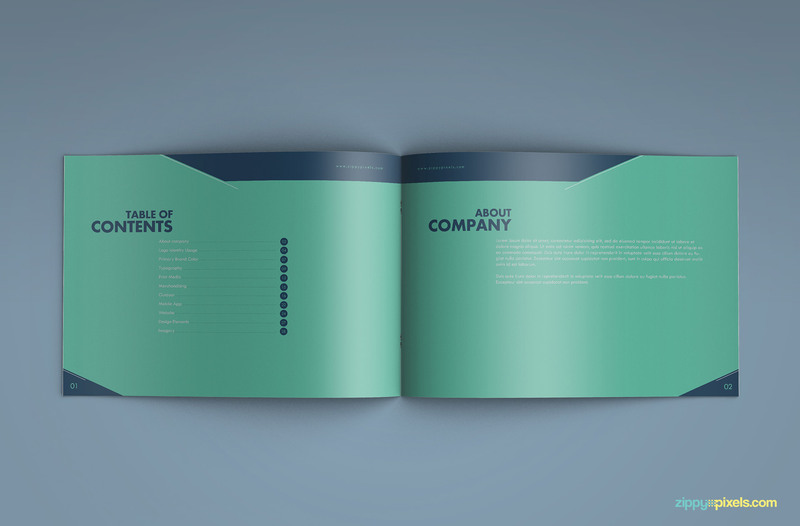 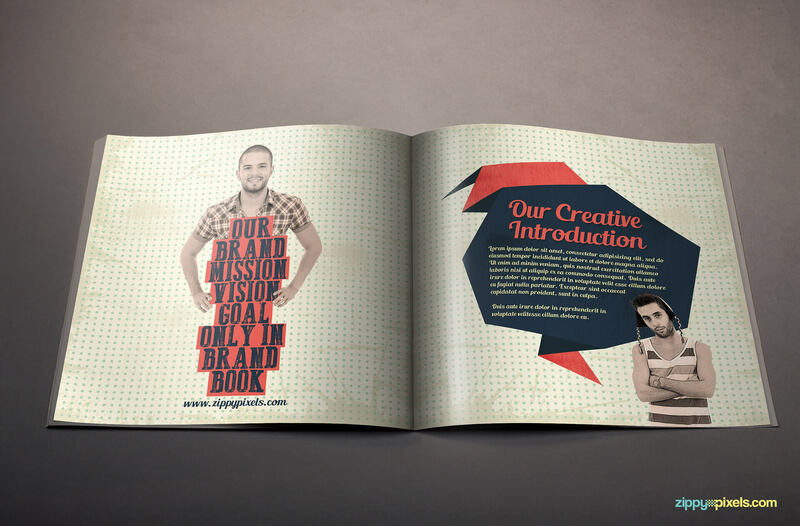 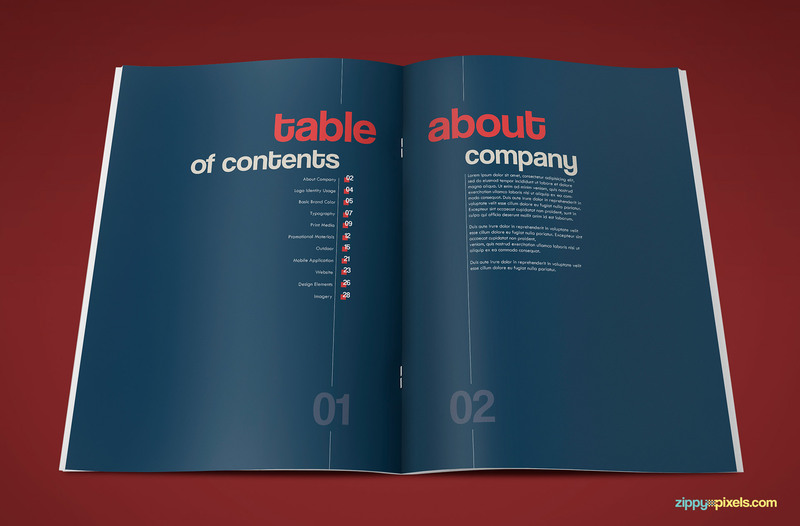 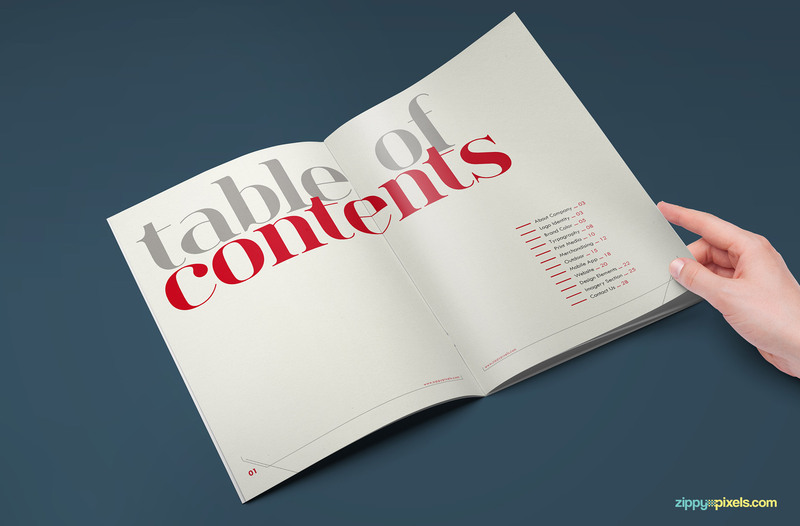 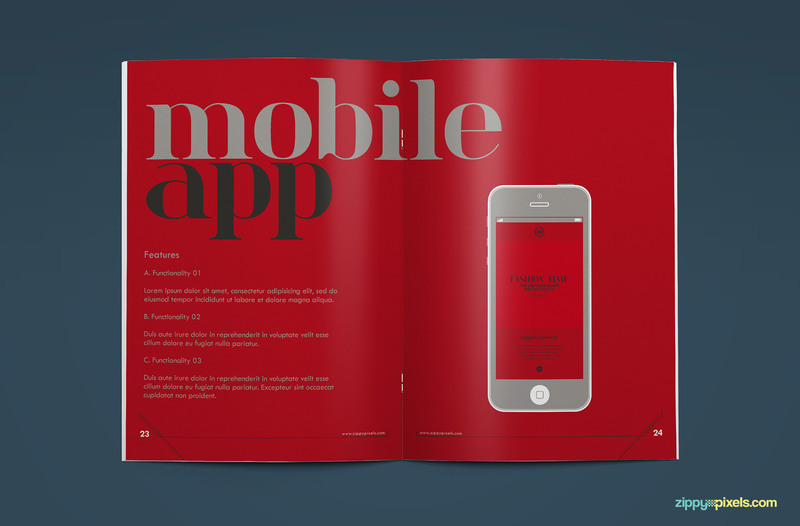 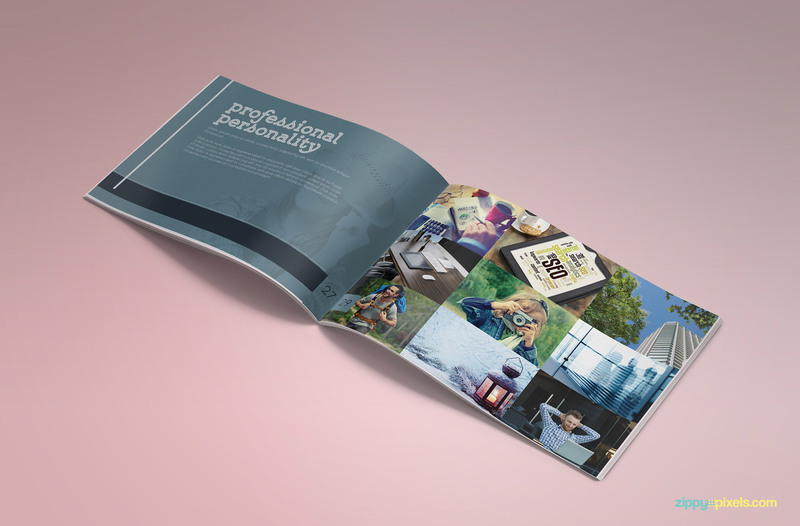 Another professionally designed brand book template, suitable for agencies and designers alike. 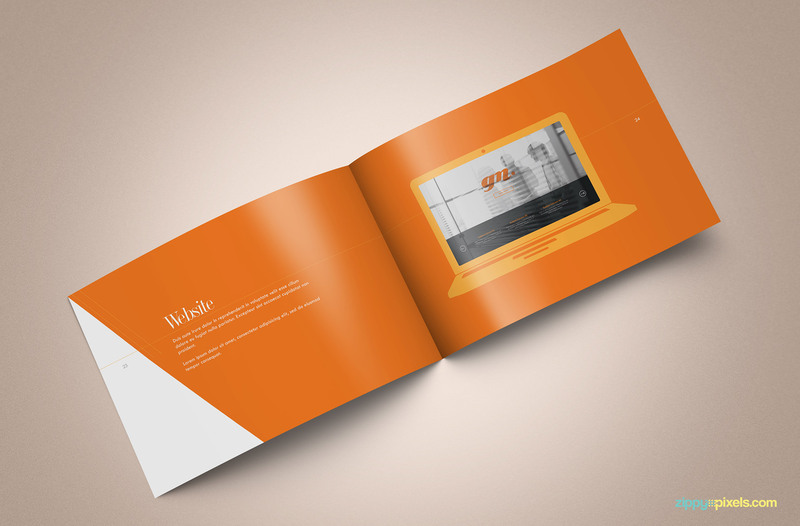 Present your designs in quick and efficient manner. 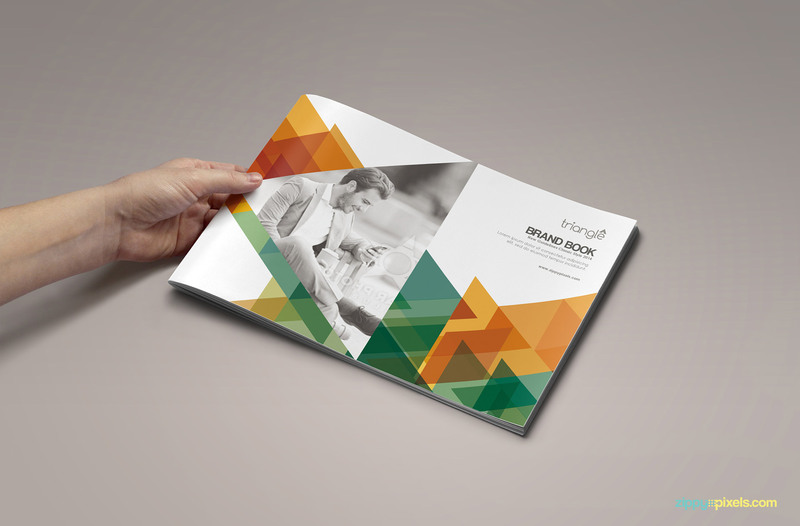 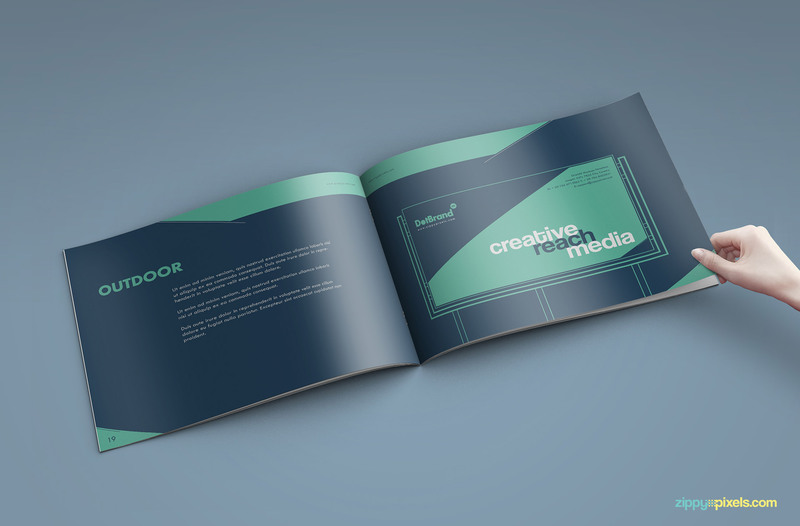 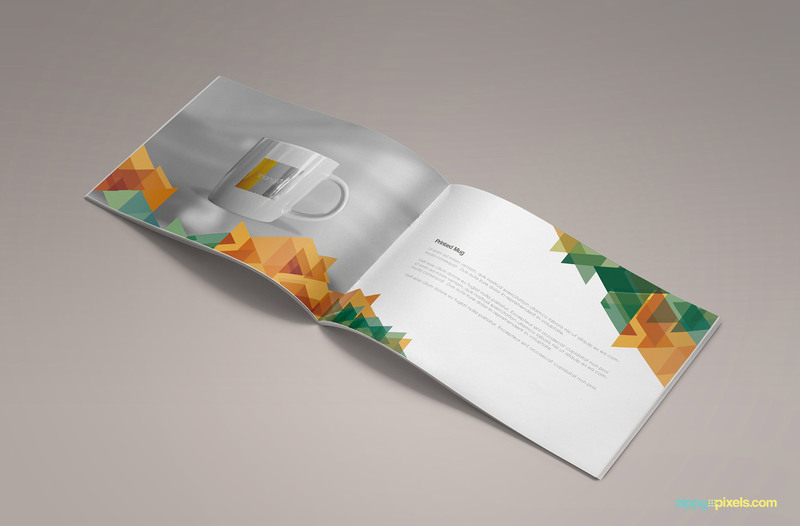 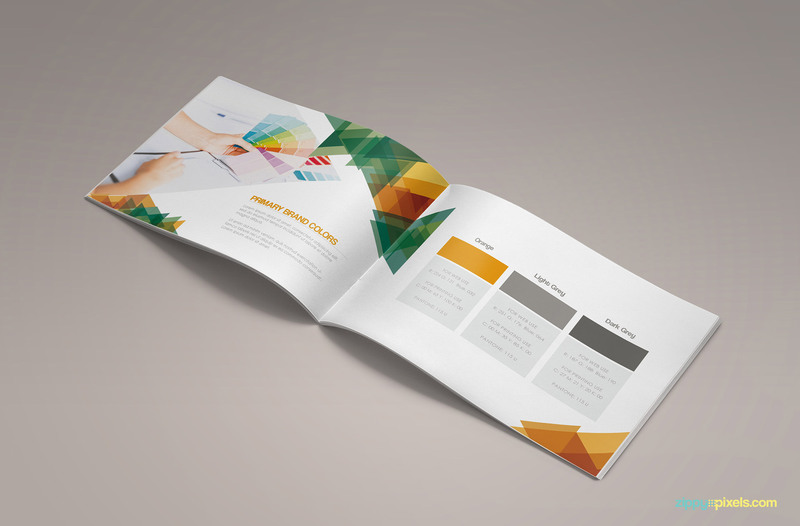 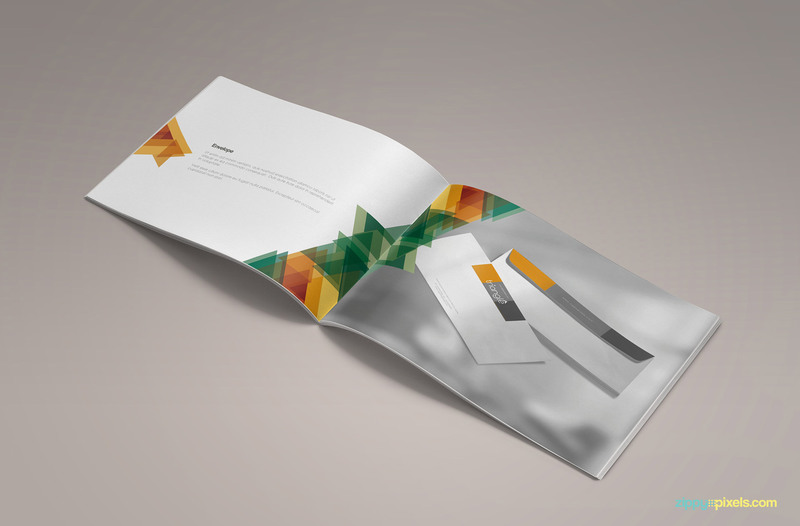 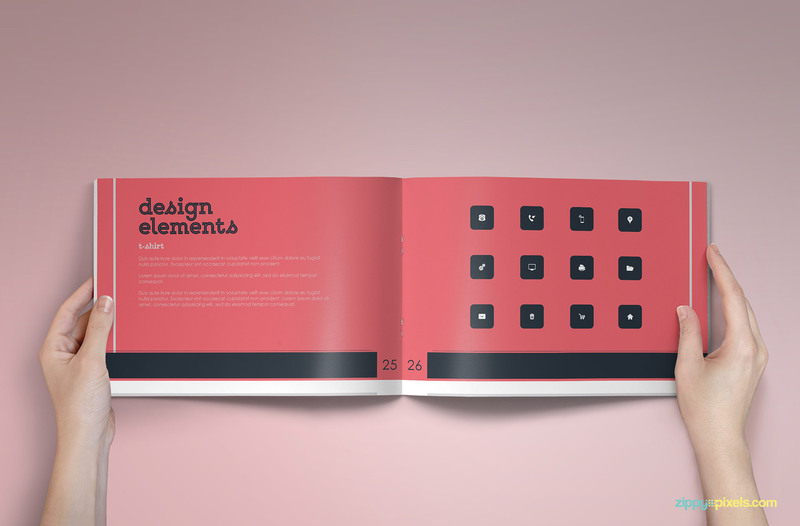 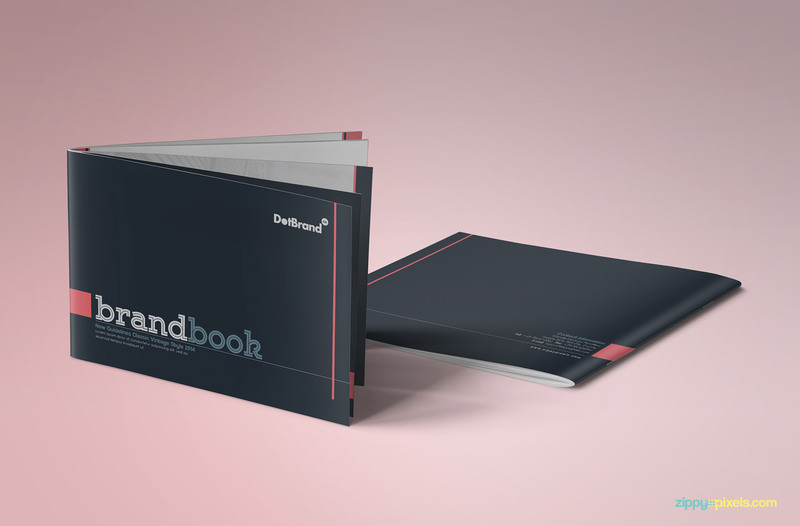 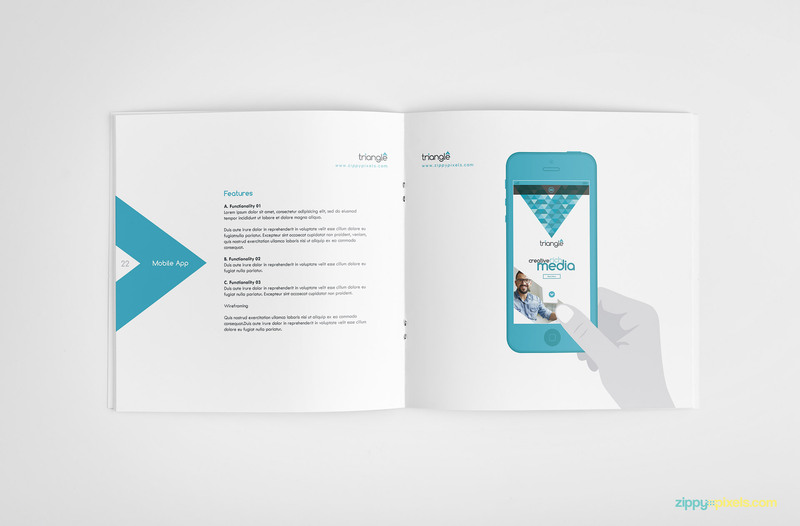 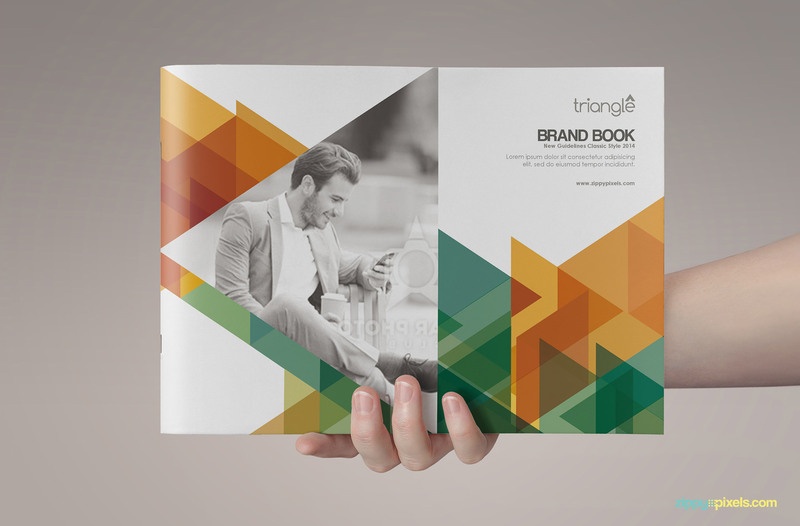 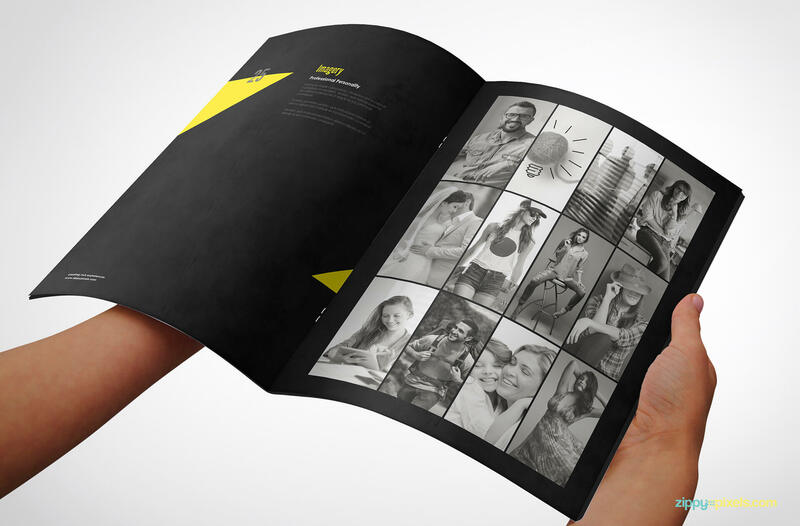 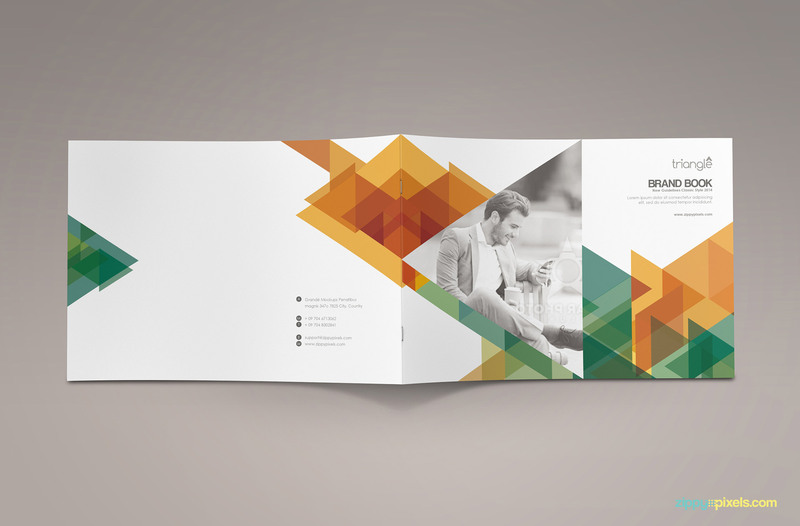 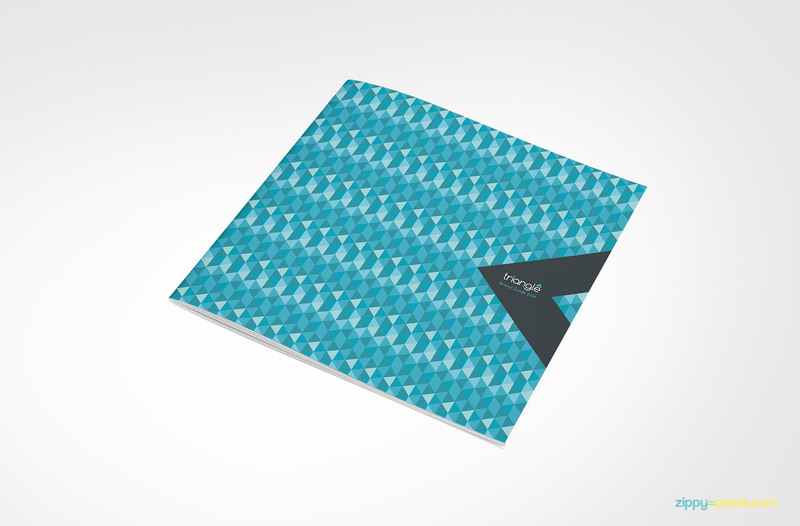 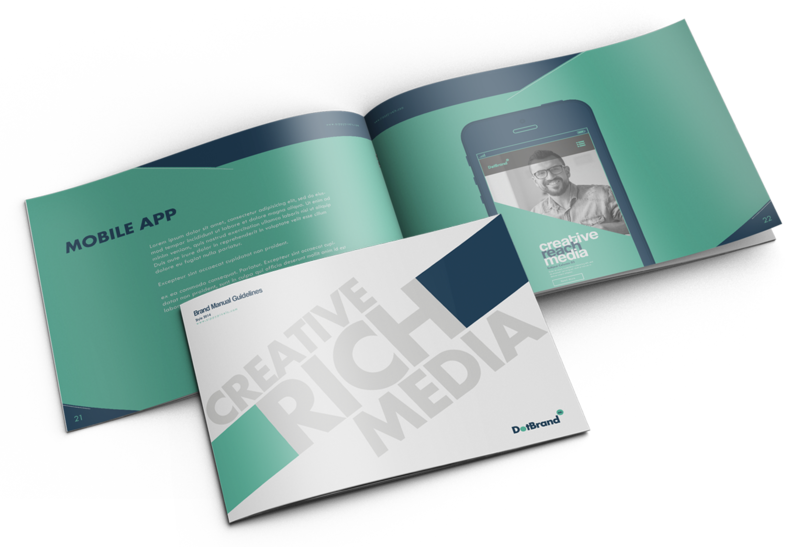 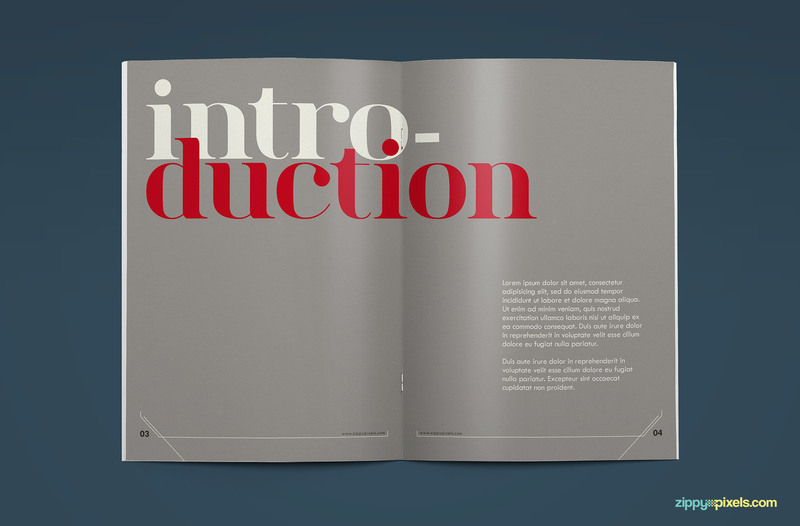 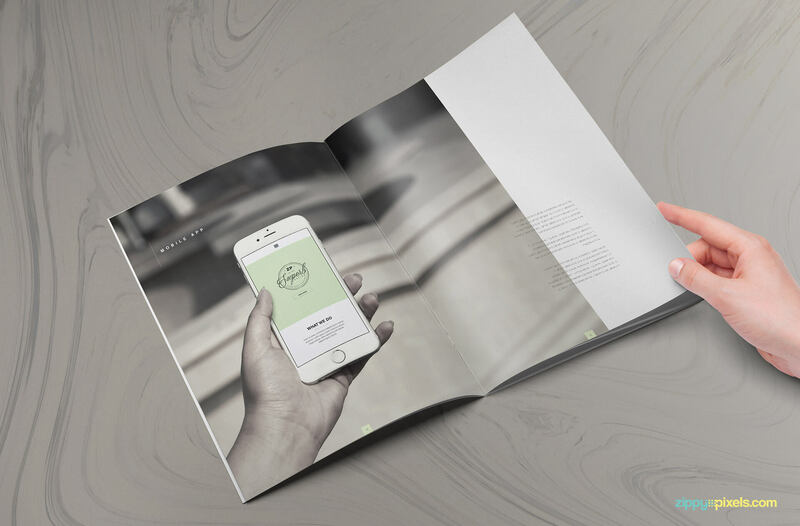 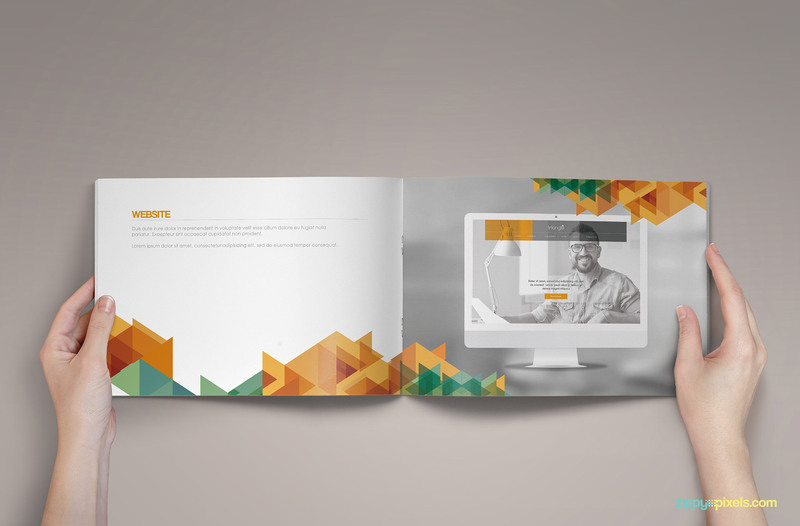 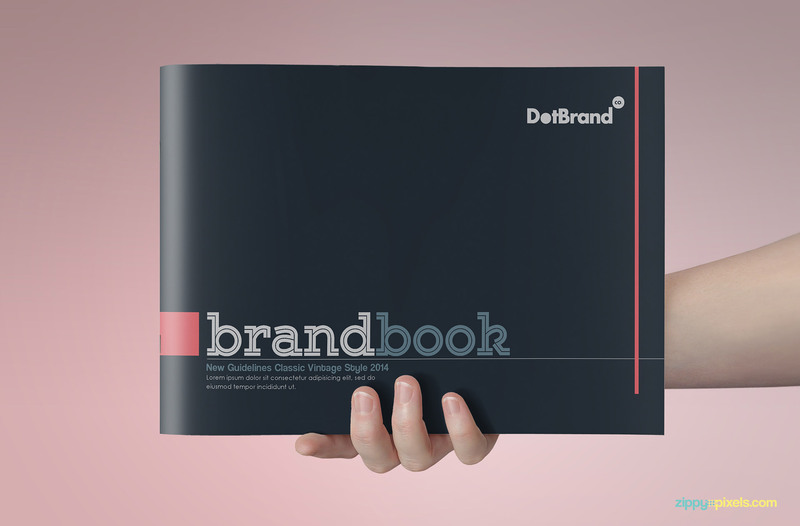 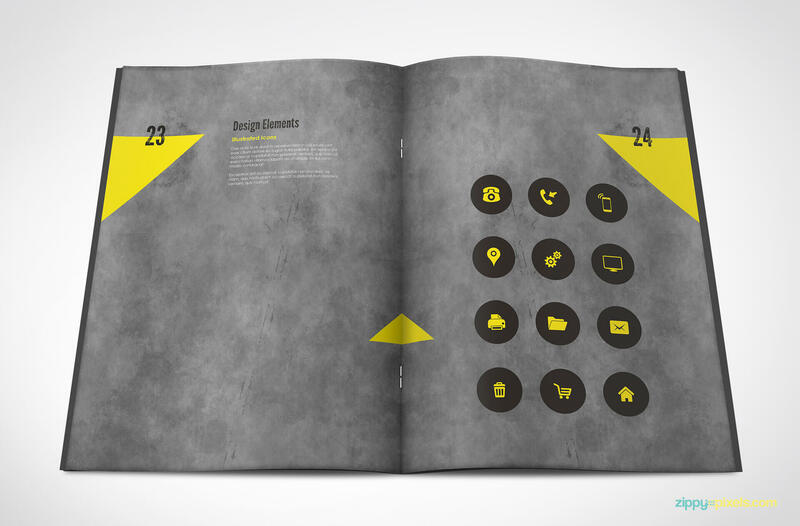 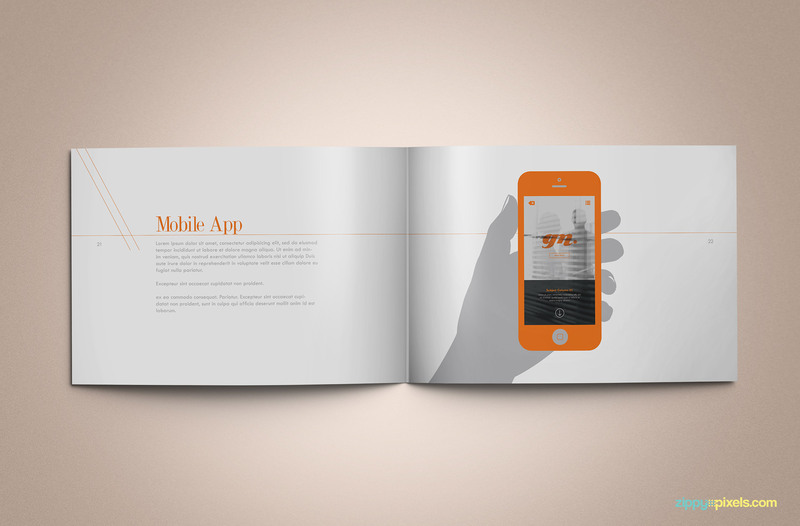 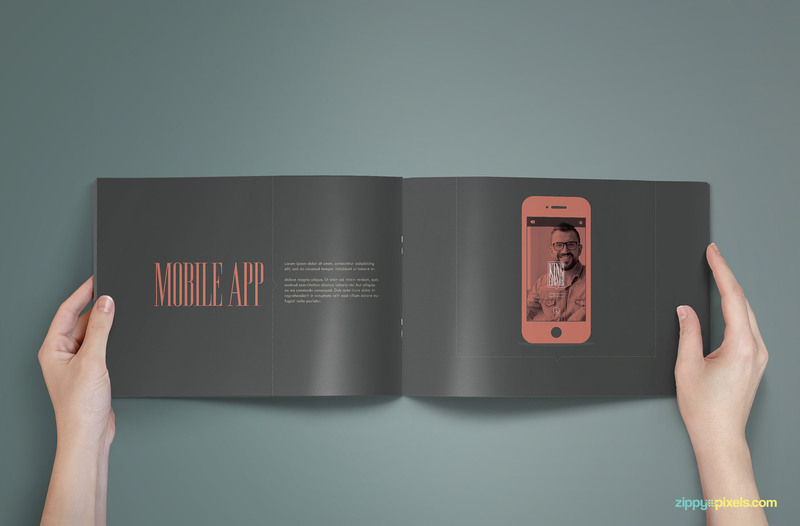 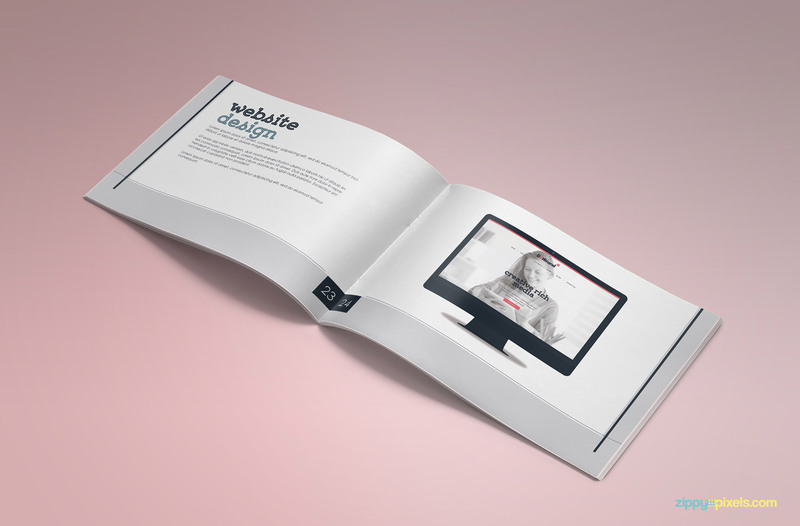 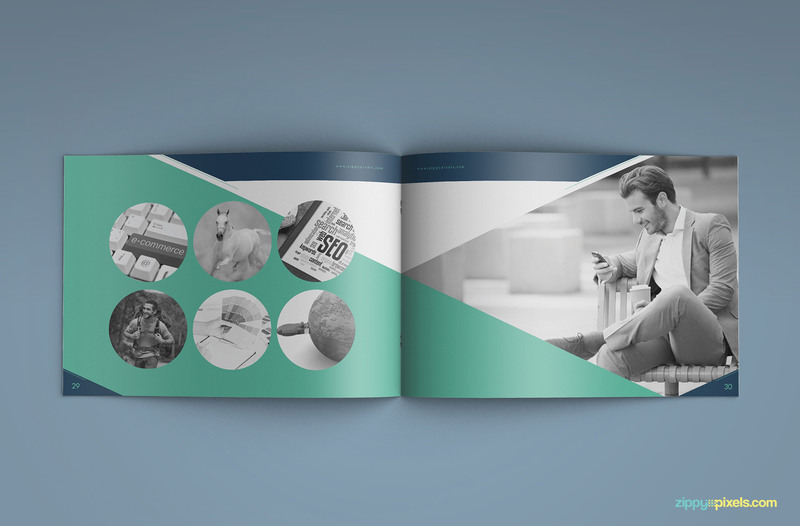 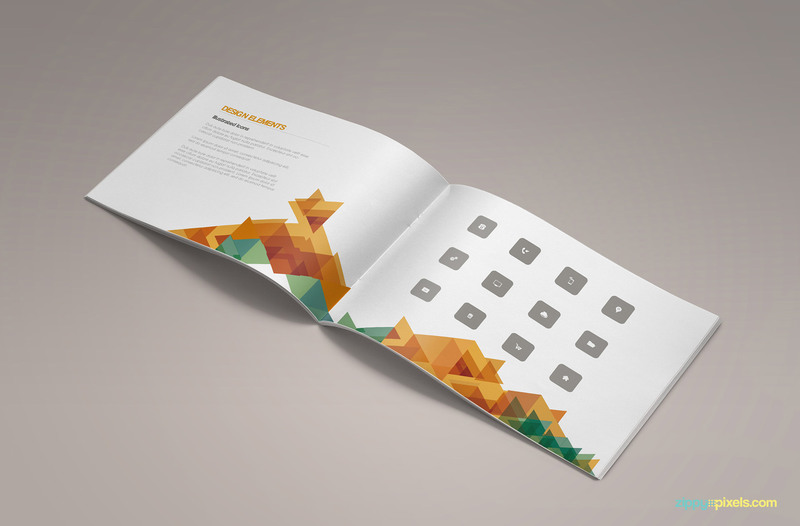 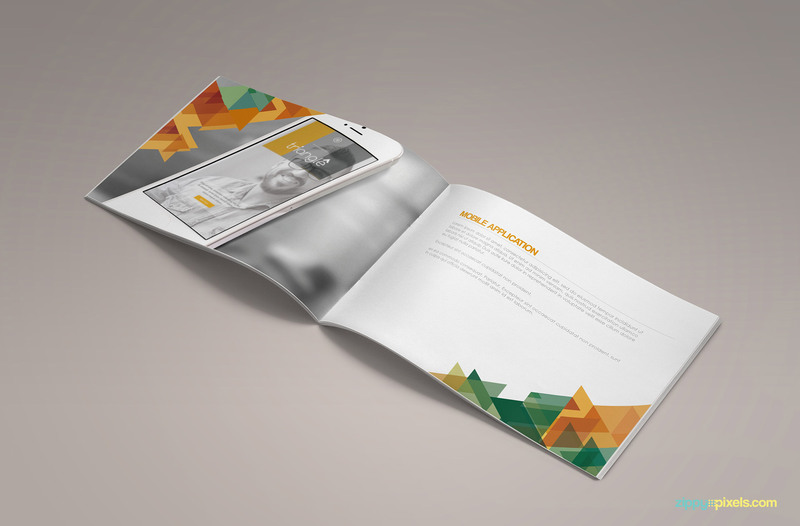 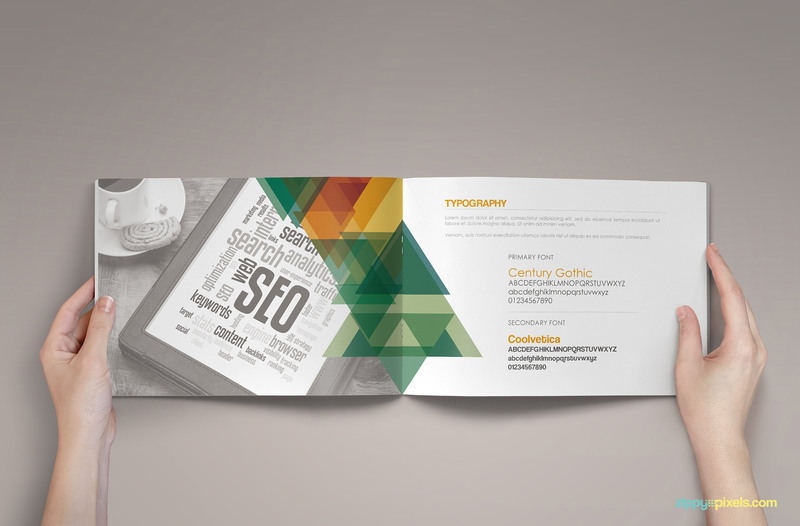 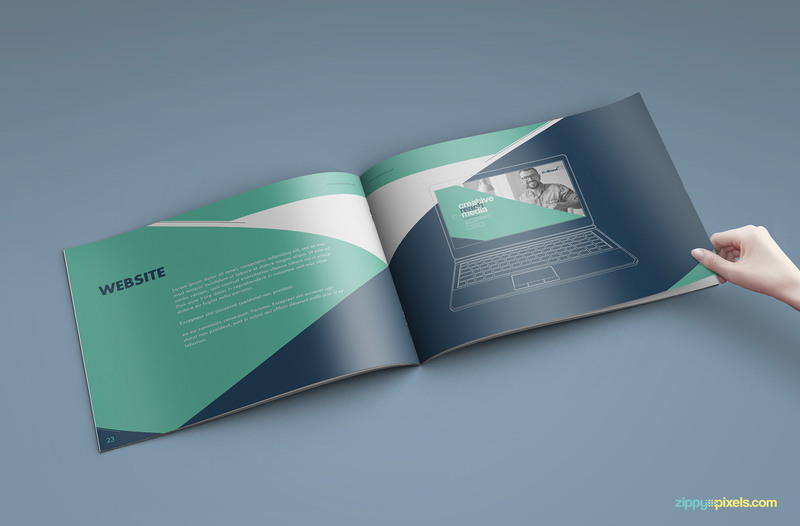 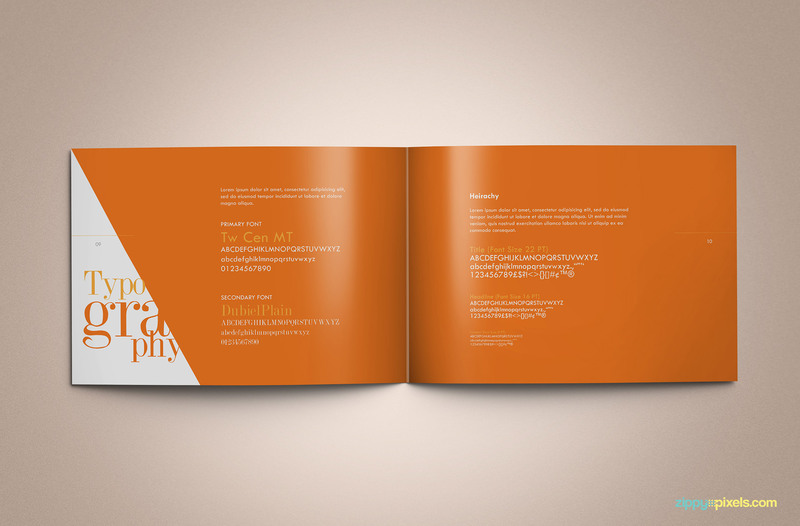 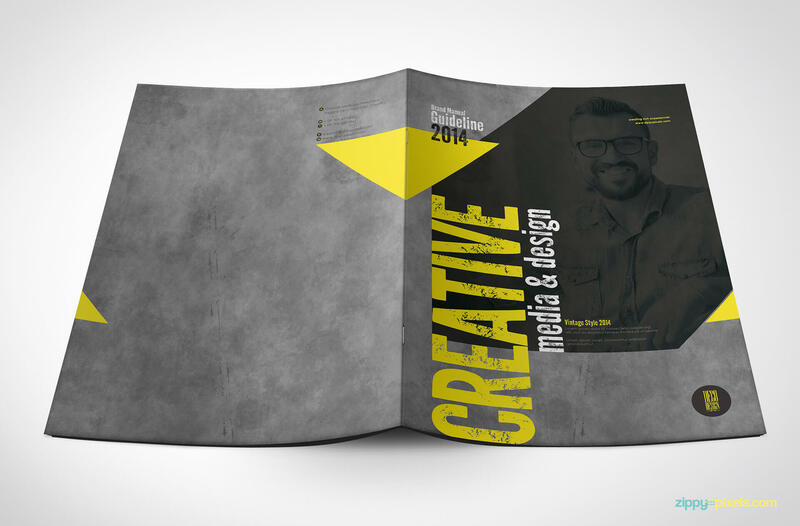 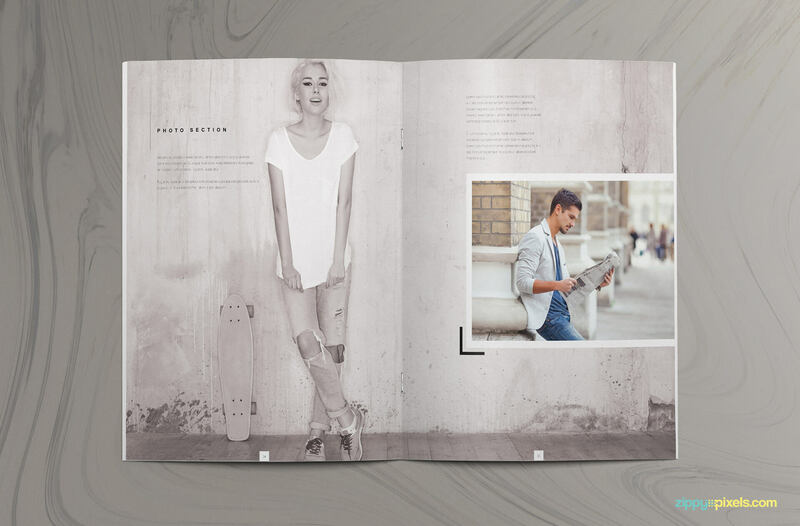 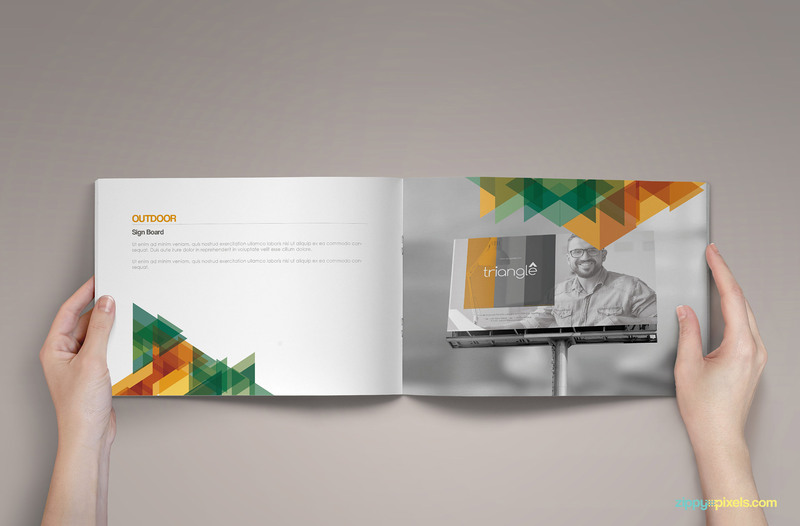 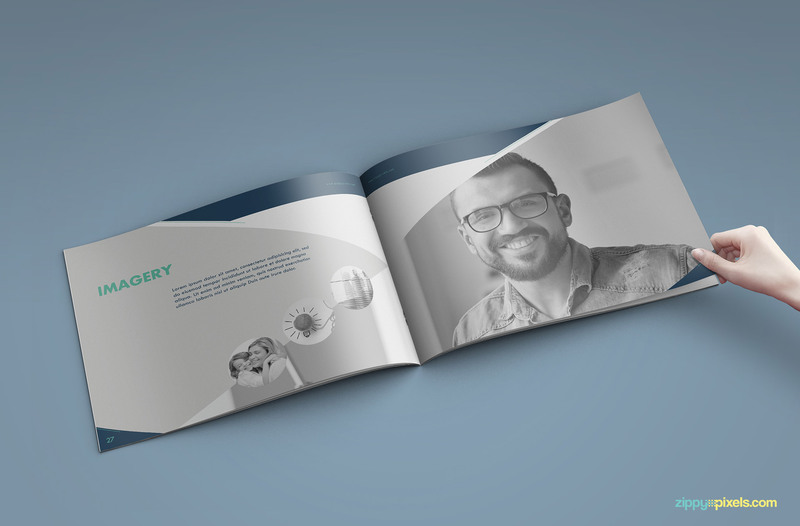 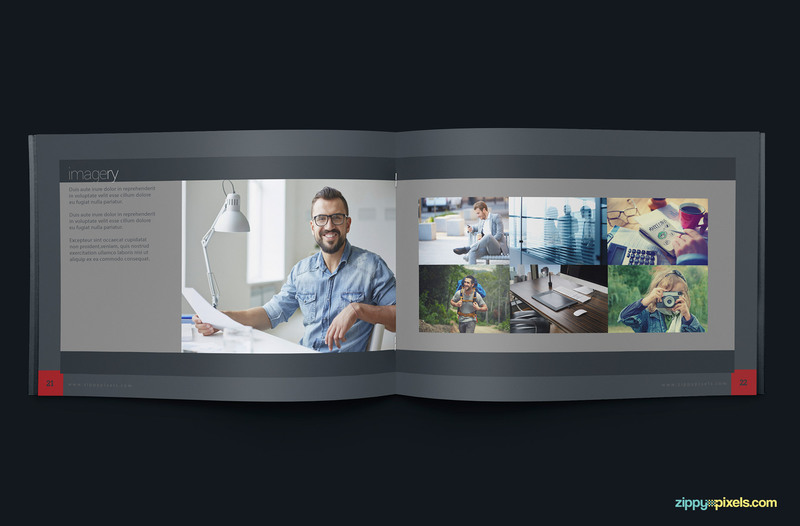 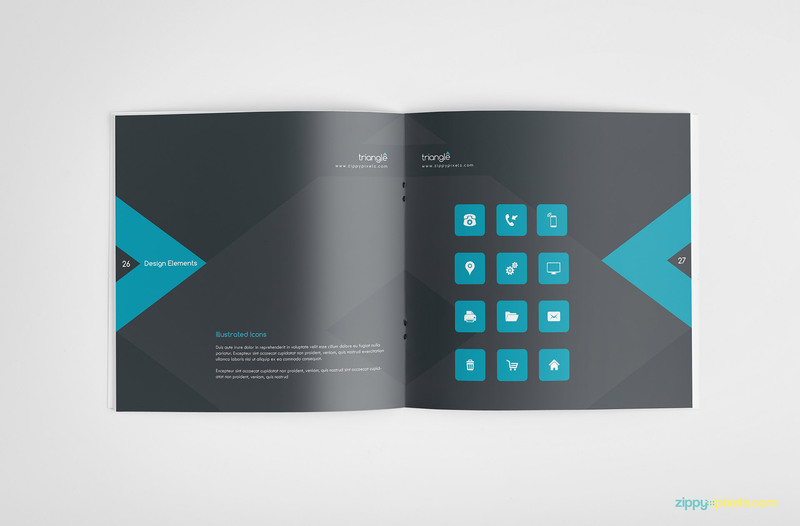 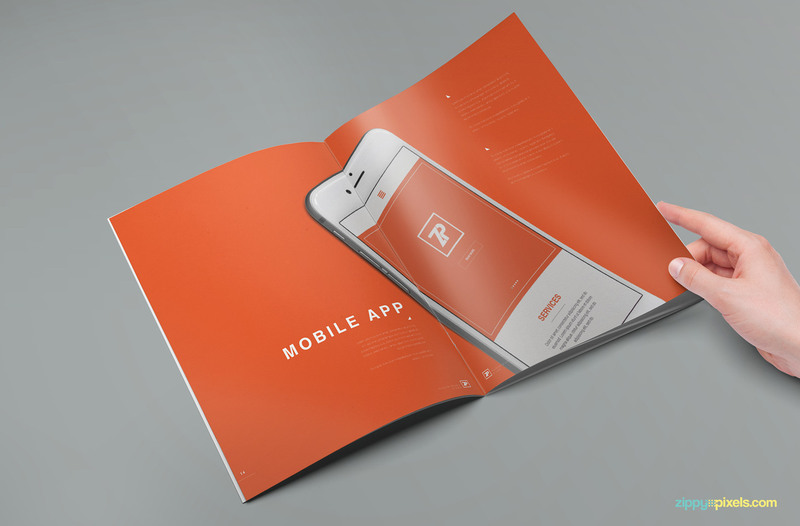 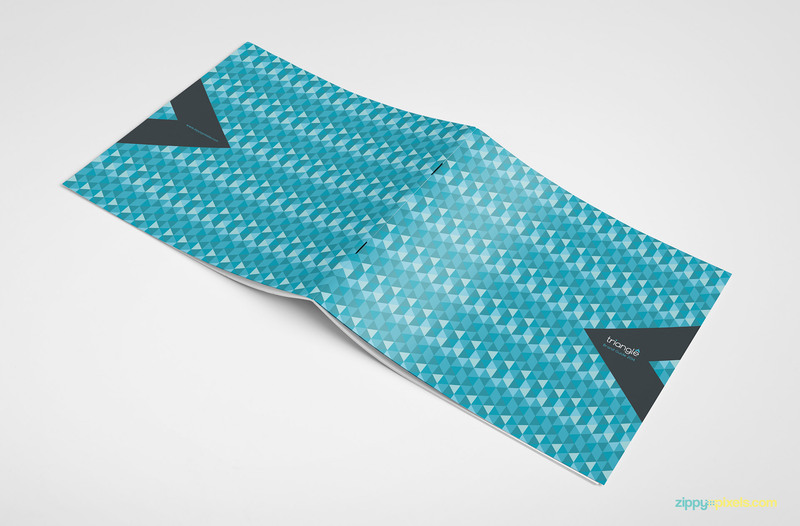 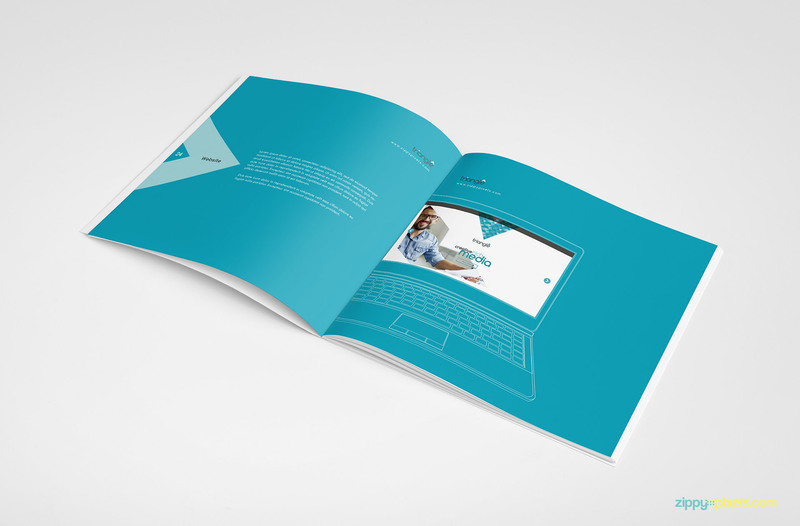 A beautifully designed brand book template with a triangular textured cover design and interior layout. 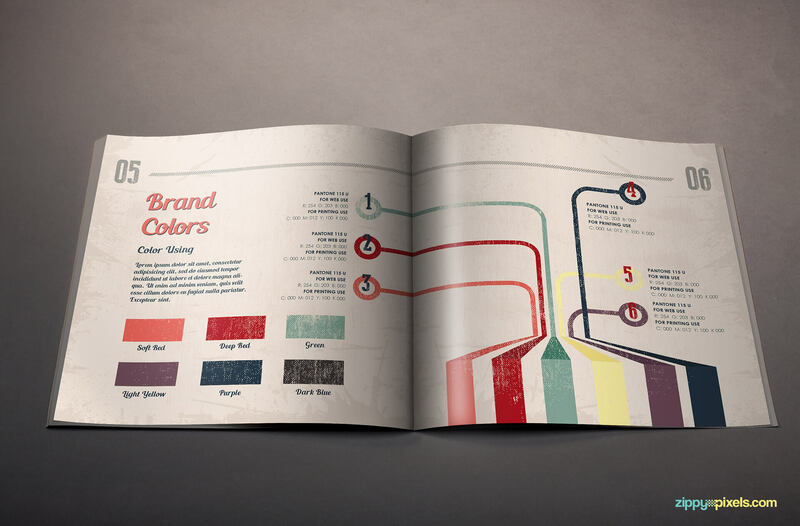 It is easy to customize with separate layers, color swatches and organized folder structure. 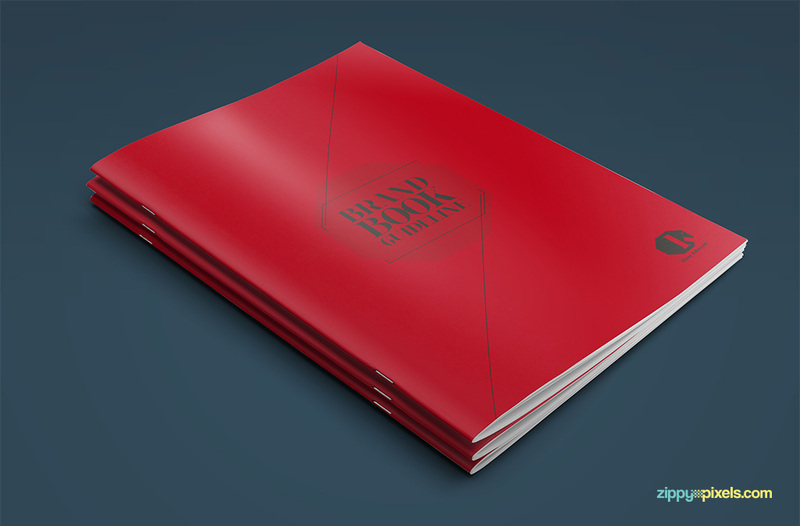 Beautiful & artistic A4 sized brand identity guidelines template to present your designs in an elegant style. 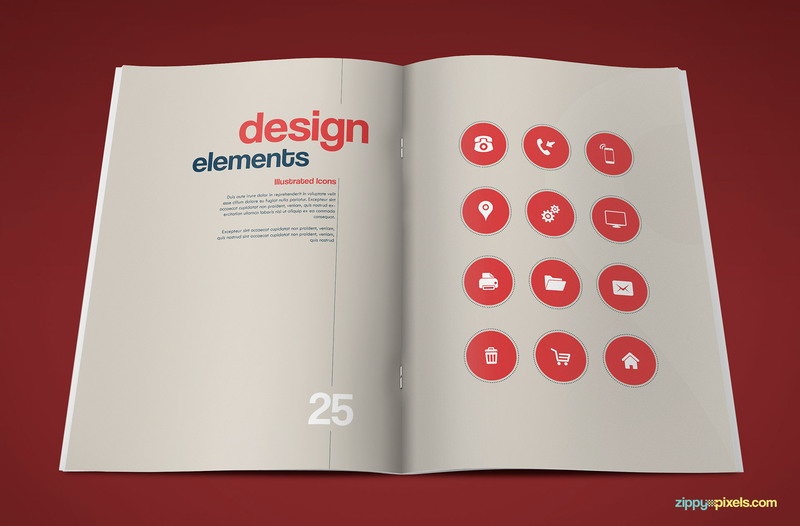 Colors, text style, icons can be easily changed to suit your needs. 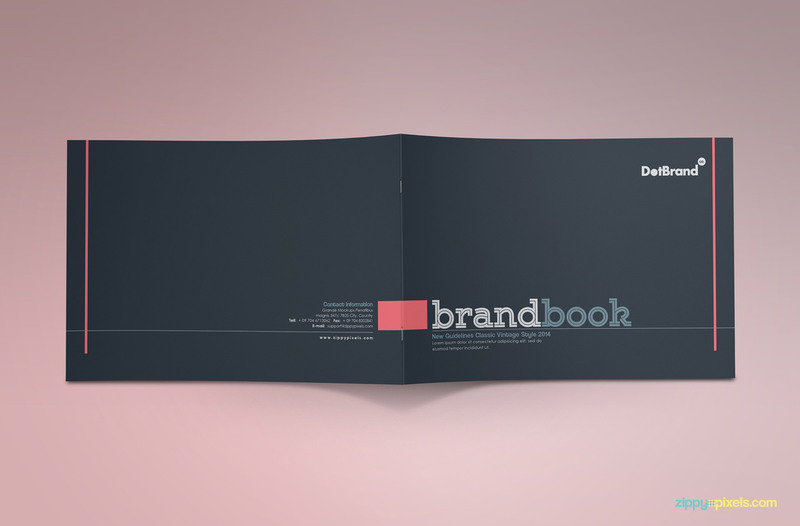 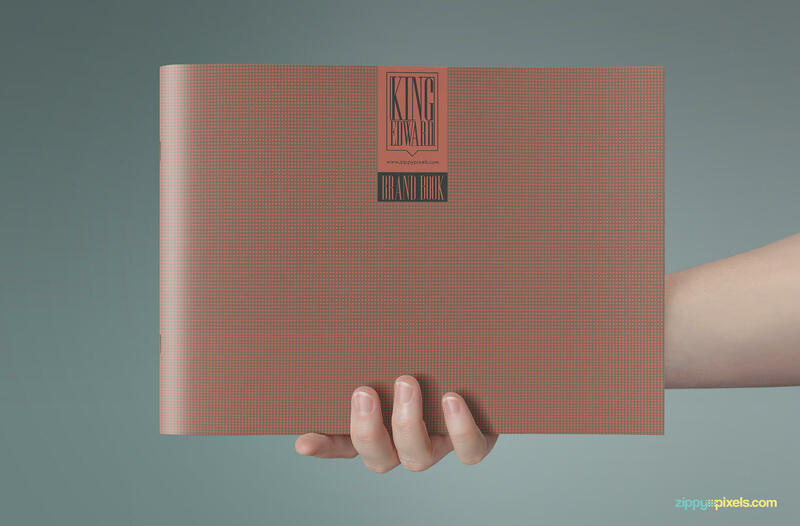 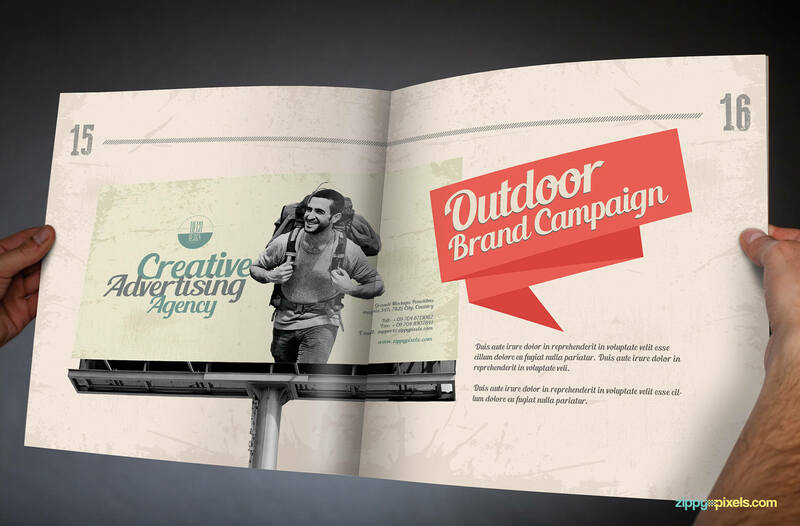 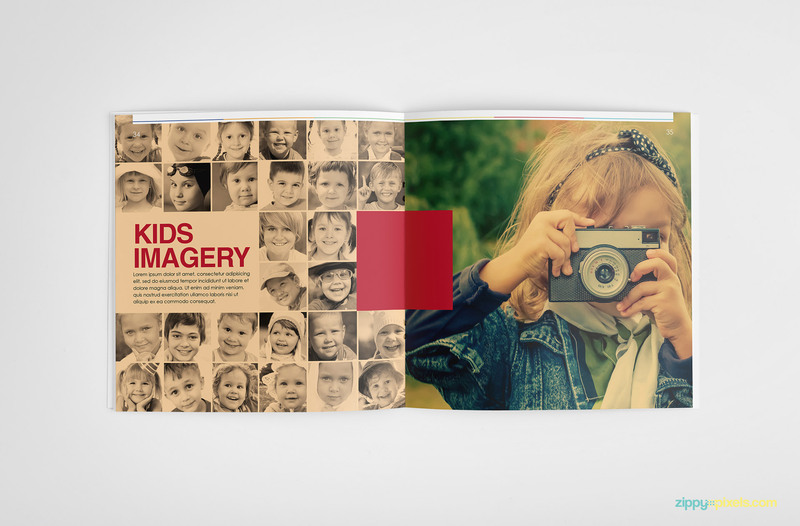 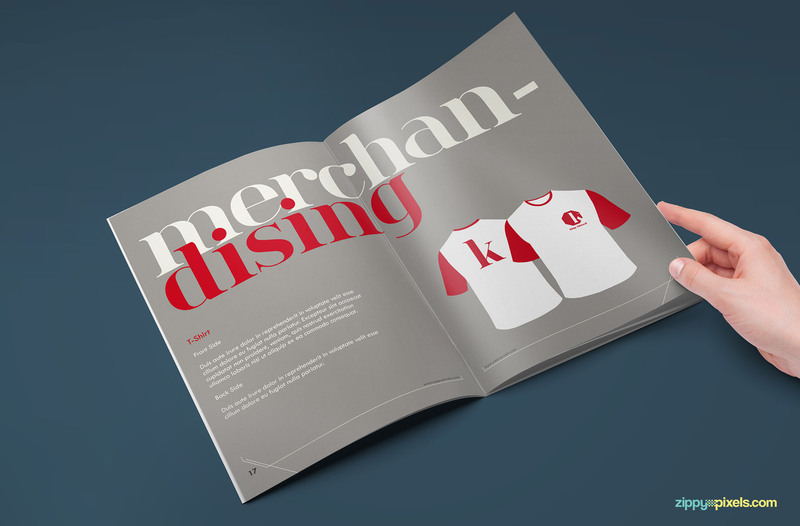 This vintage brand book template is for those looking for something extraordinary. 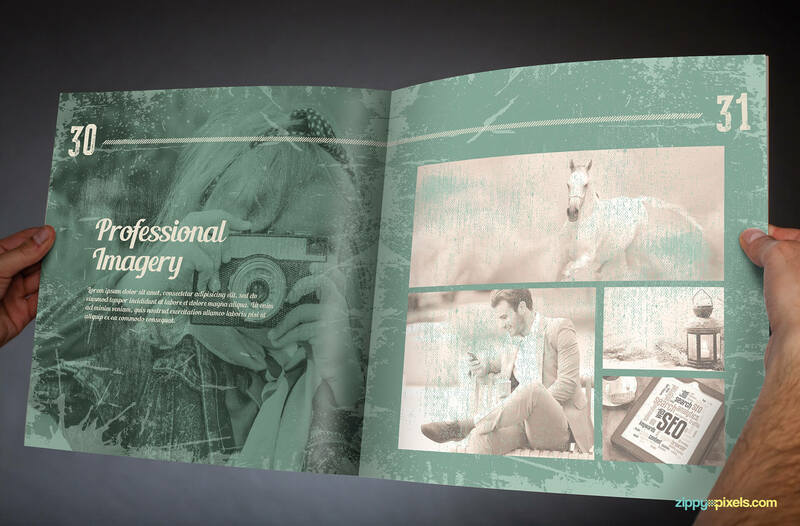 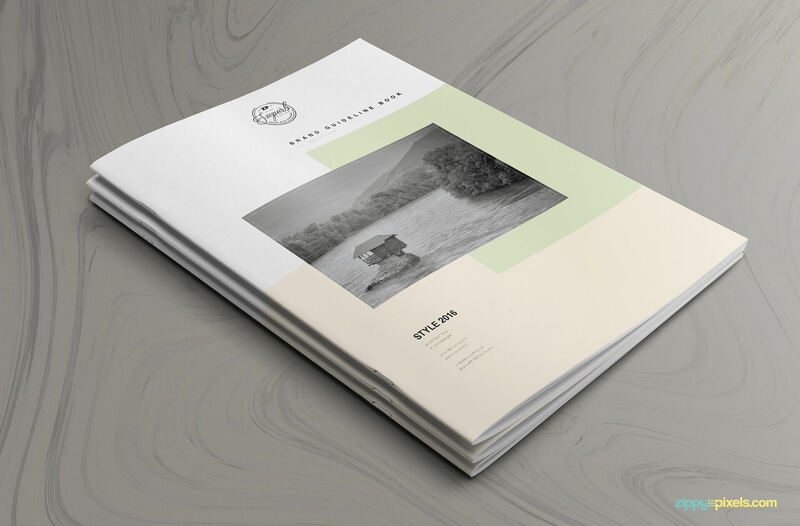 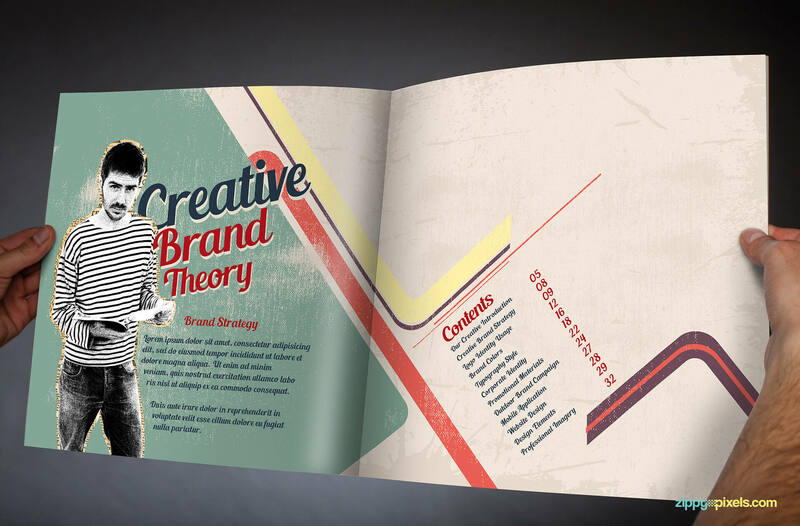 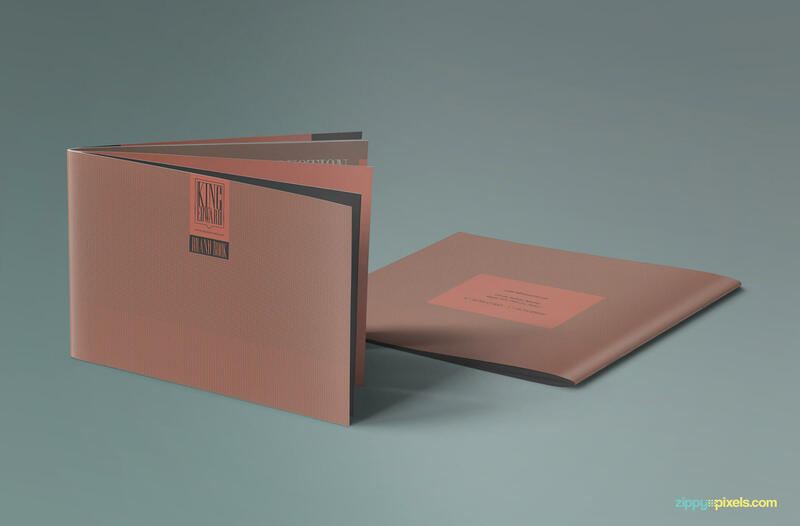 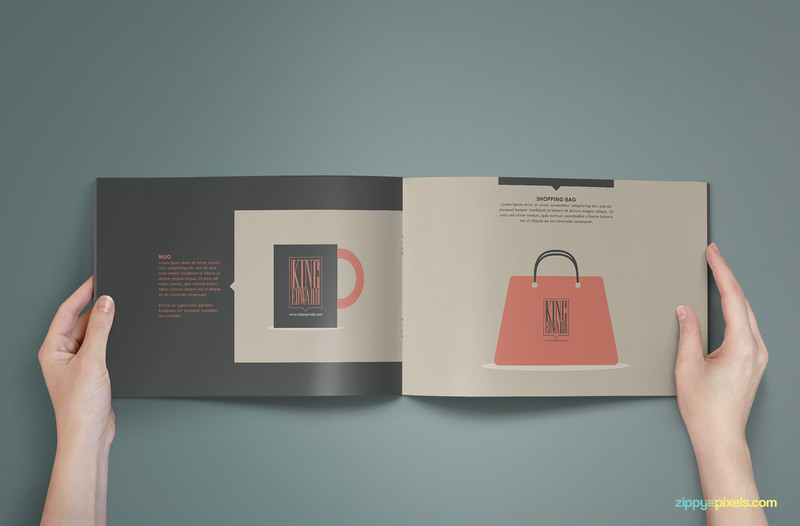 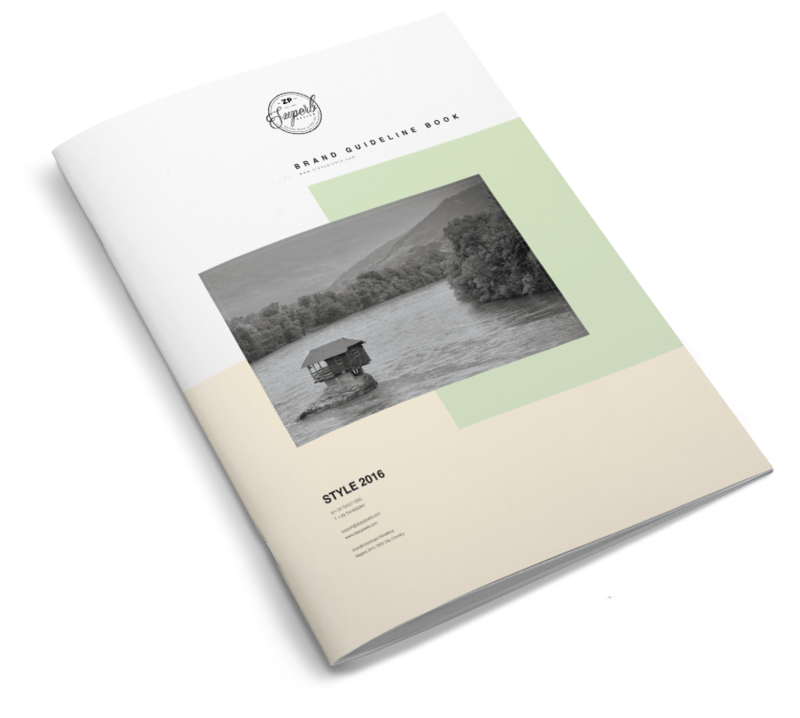 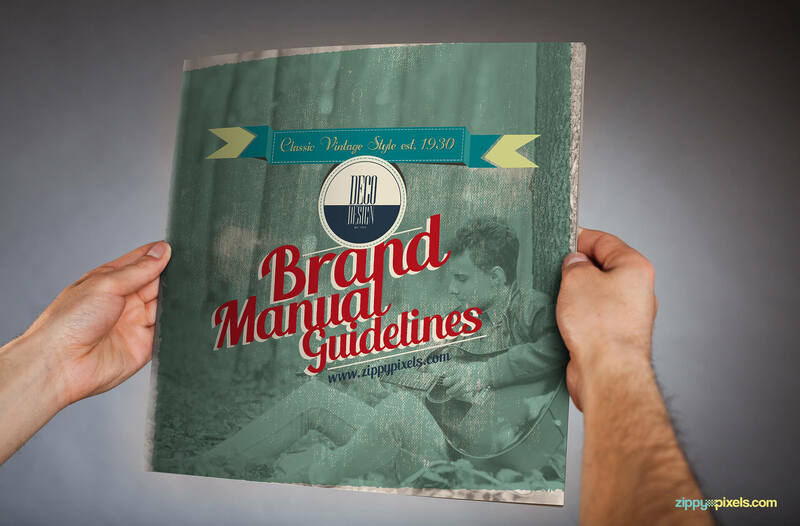 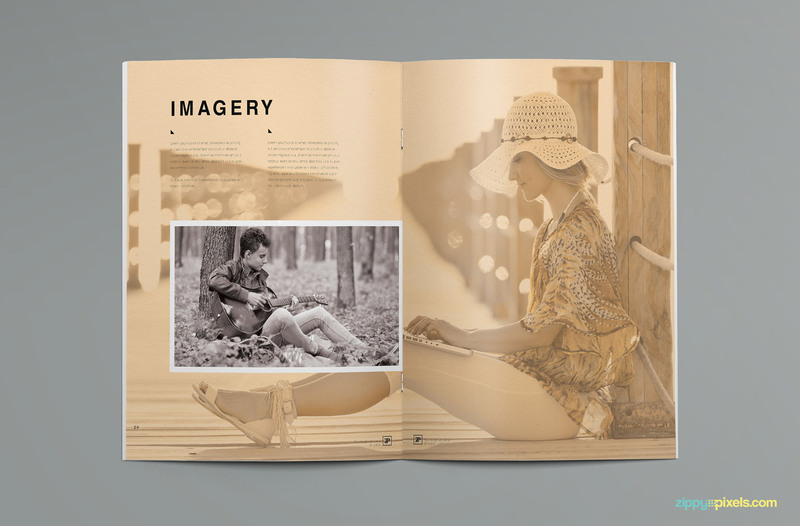 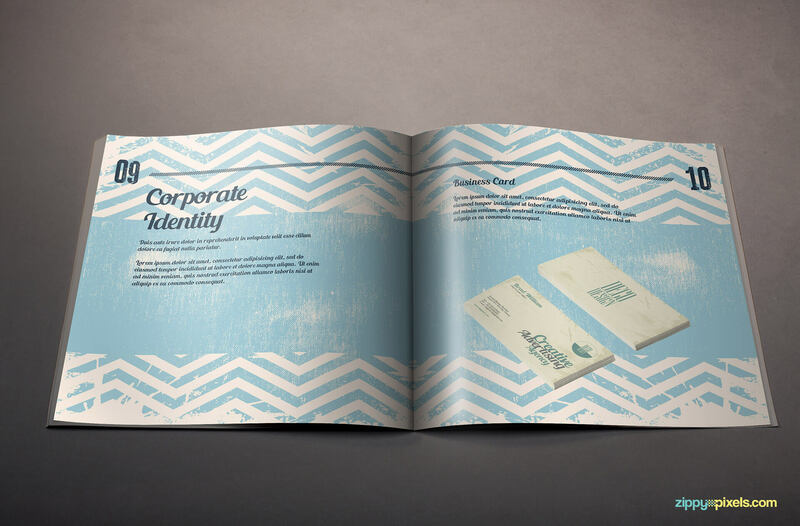 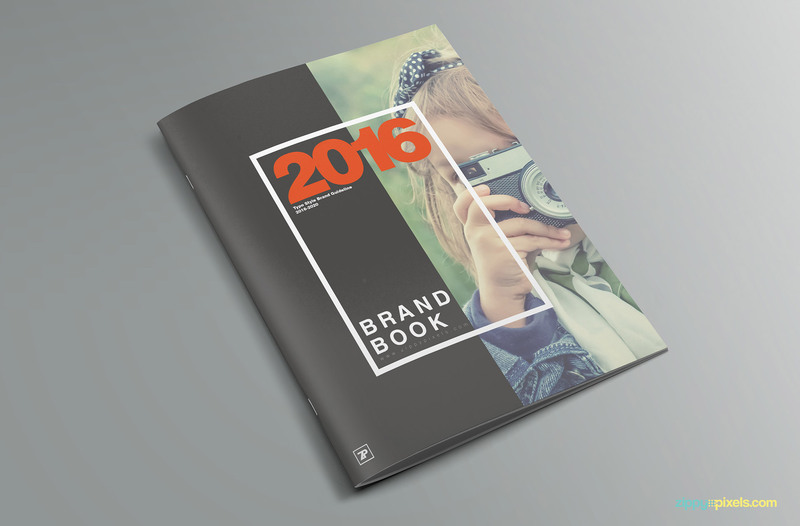 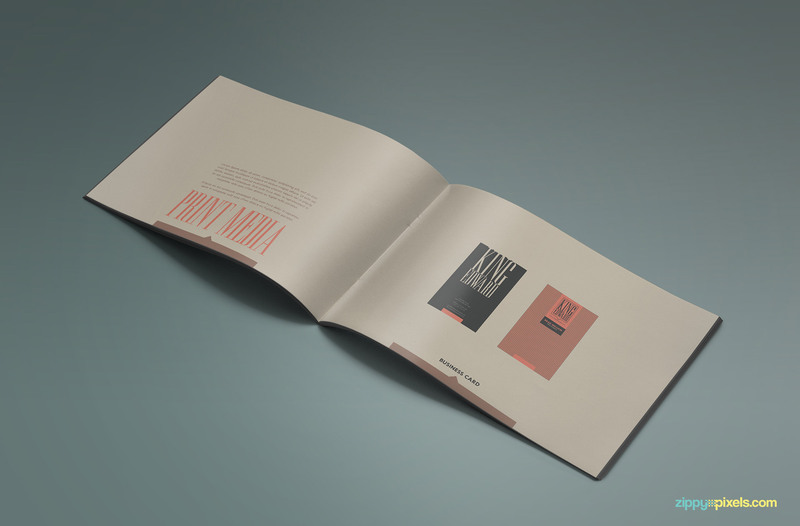 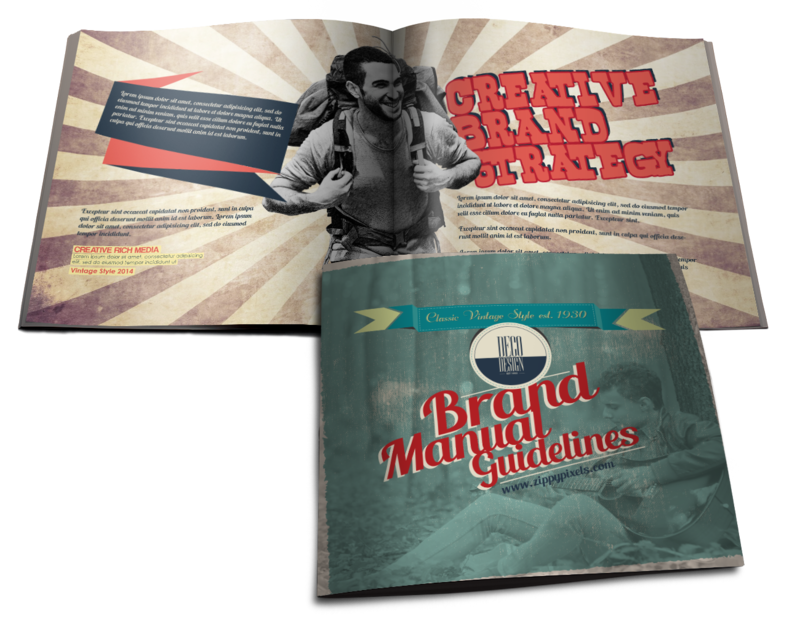 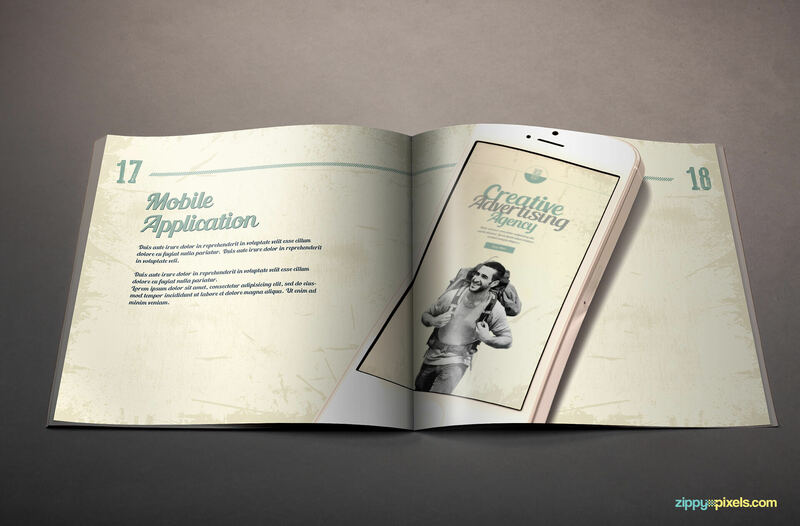 Present your brand identity with this vintage style brand book template containing 32 print ready pages. 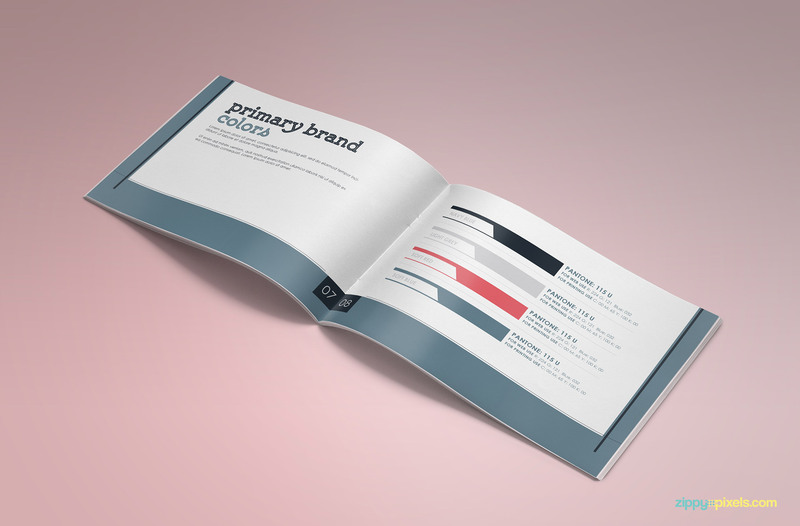 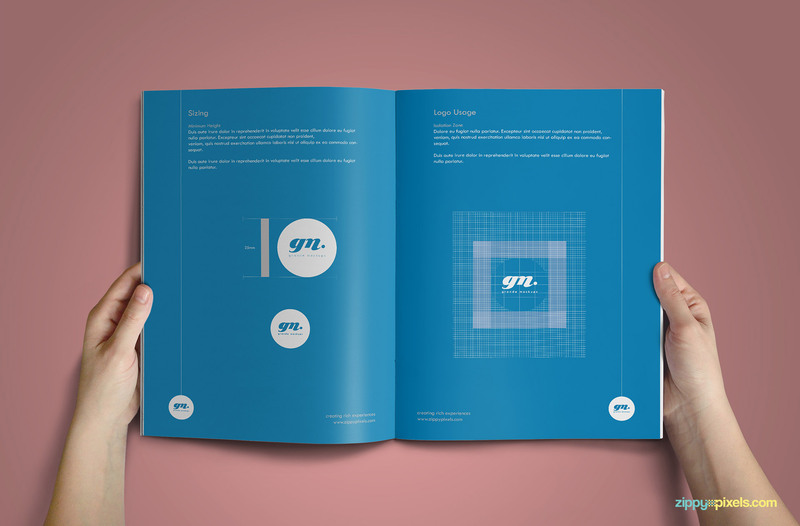 The Classic – Corporate Identity Guidelines template has a minimalist style which can work for any brand identity manual or corporate branding guide. 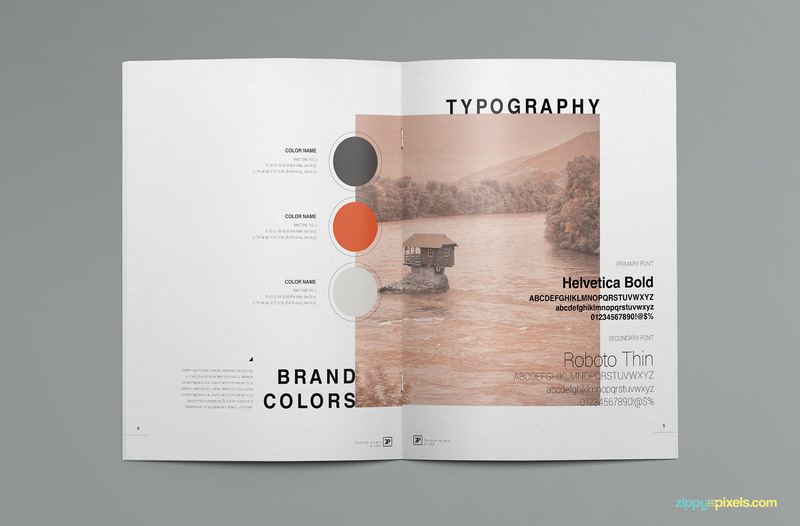 Flesh out your brand designs and impress your clients with this beautiful & creative brand guidelines template. 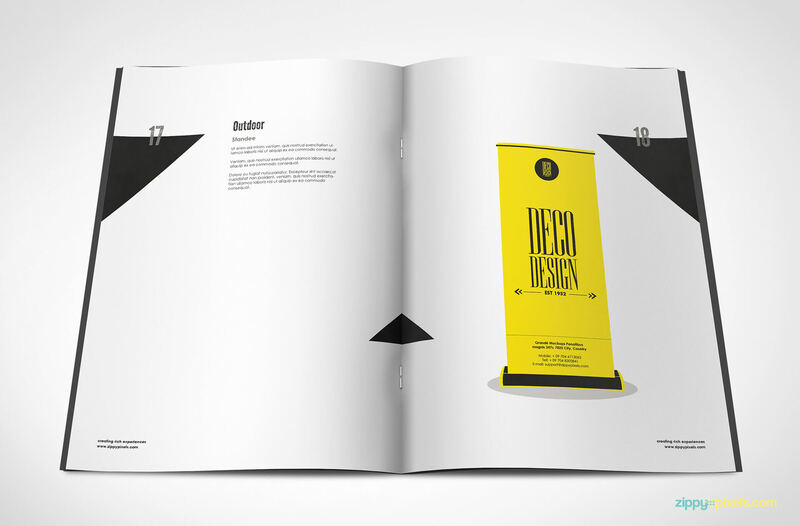 Available in easy to use Adobe Illustrator & Indesign formats. 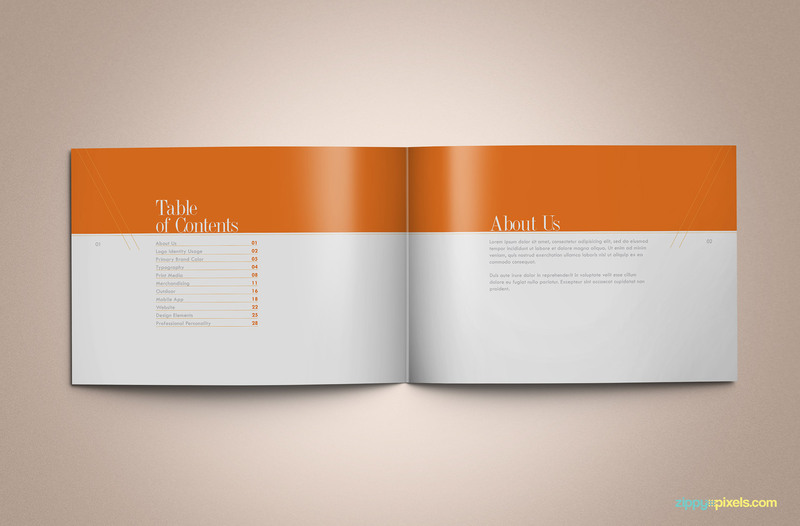 What is the format of Brand Book Templates? 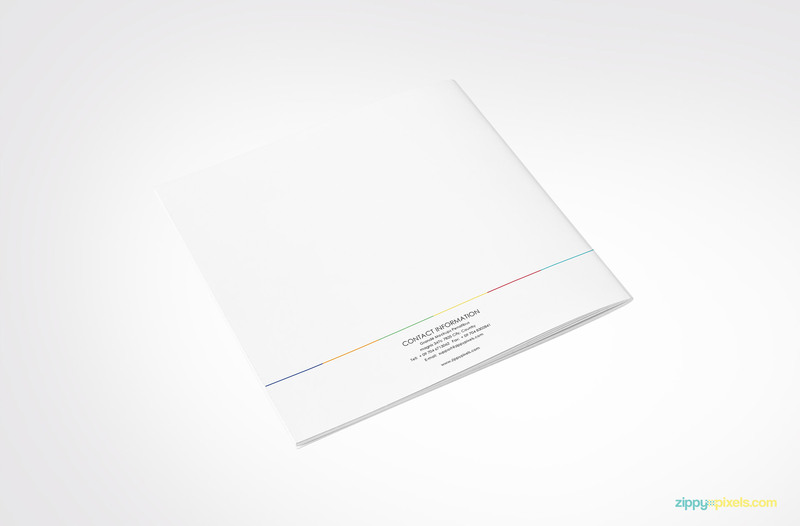 Are these templates print ready? 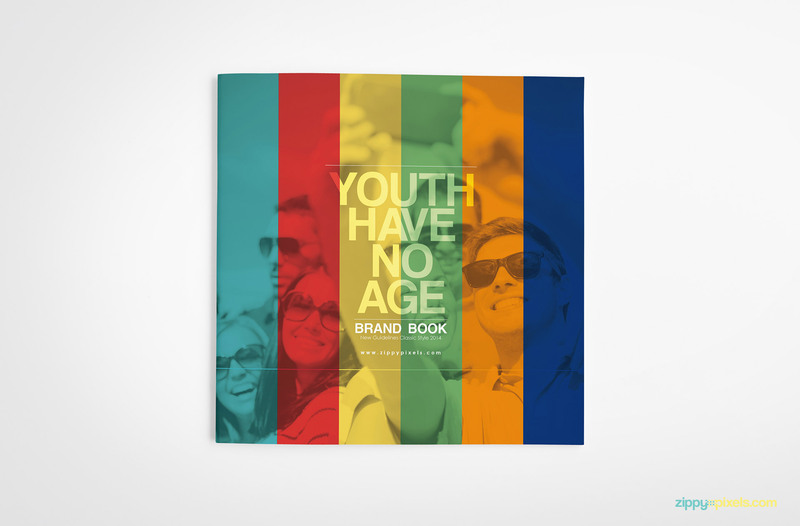 Yes, they are. 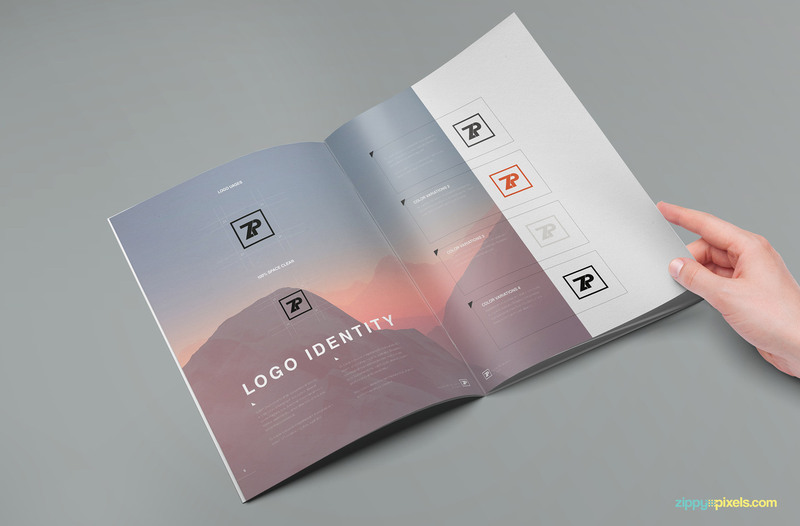 All you need to do is to place your own designs. 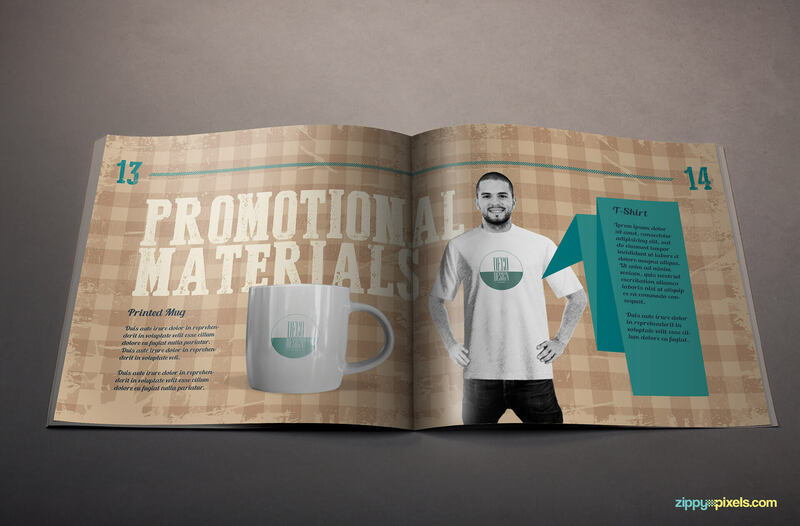 Are the linked design assets included in the package? 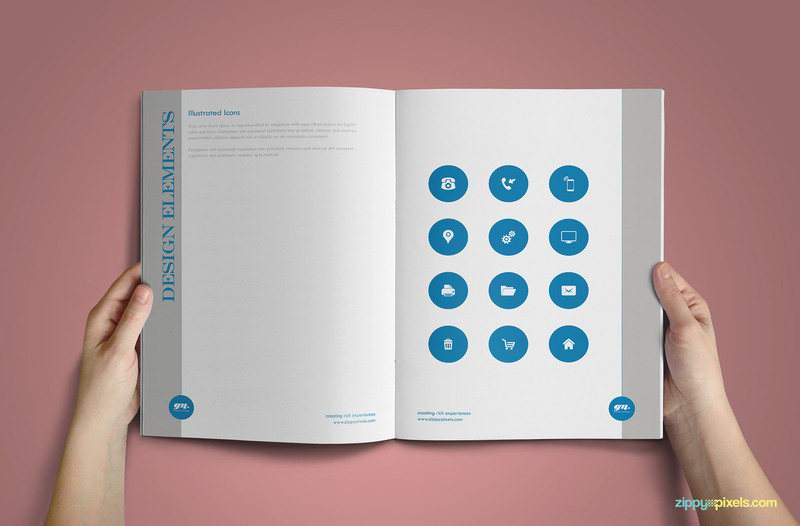 Yes, linked assets i.e. 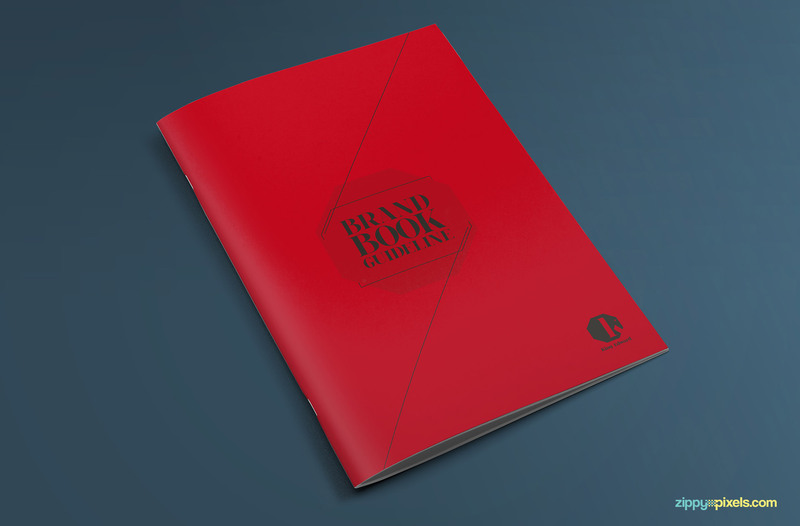 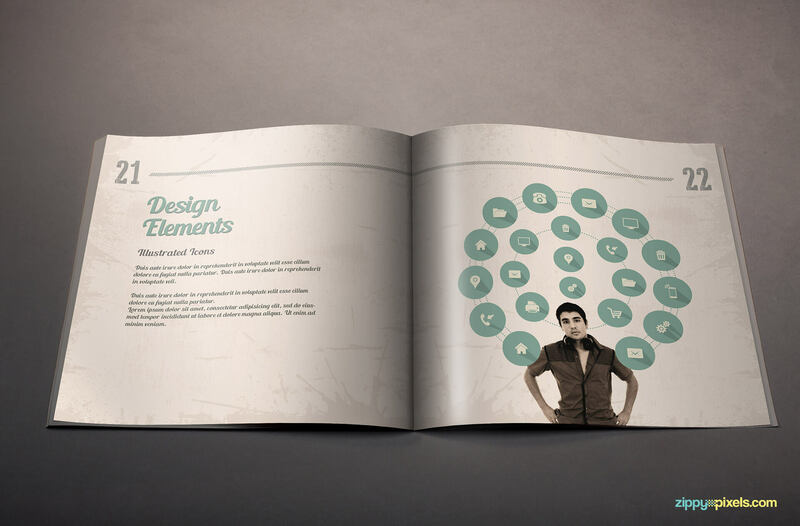 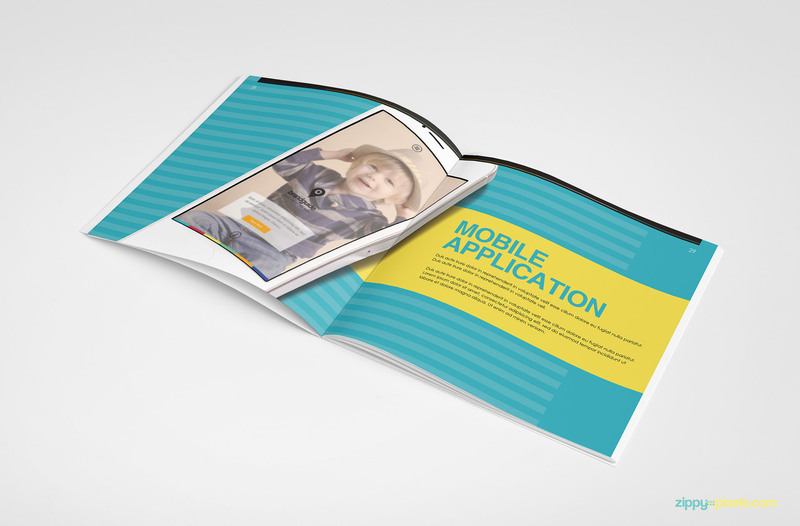 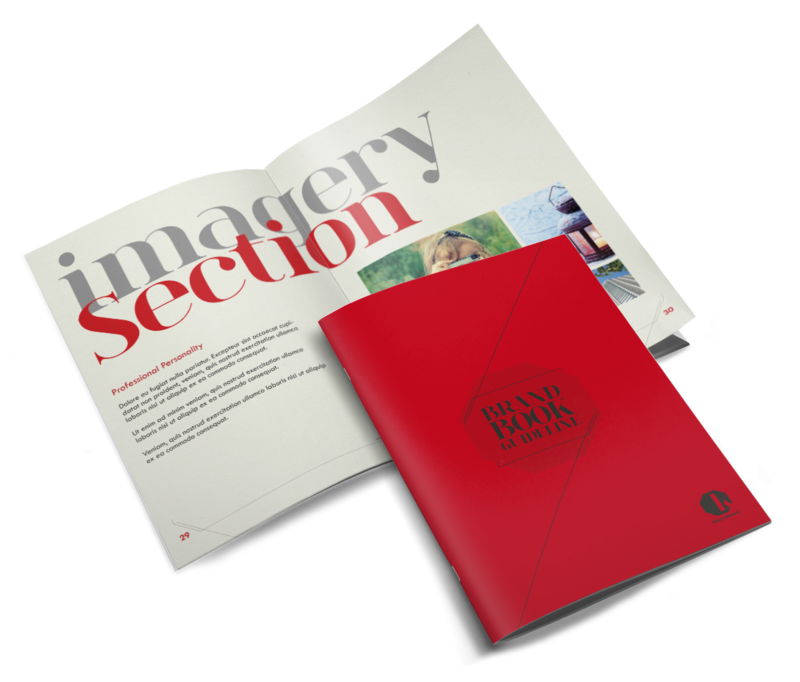 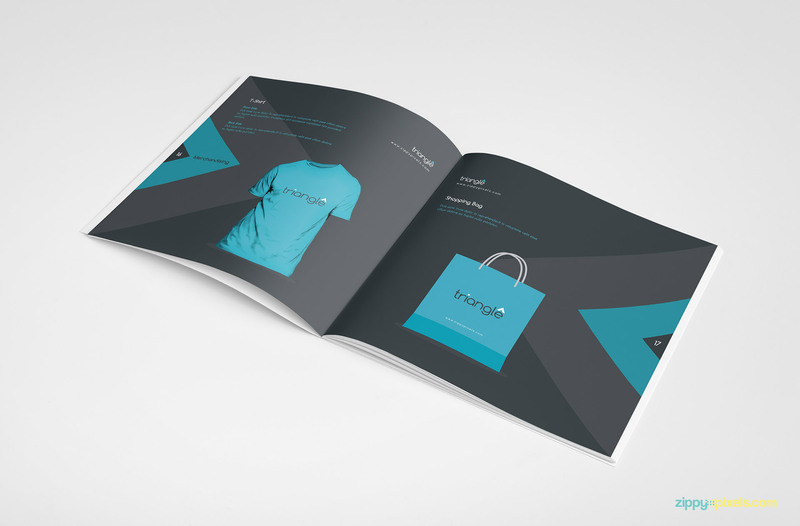 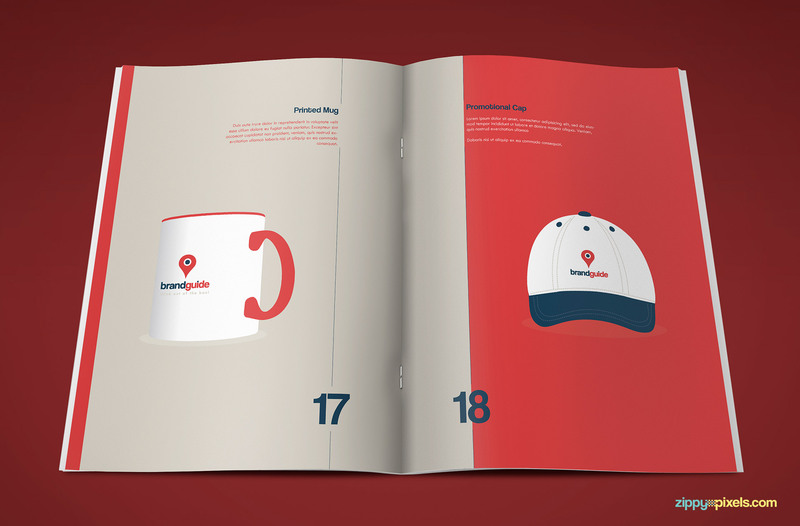 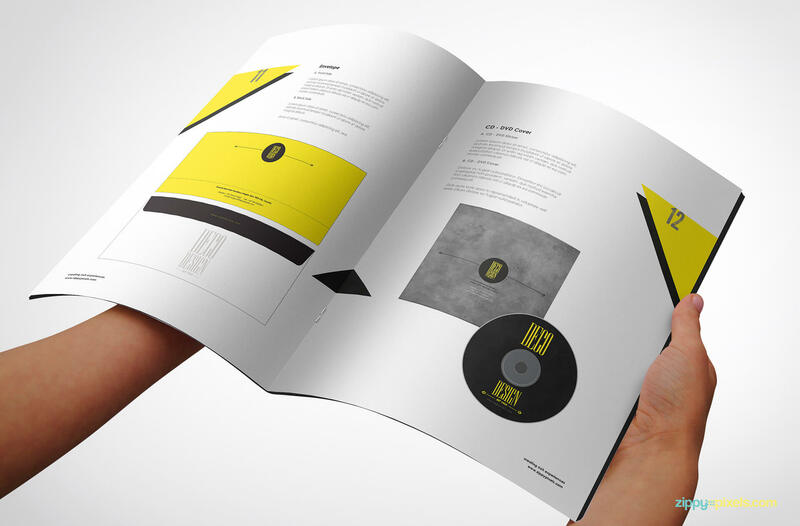 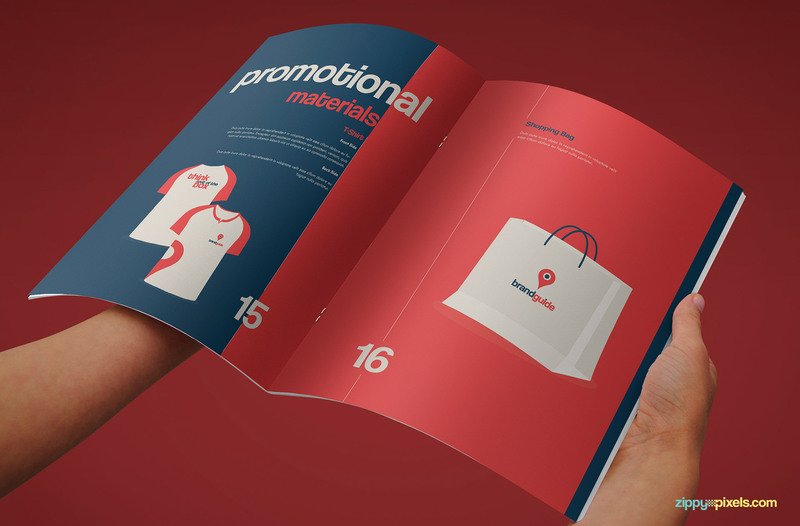 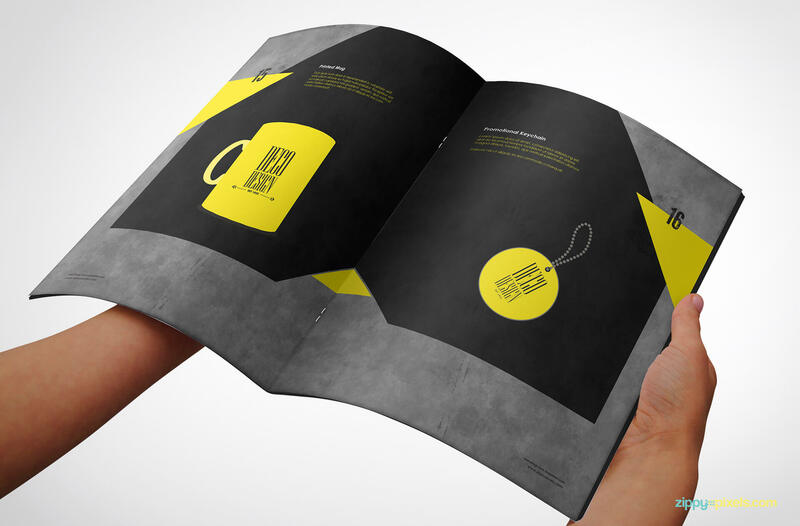 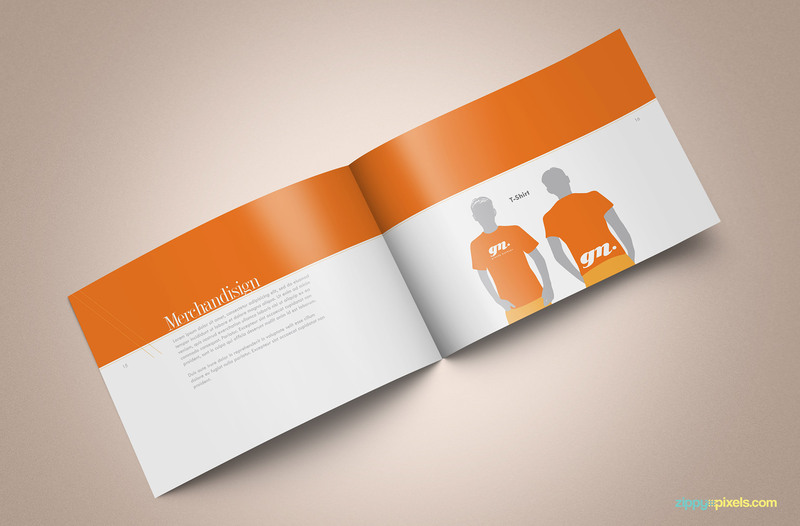 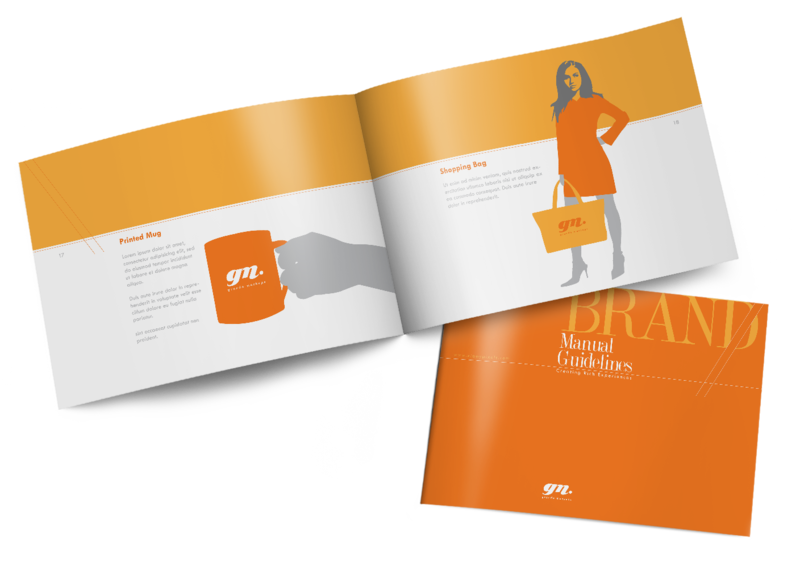 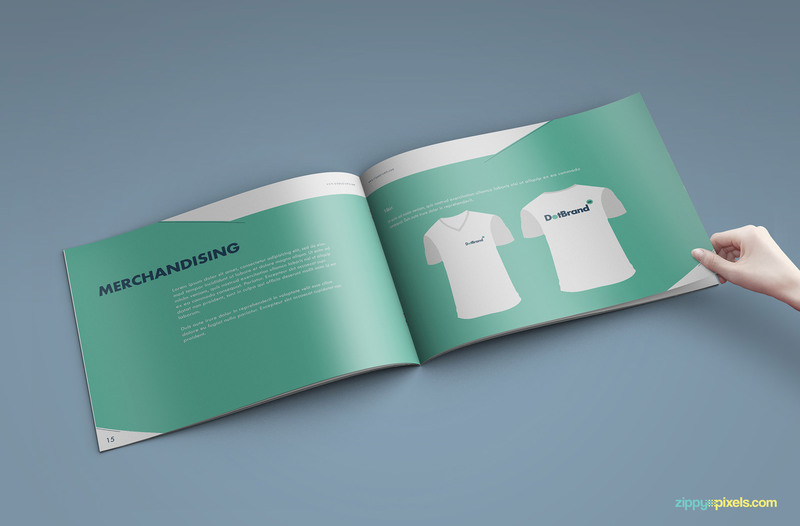 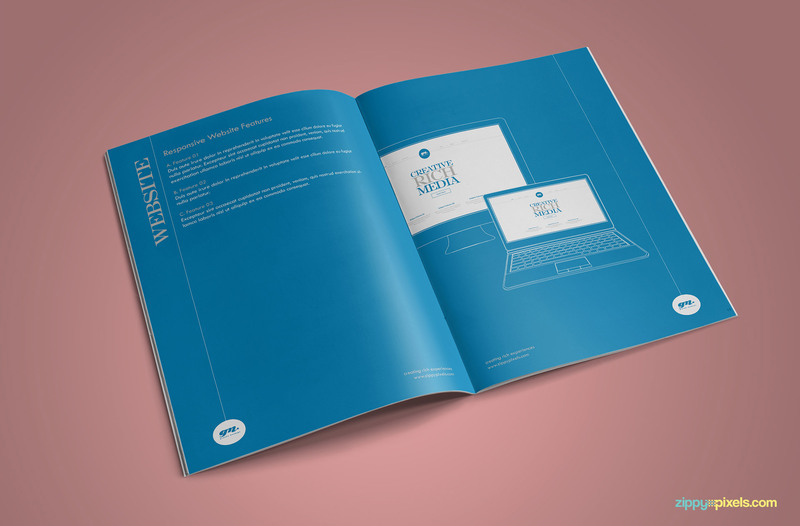 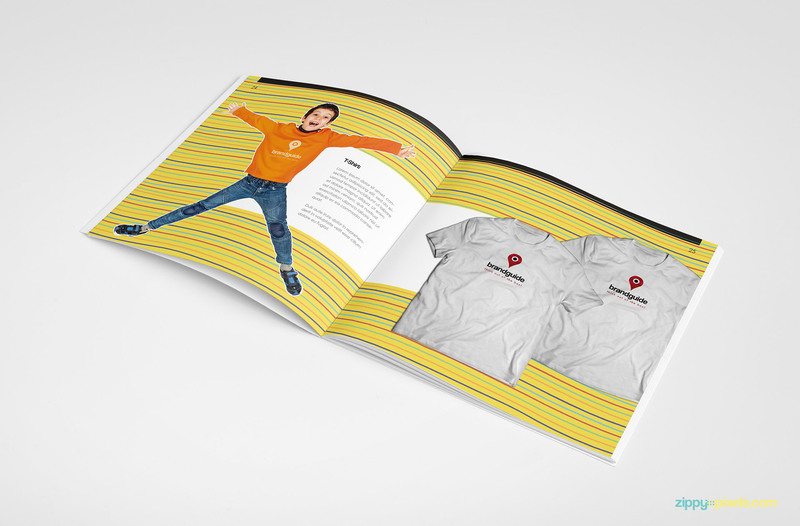 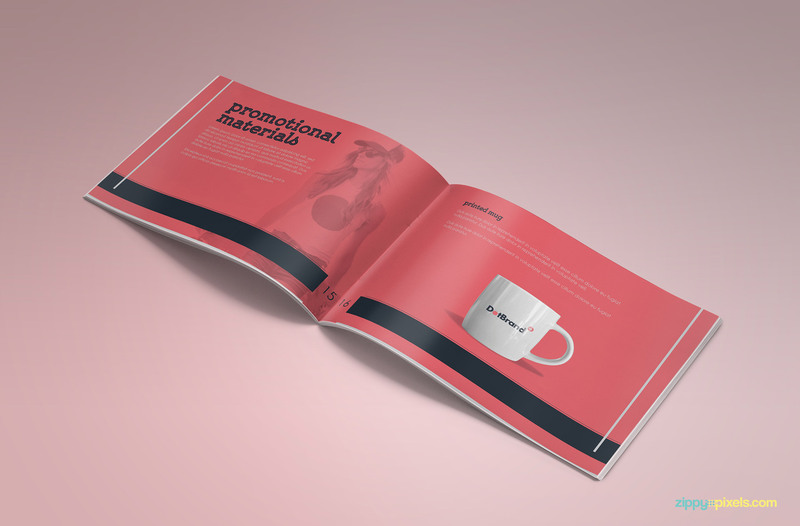 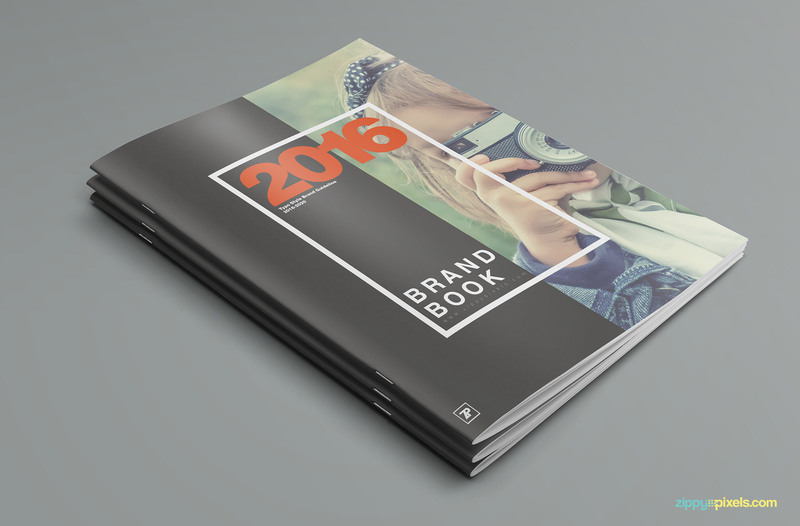 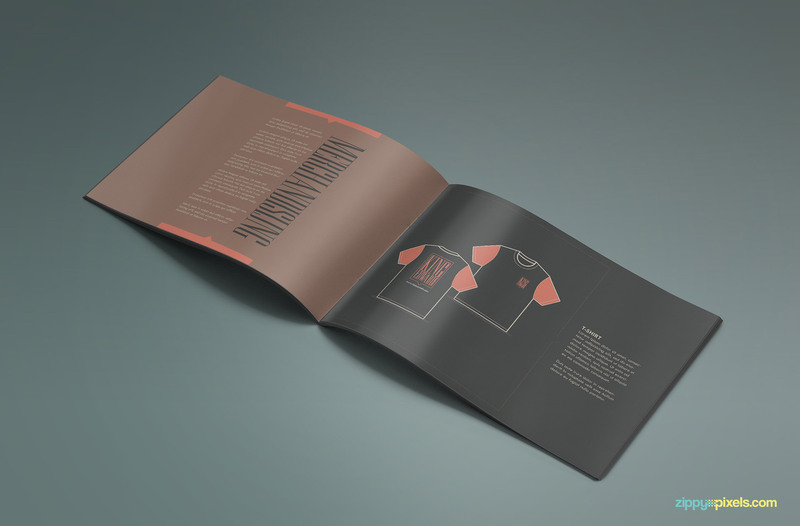 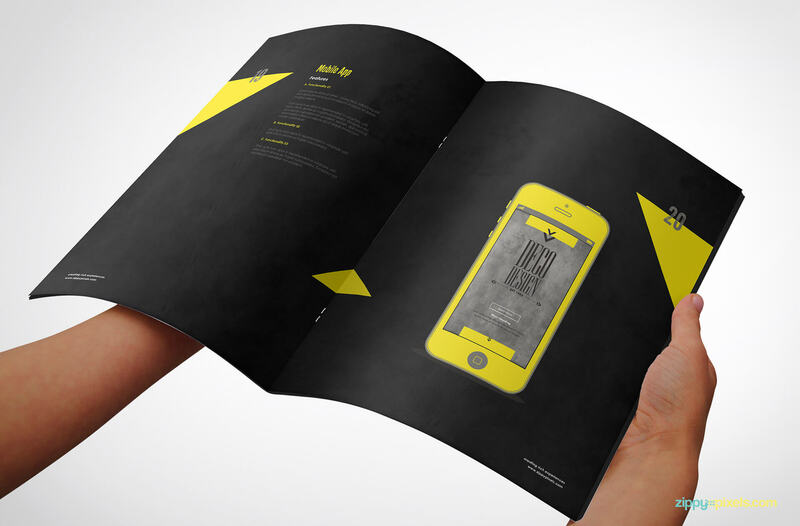 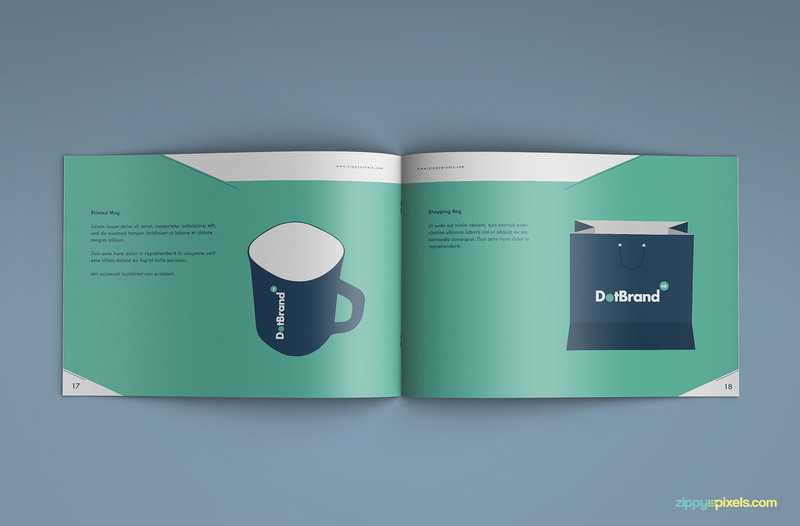 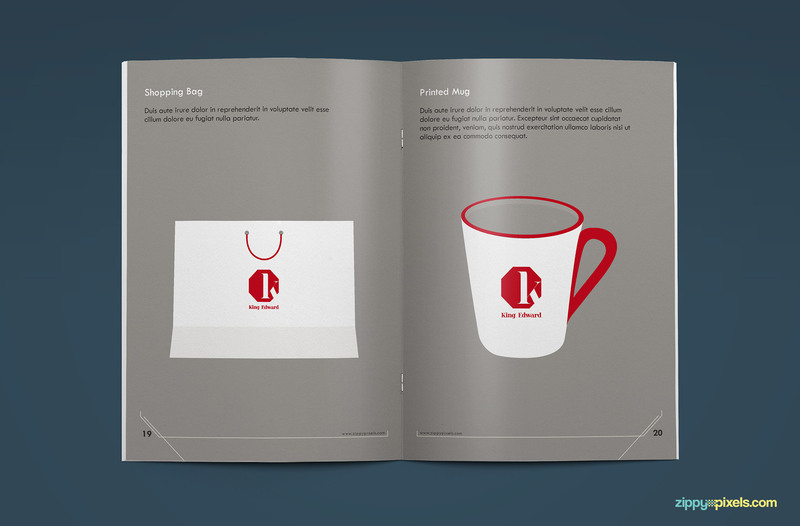 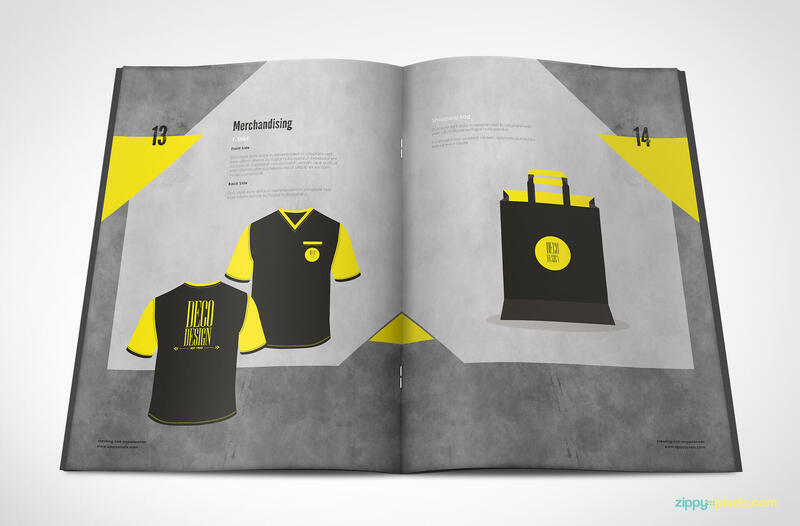 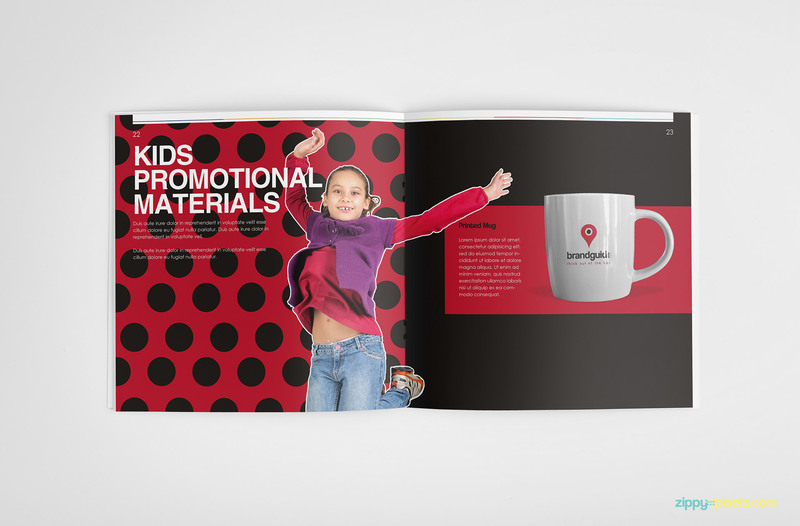 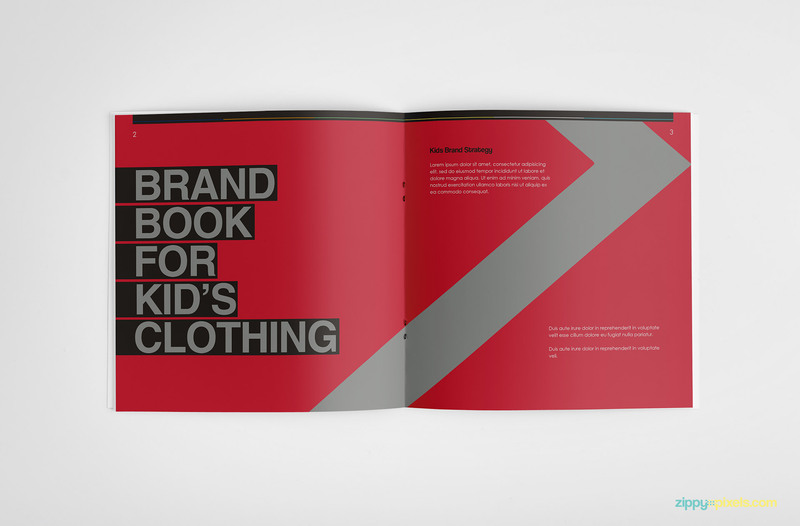 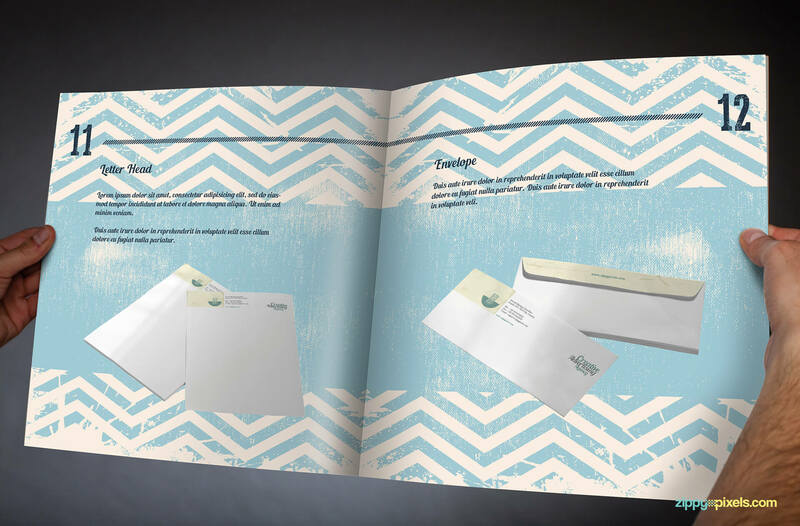 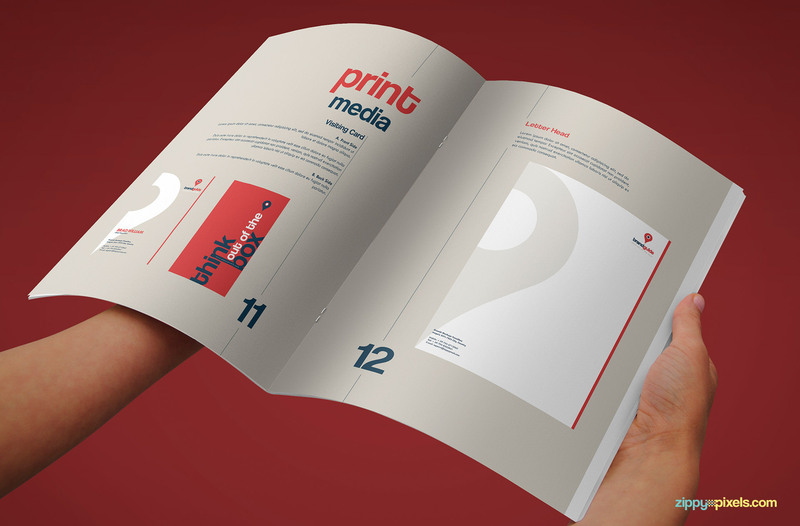 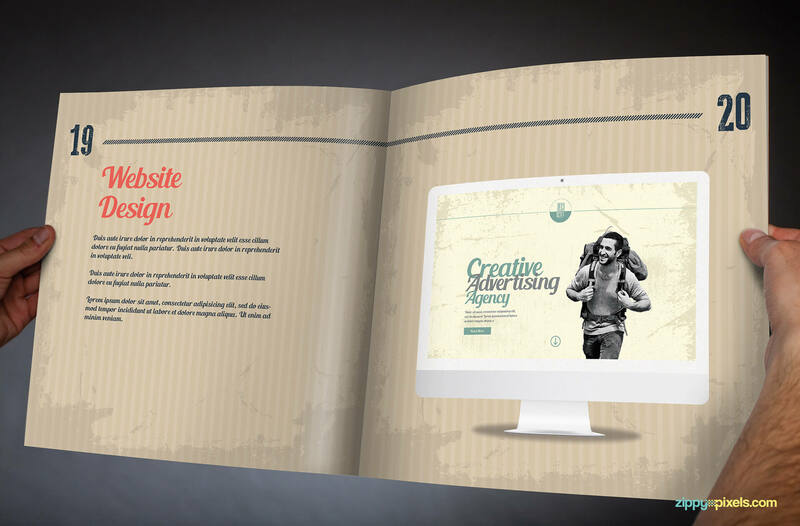 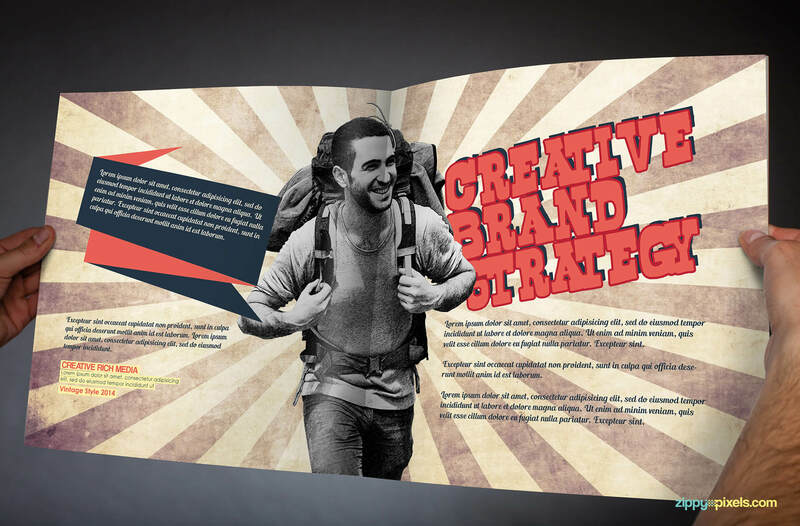 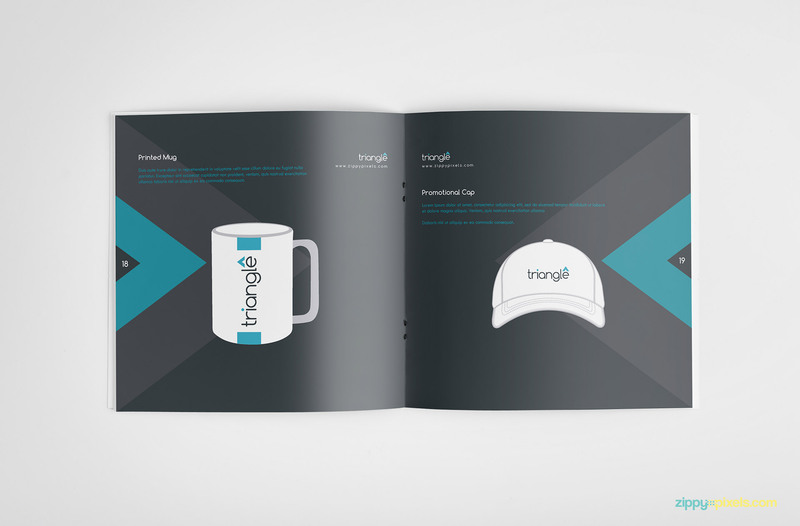 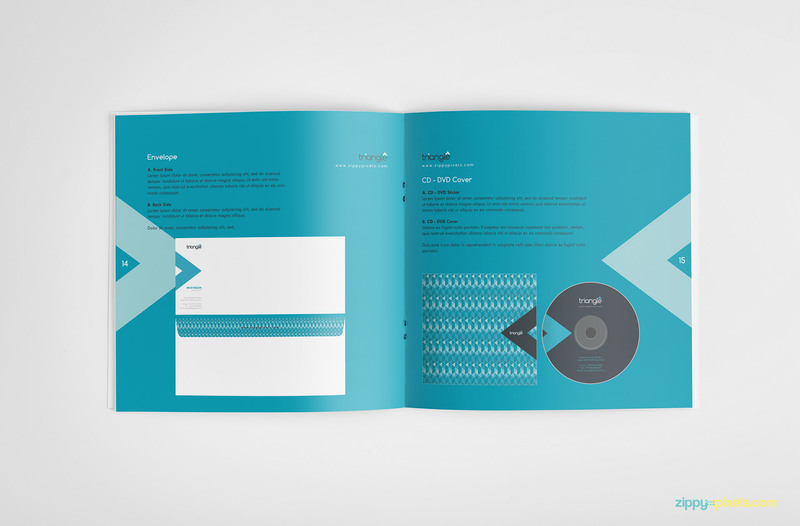 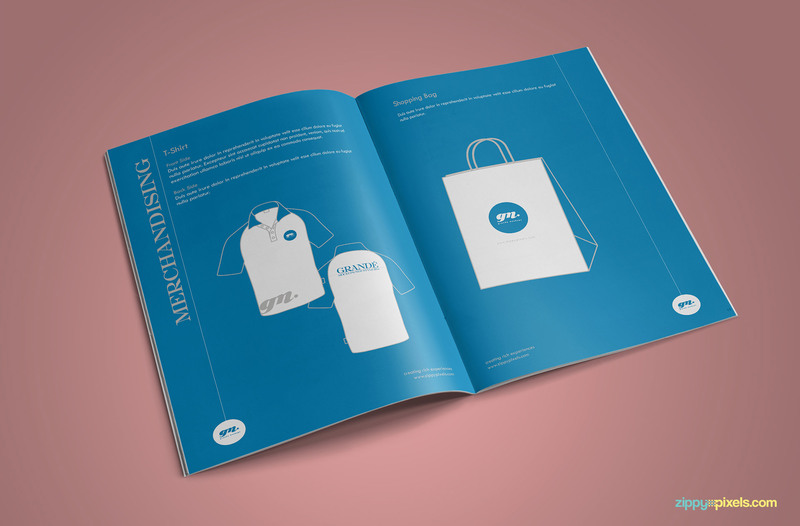 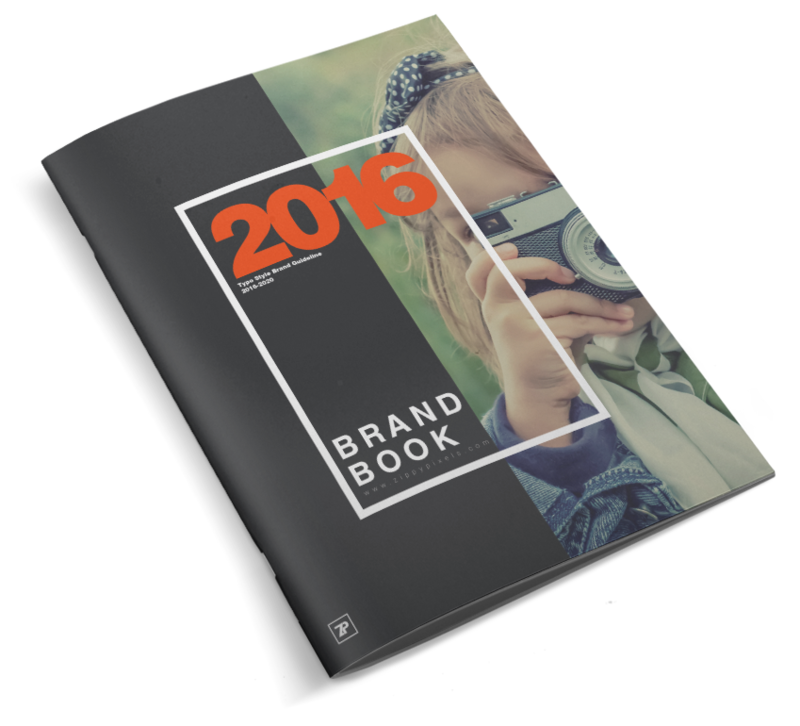 branding items are included with Brand Book Templates. 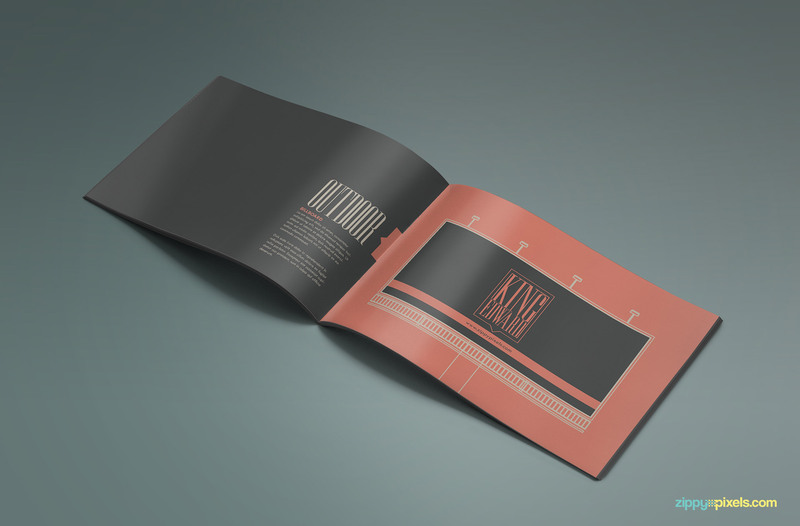 You need a minimum of Adobe Indesign CS4 or later. 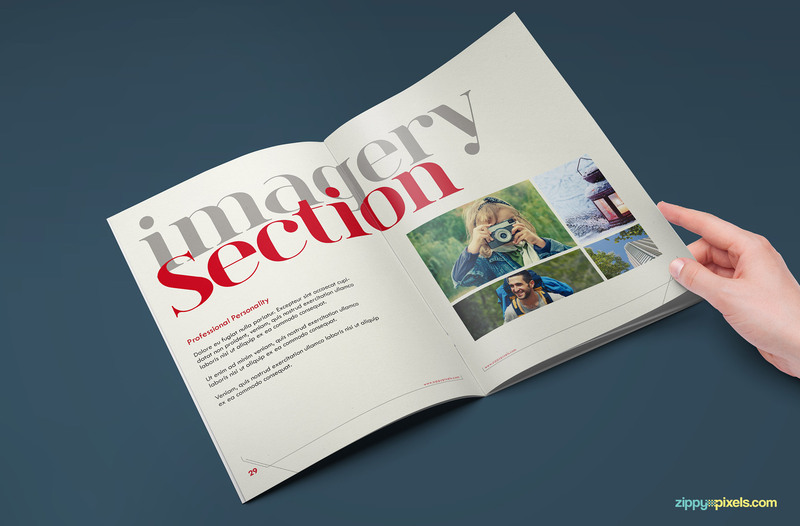 We’ve added 2 files, one for CS4 to CS5.5 and other for CS6. 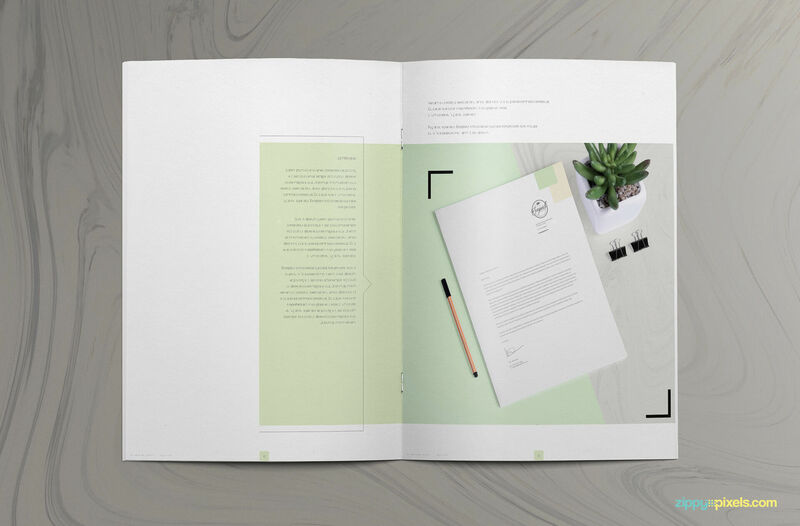 We are so confident that you would love this bundle that we offer a 30 days refund if you dont like our bundle.